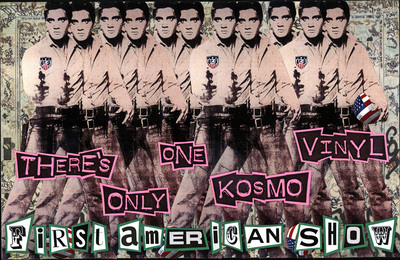 Kosmo Vinyl was an integral part of the 70s/80s English music scene. 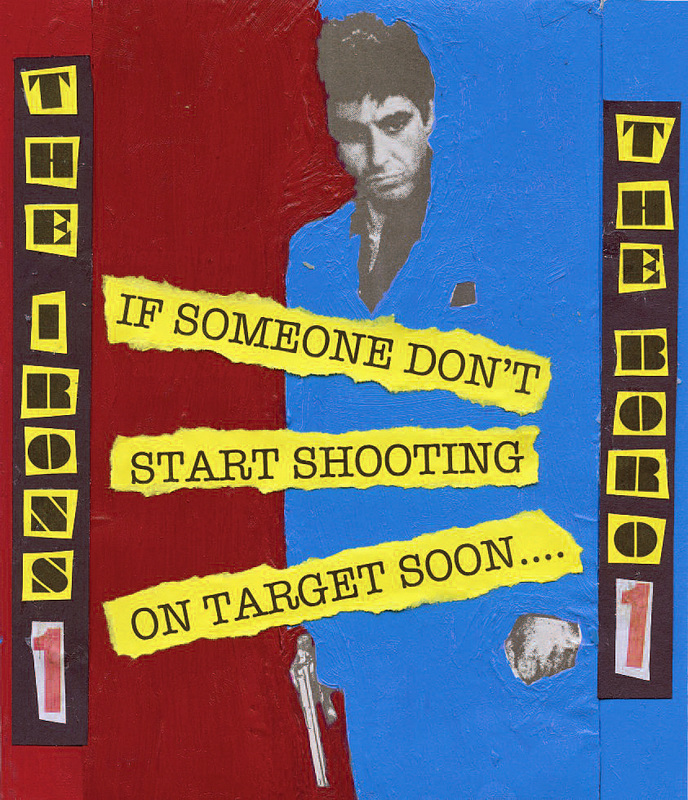 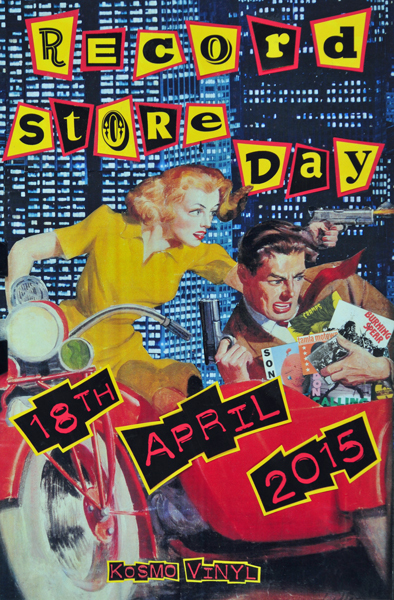 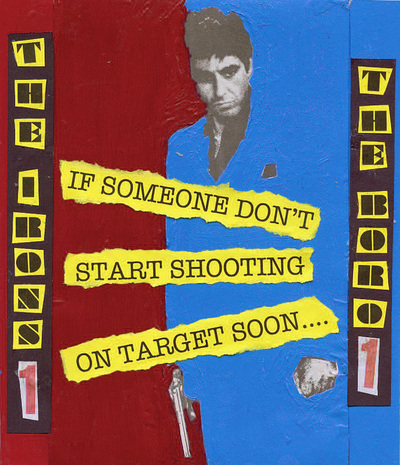 He's best known as the promoter/manager/ringmaster & rabble-rouser for The Clash and Ian Dury & the Blockheads. 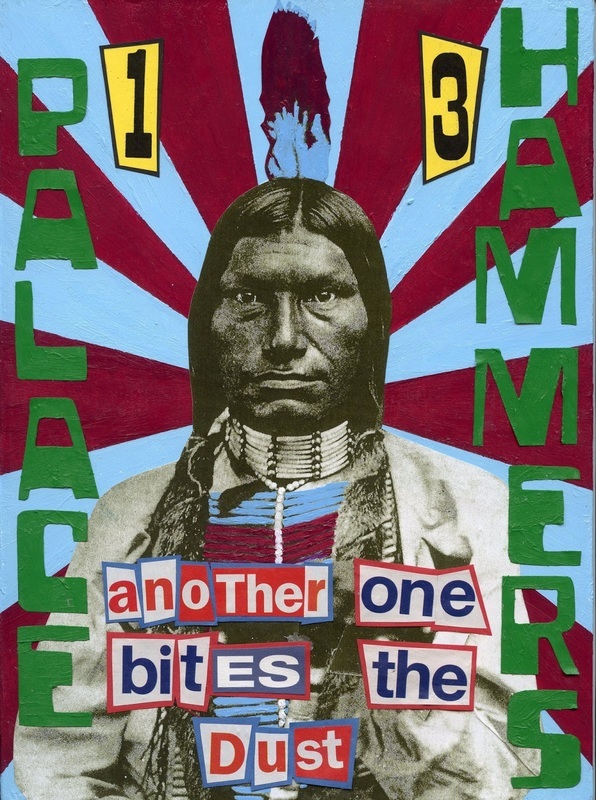 These days, the former Londoner turned New Yorker keeps busy as a visual artist & 'cultural curator'. 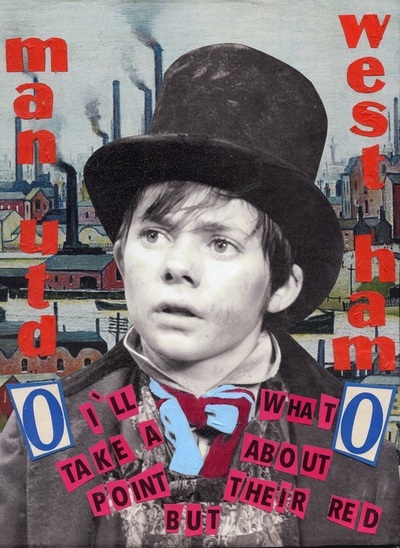 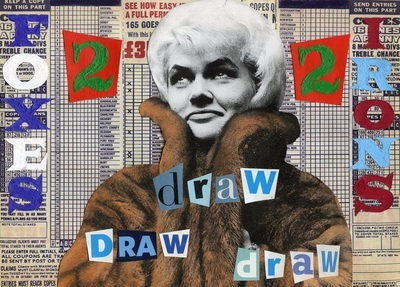 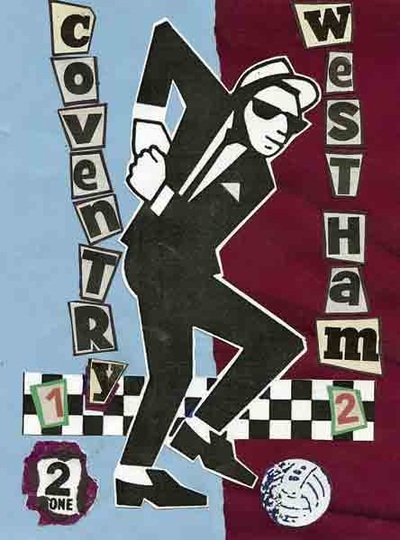 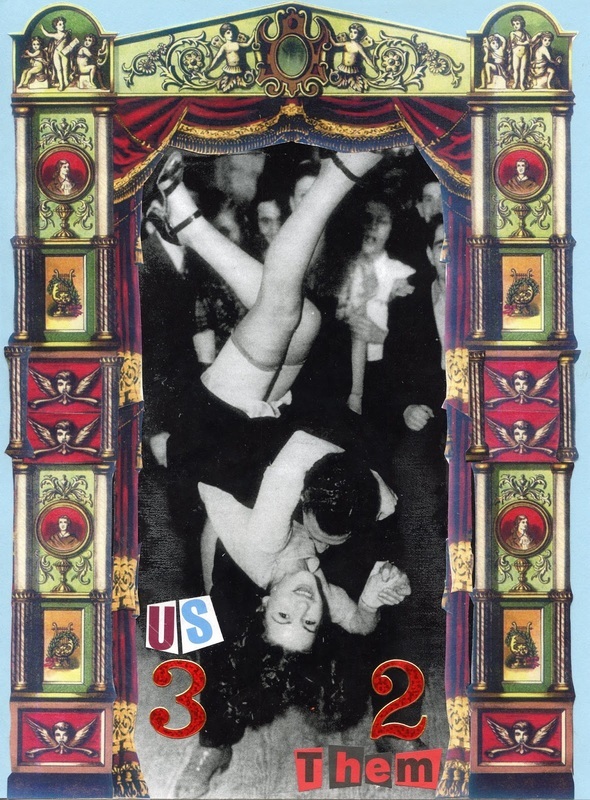 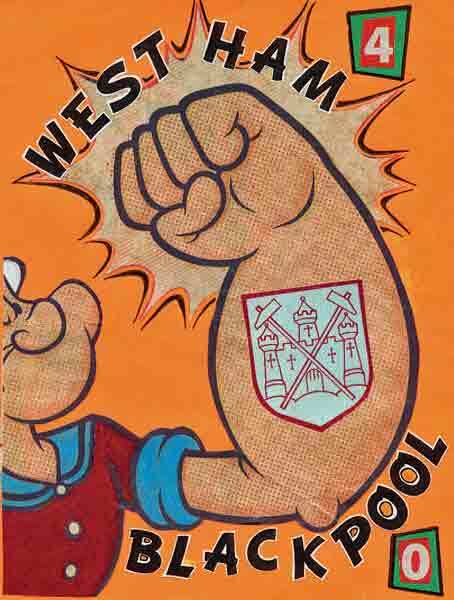 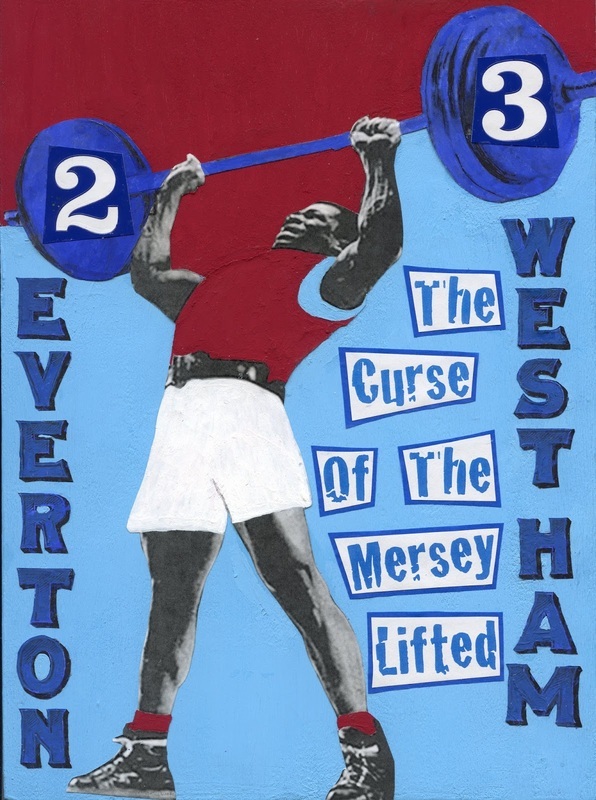 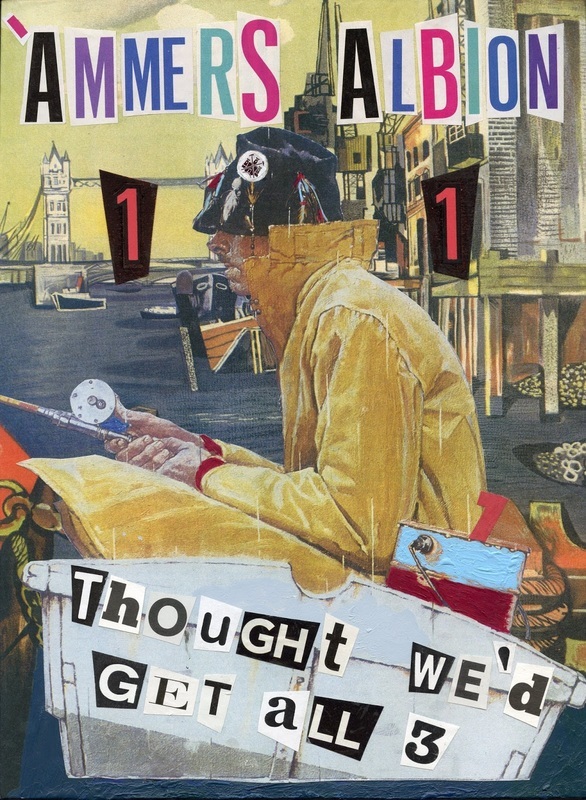 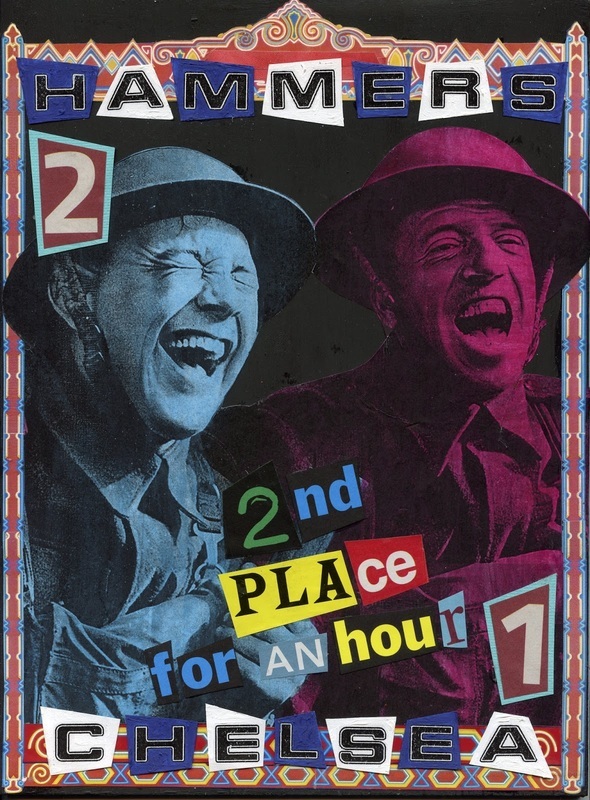 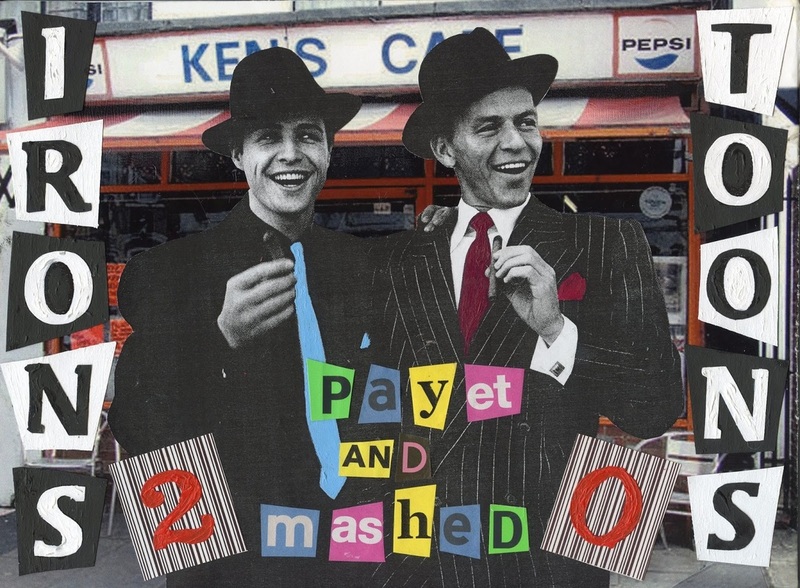 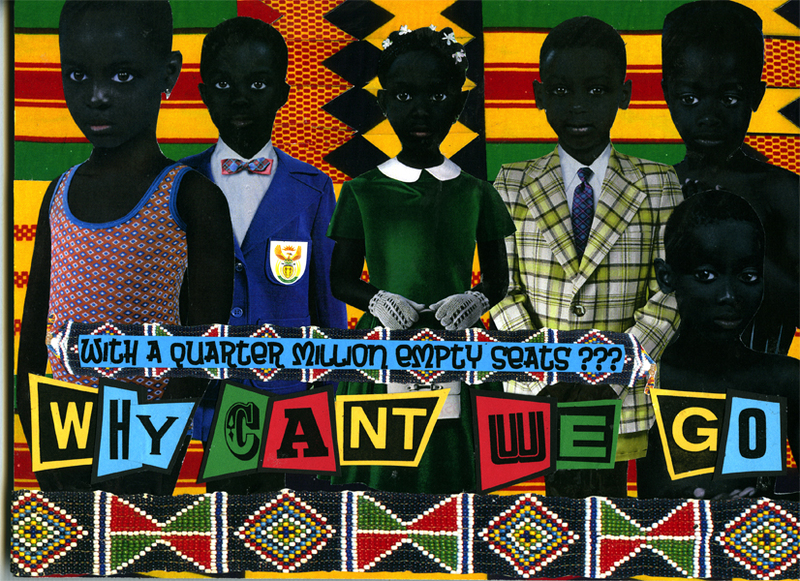 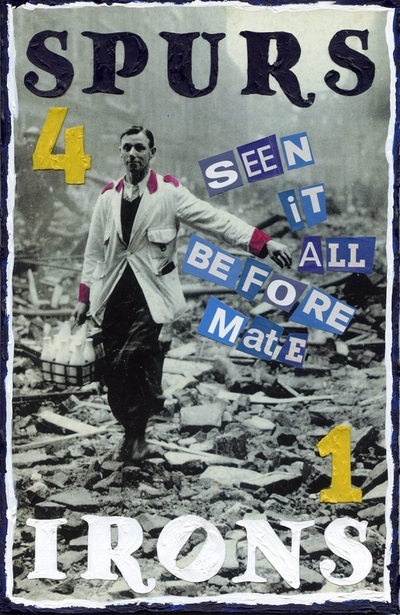 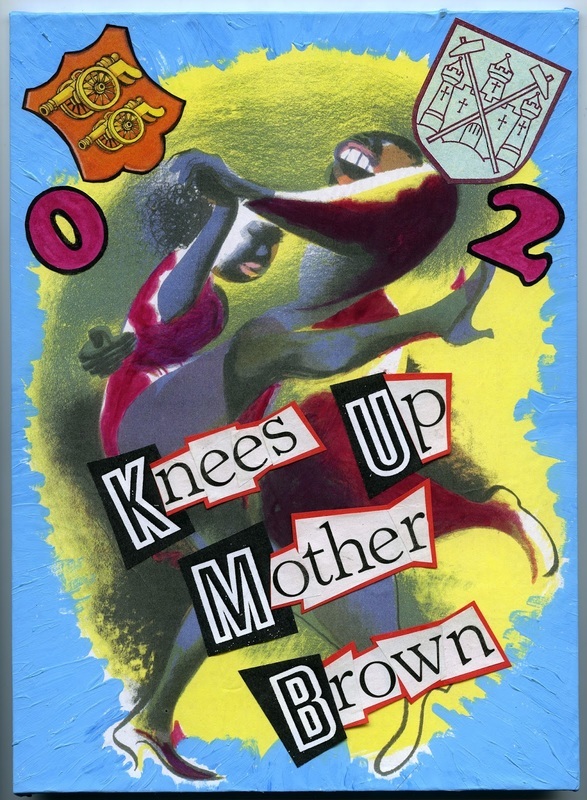 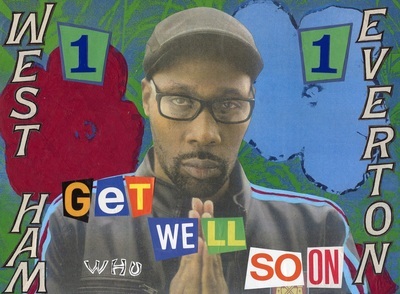 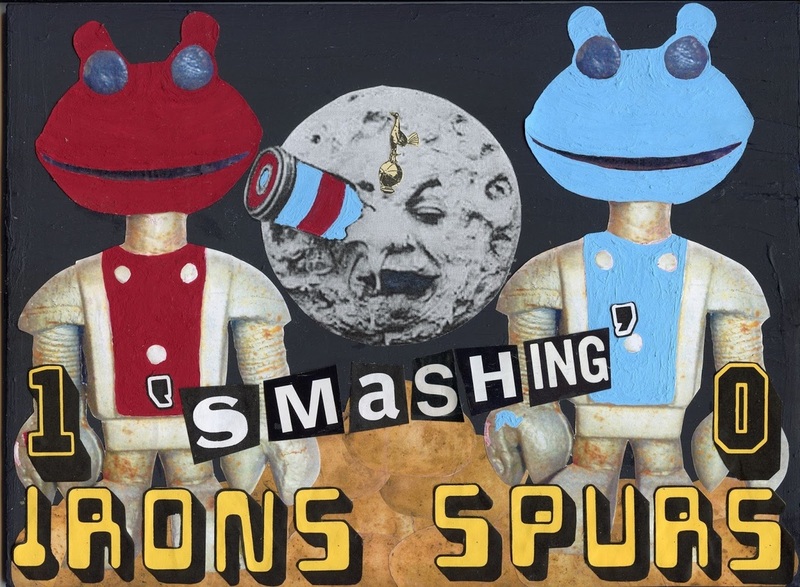 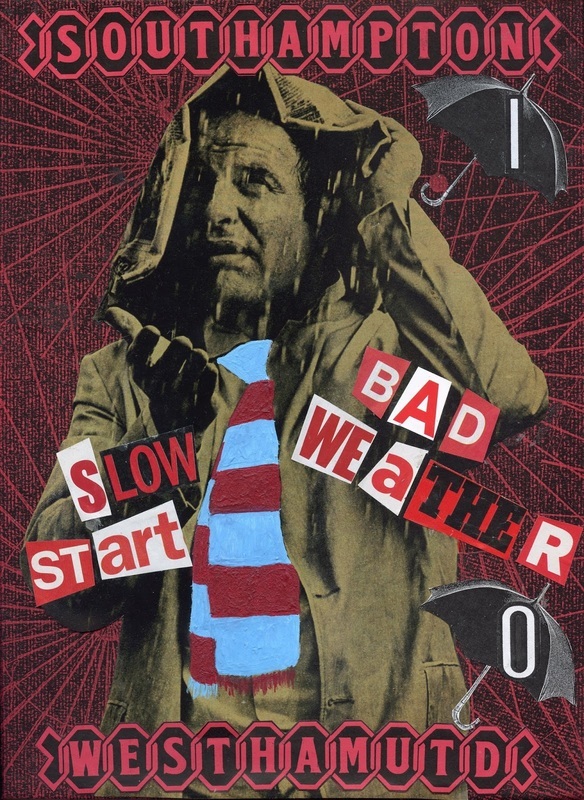 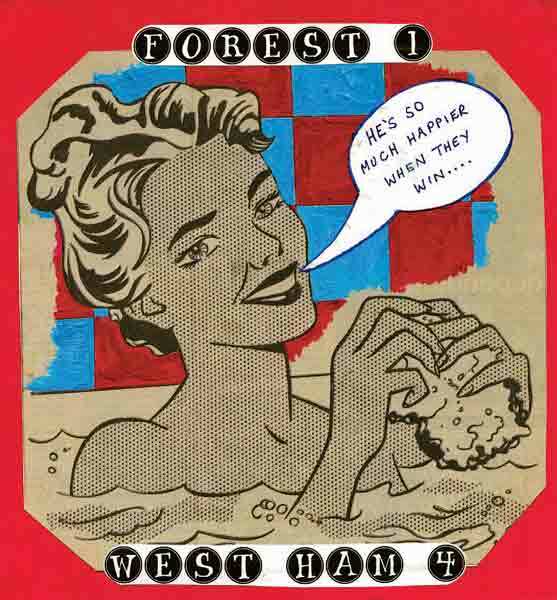 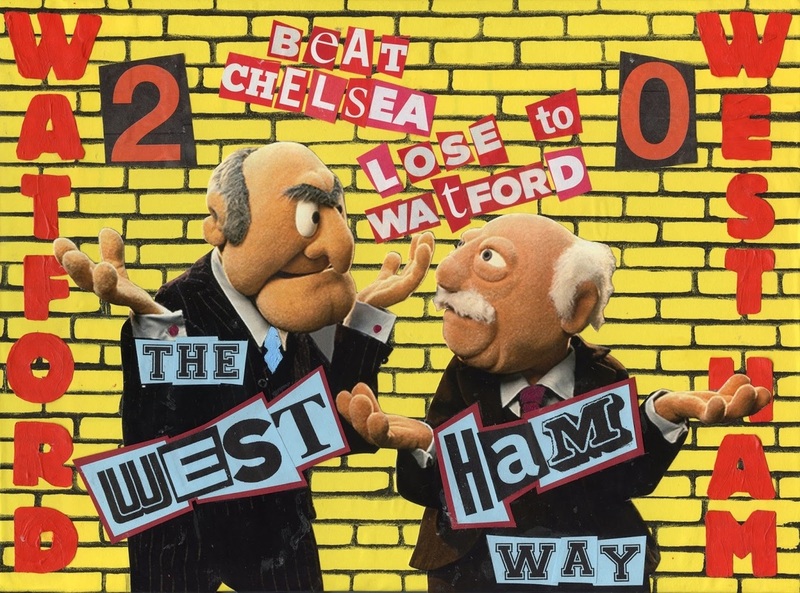 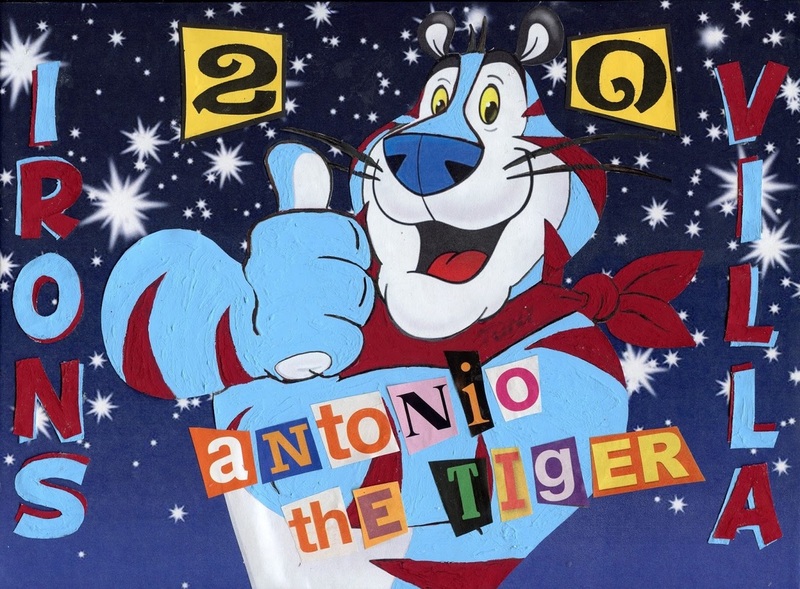 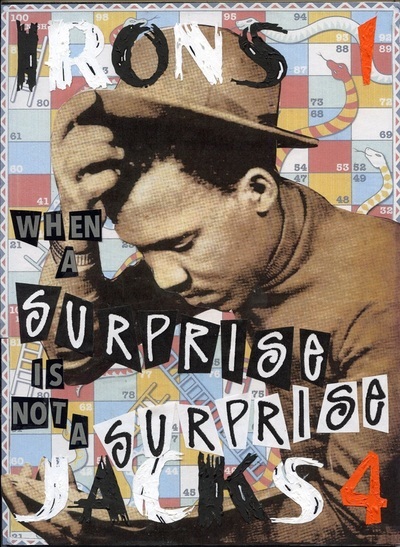 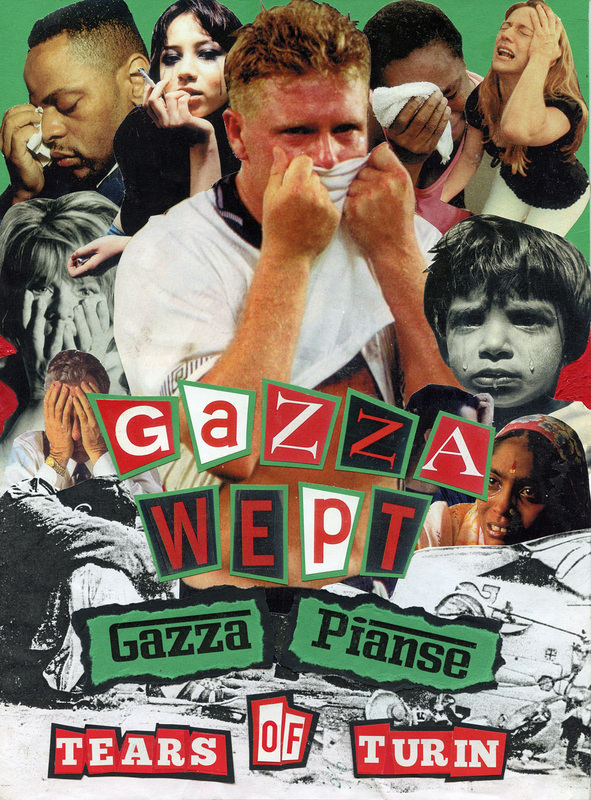 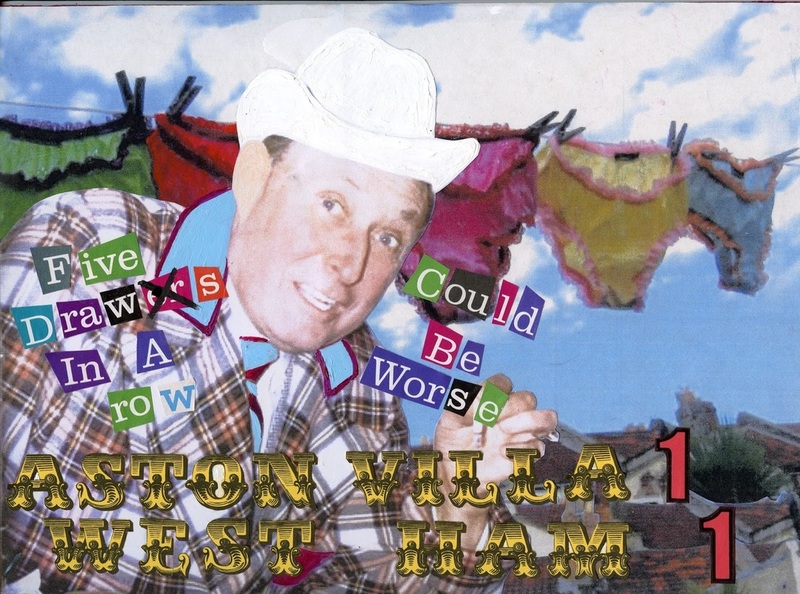 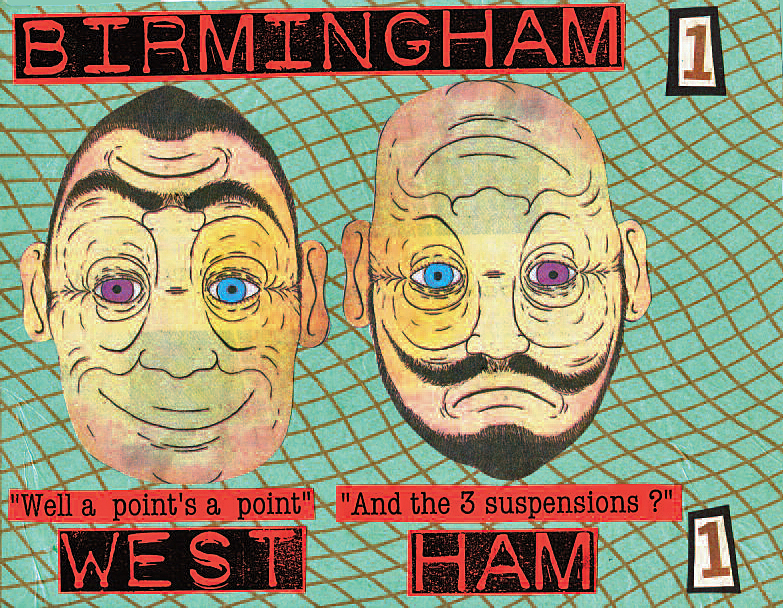 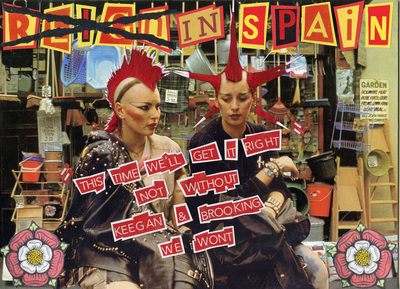 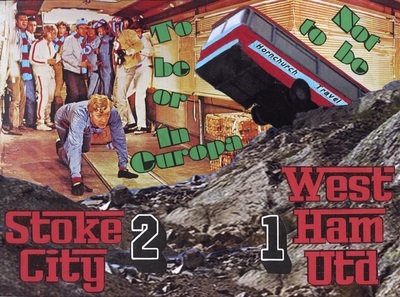 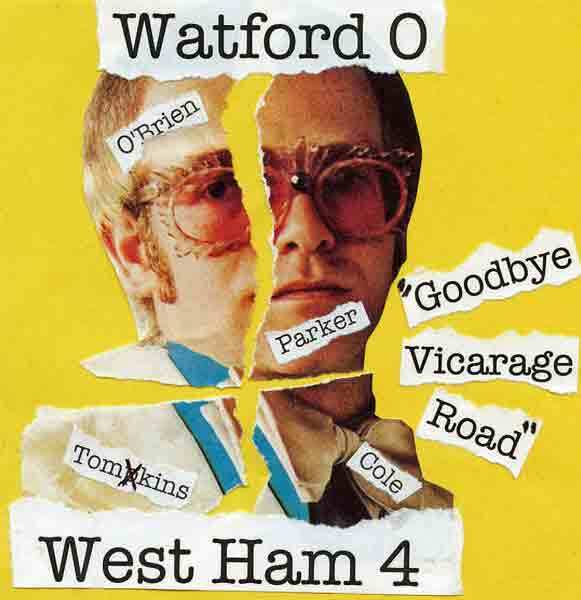 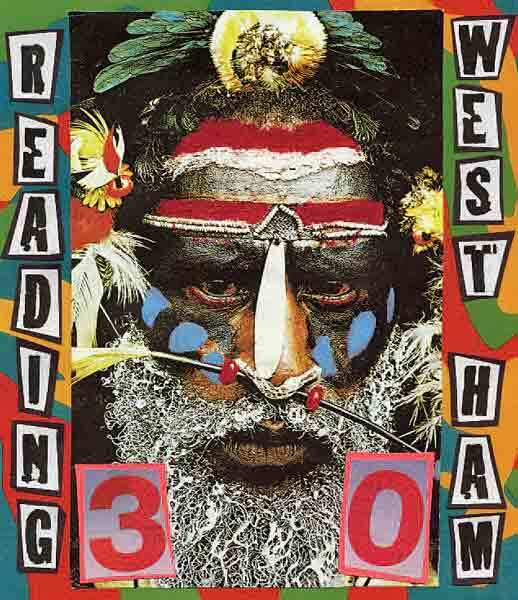 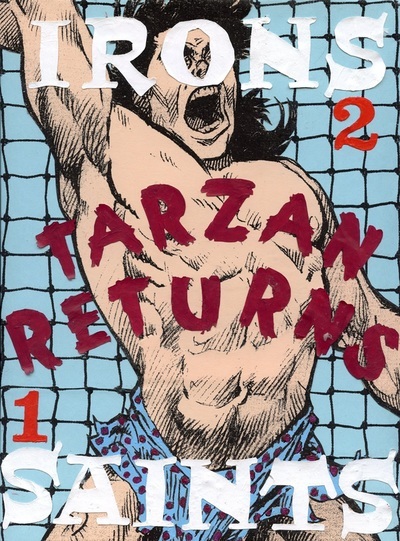 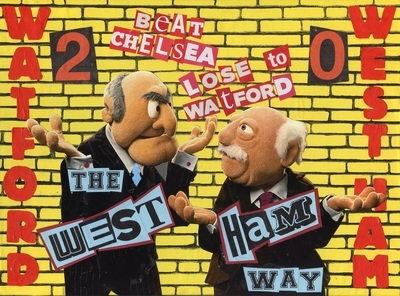 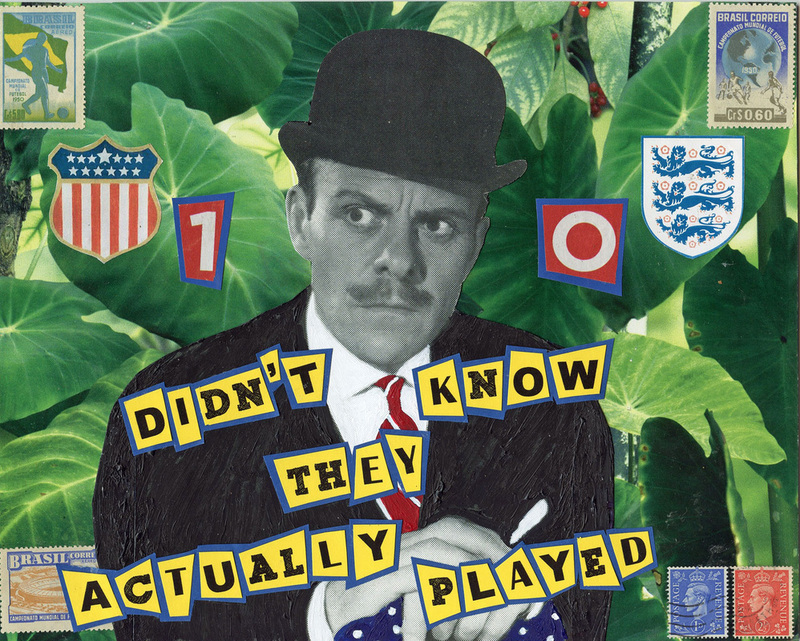 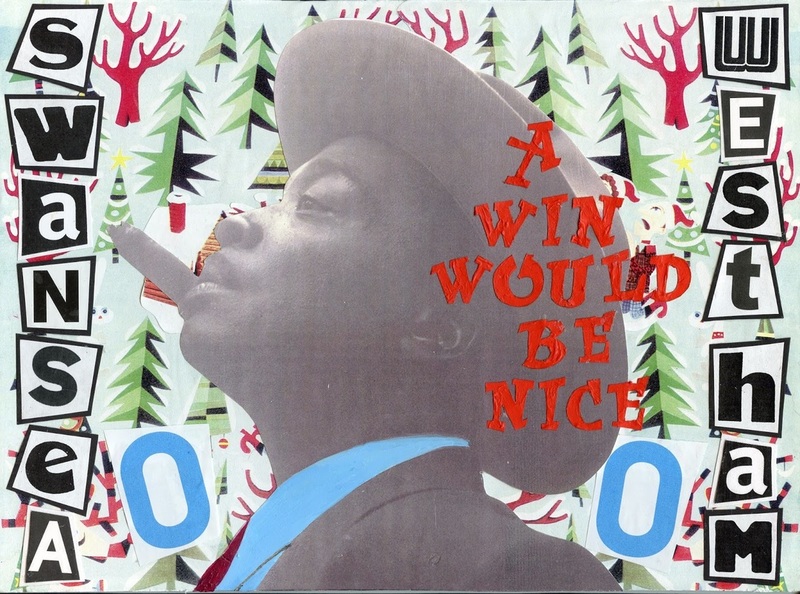 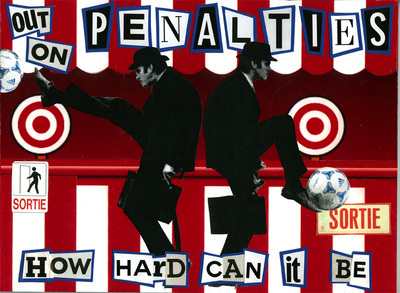 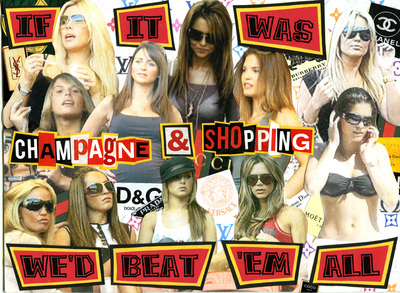 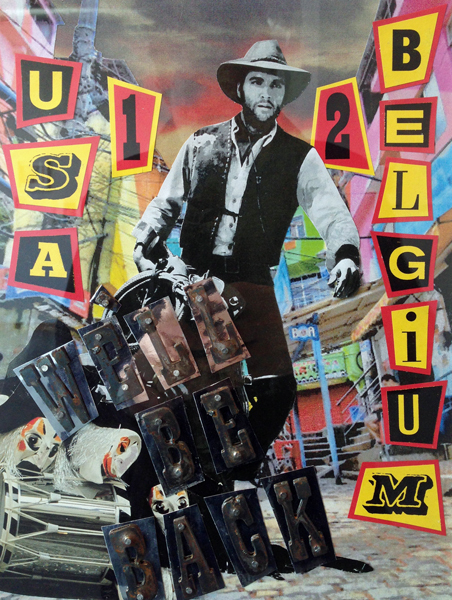 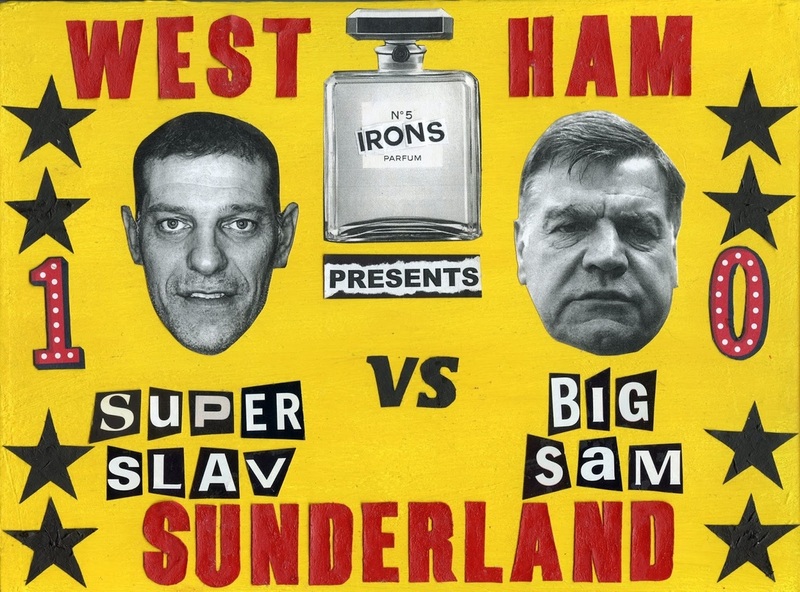 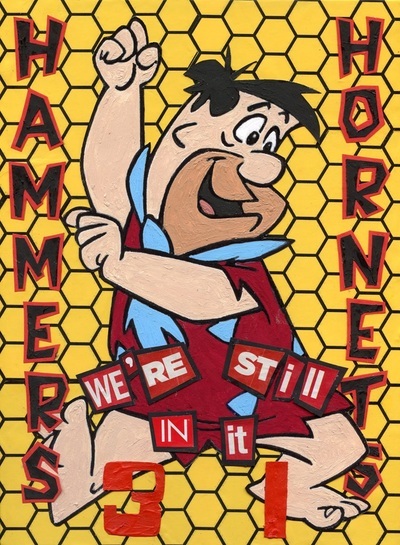 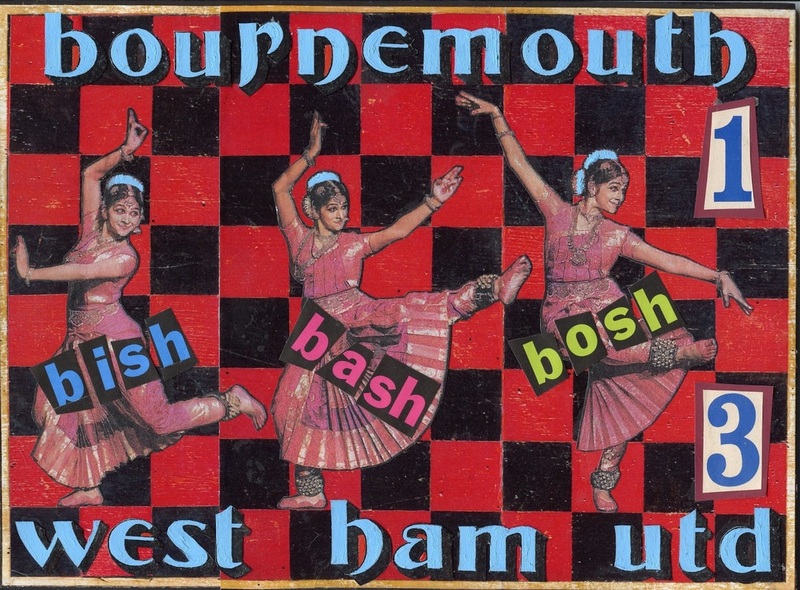 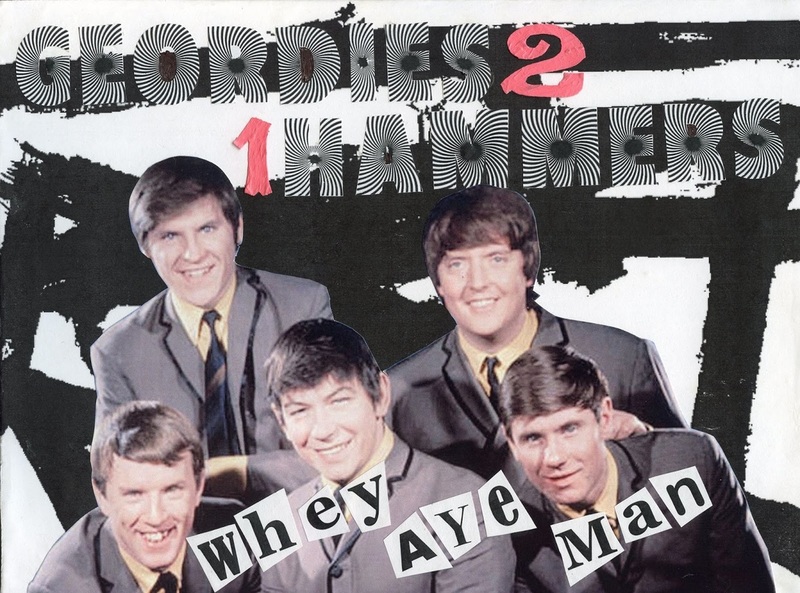 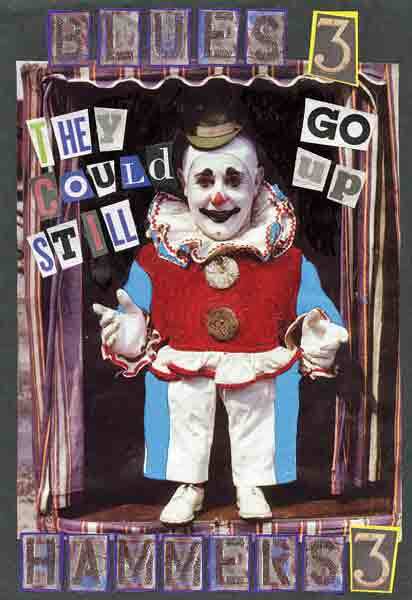 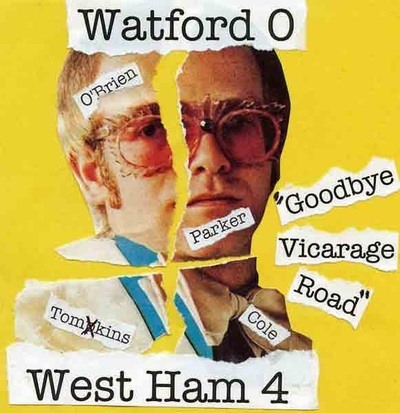 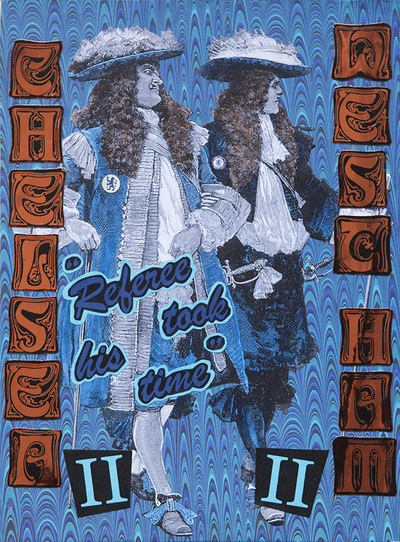 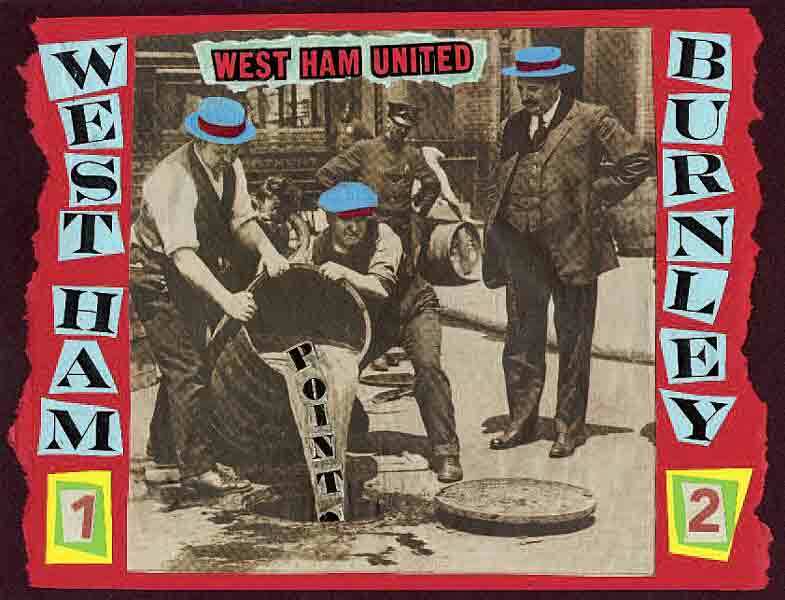 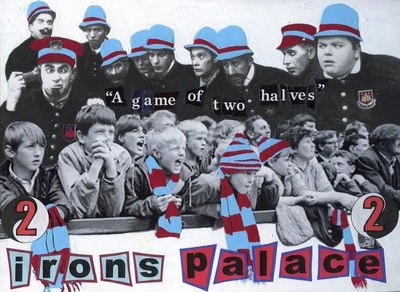 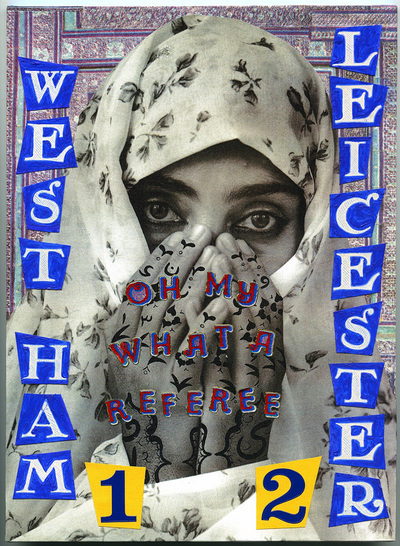 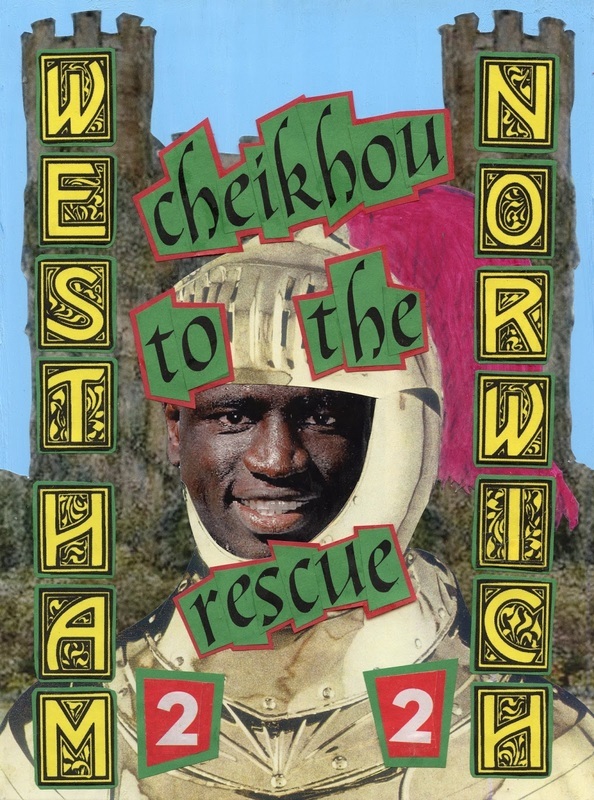 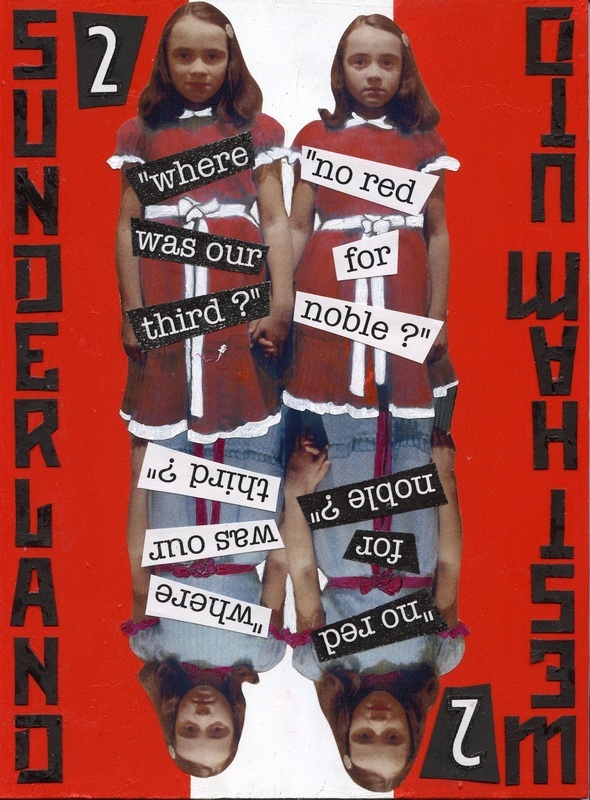 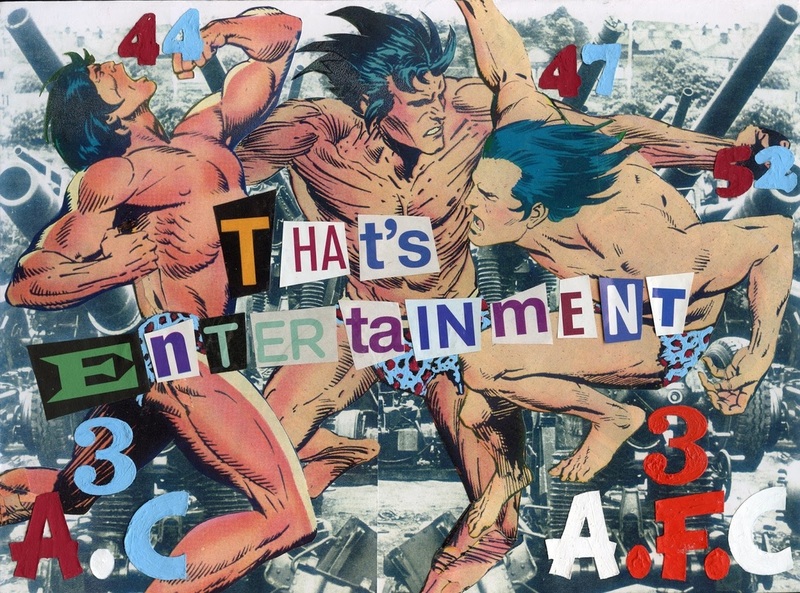 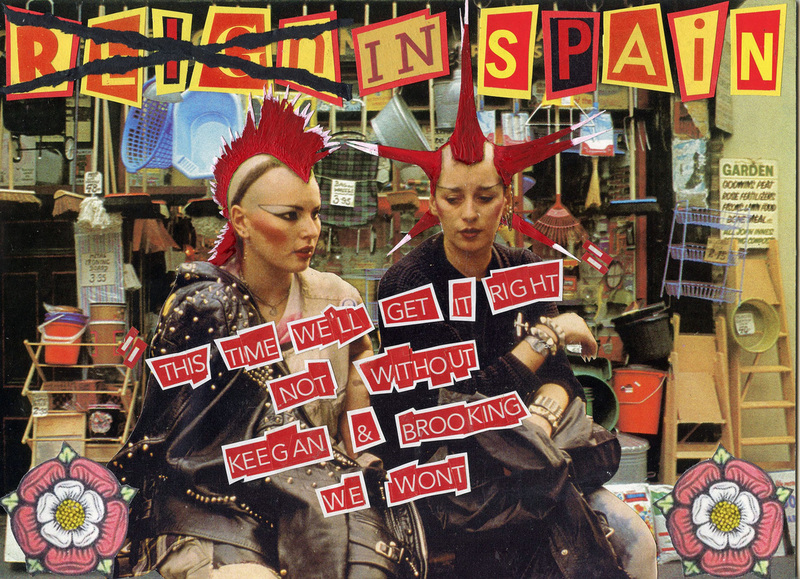 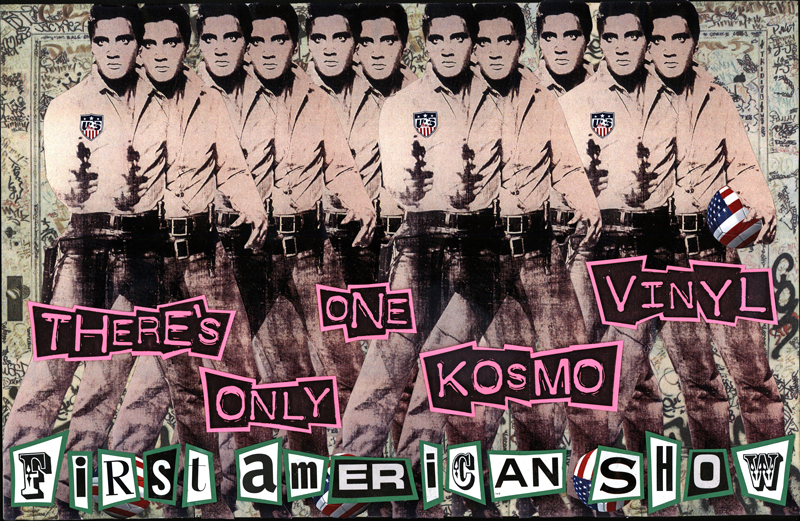 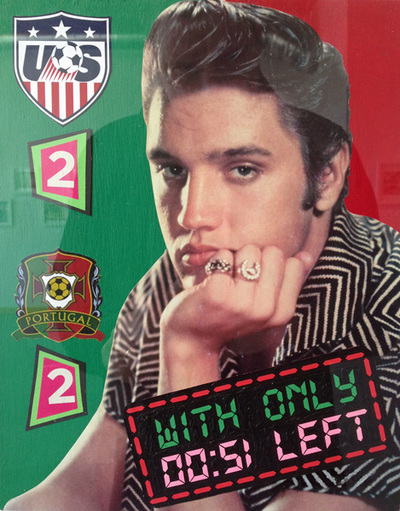 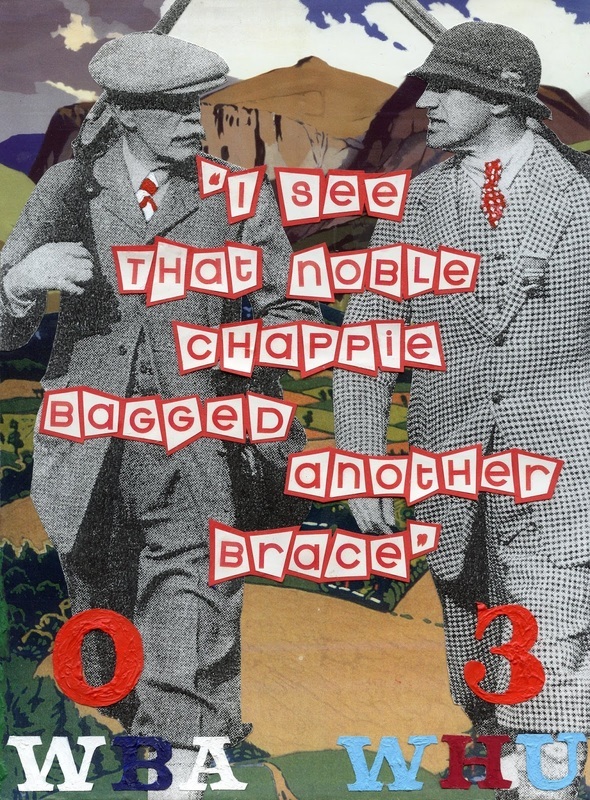 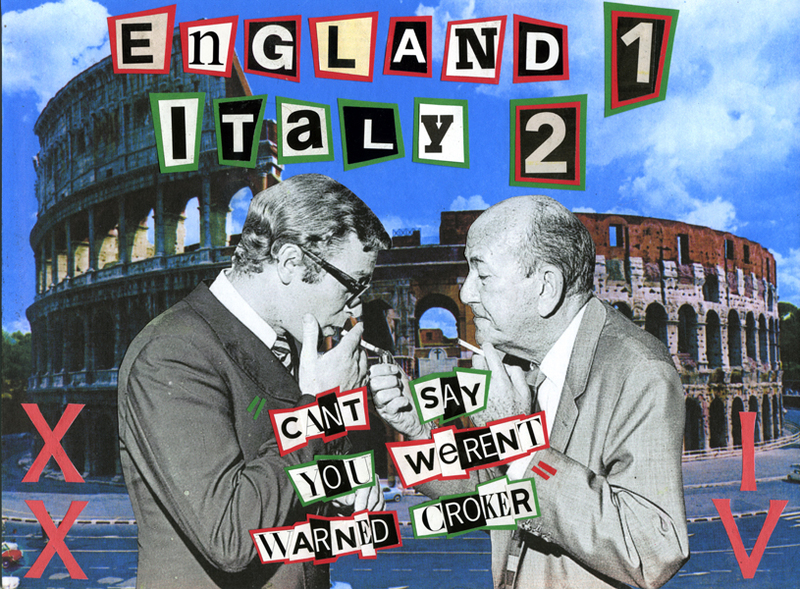 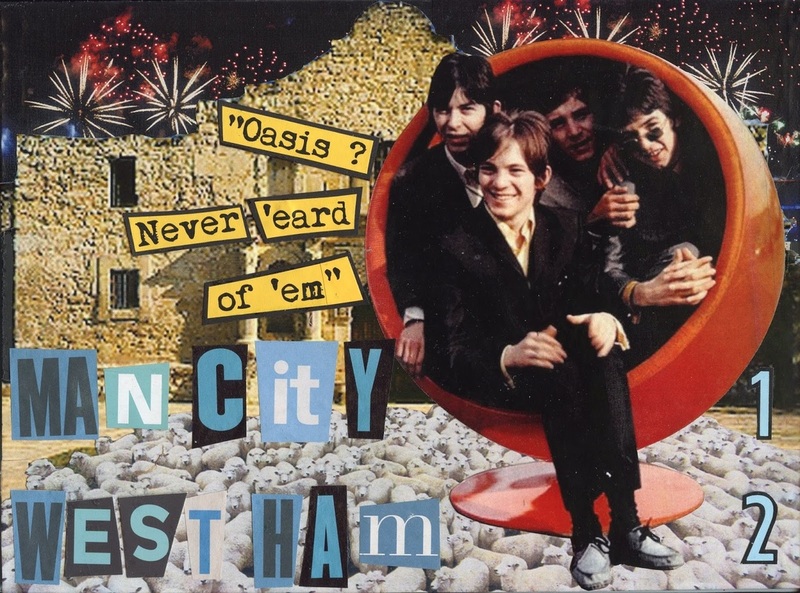 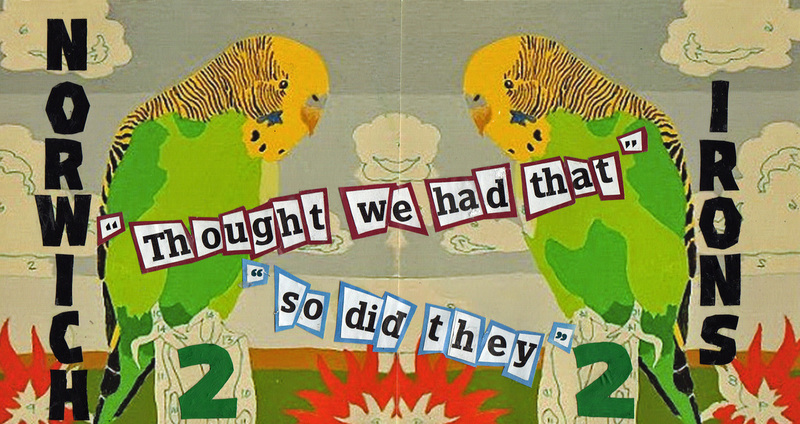 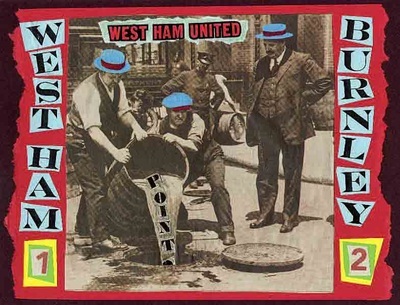 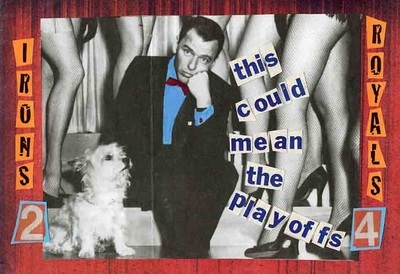 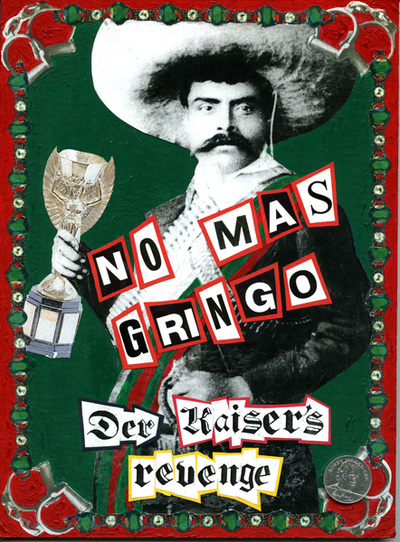 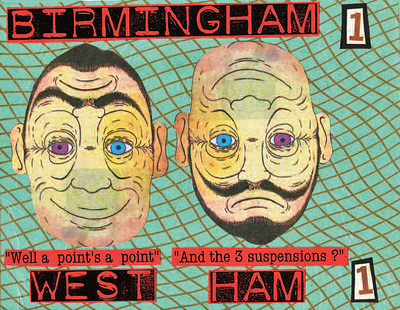 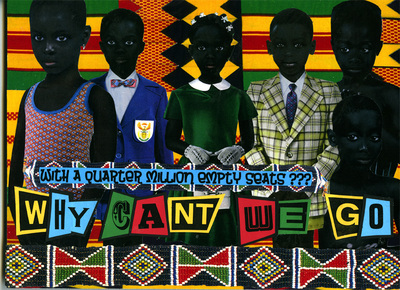 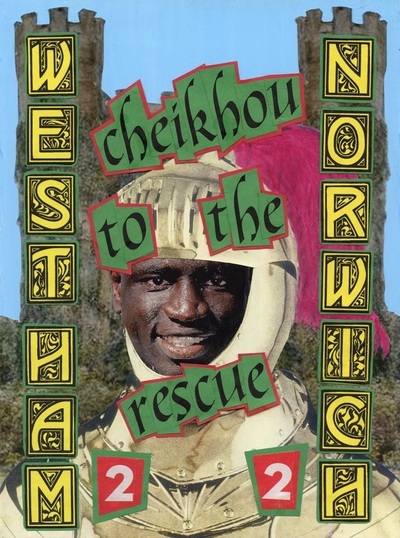 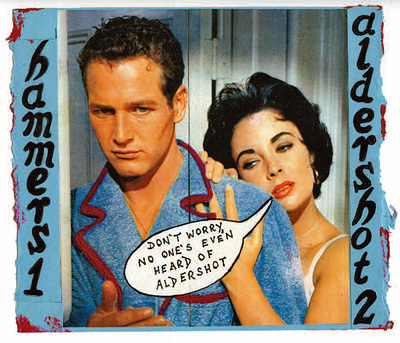 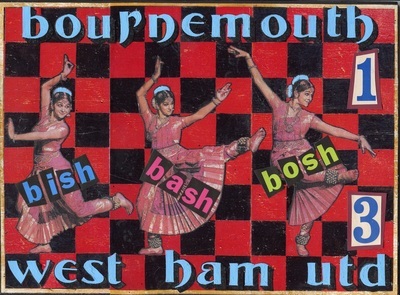 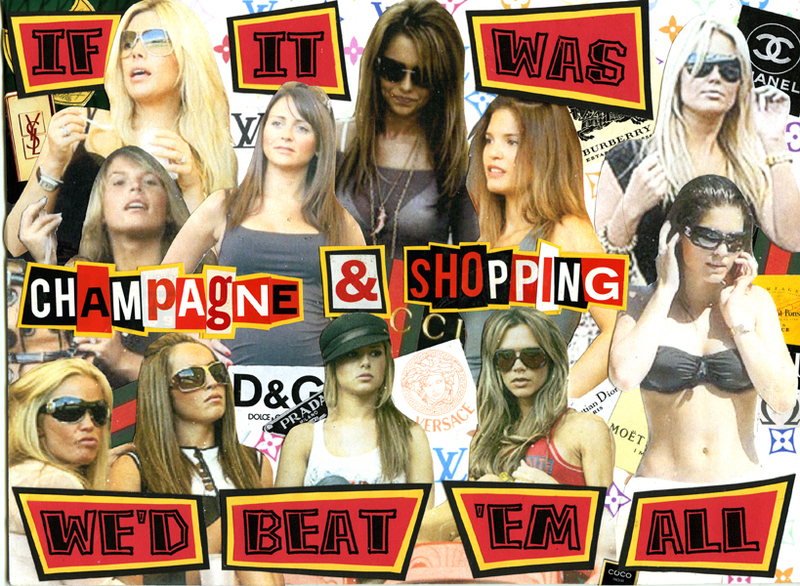 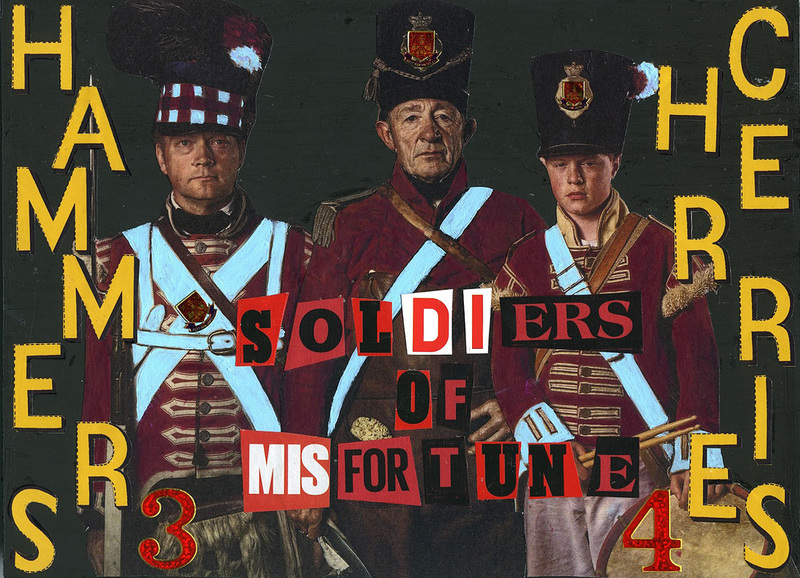 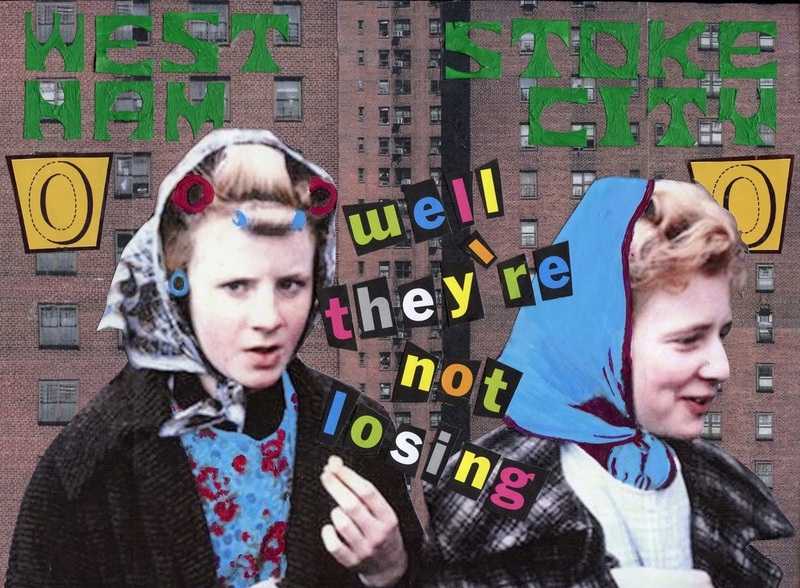 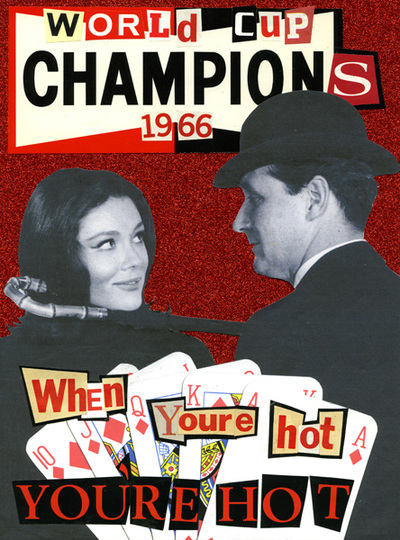 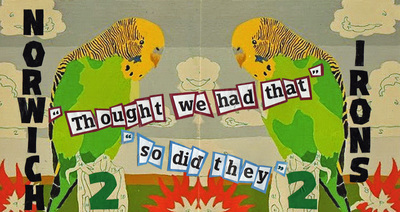 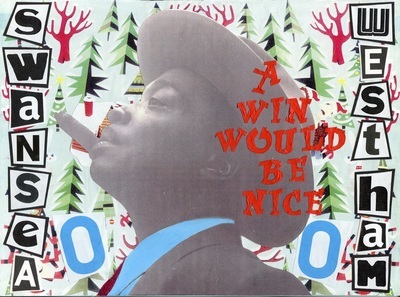 Kosmo's first major art project was a five-year series of "Pop-Art influenced collages with a Punk aesthetic" that paid homage to his beloved West Ham United FC. He made a unique piece for every match 'The Hammers' played, culminating when they left their historic Boleyn Ground for London's Olympic Stadium in 2016. 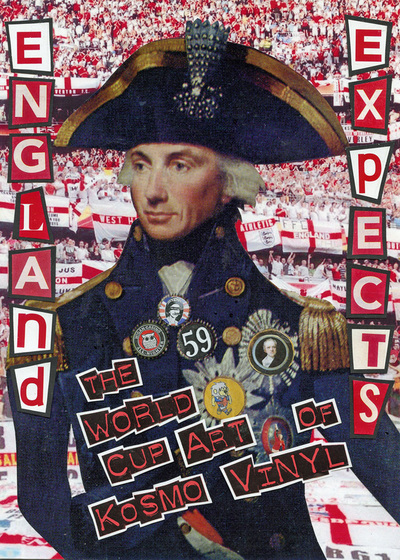 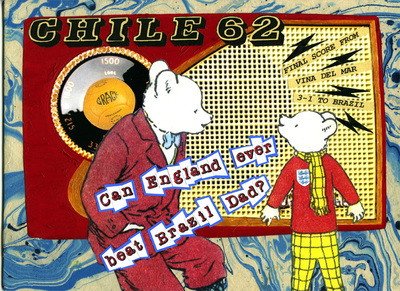 Kosmo also paid tribute to the England Men's National Team, commemorating their World Cup history. 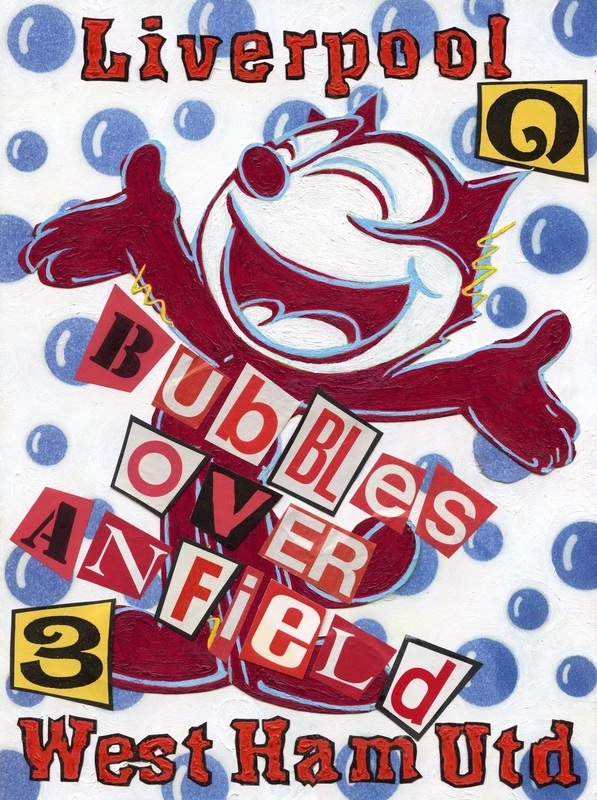 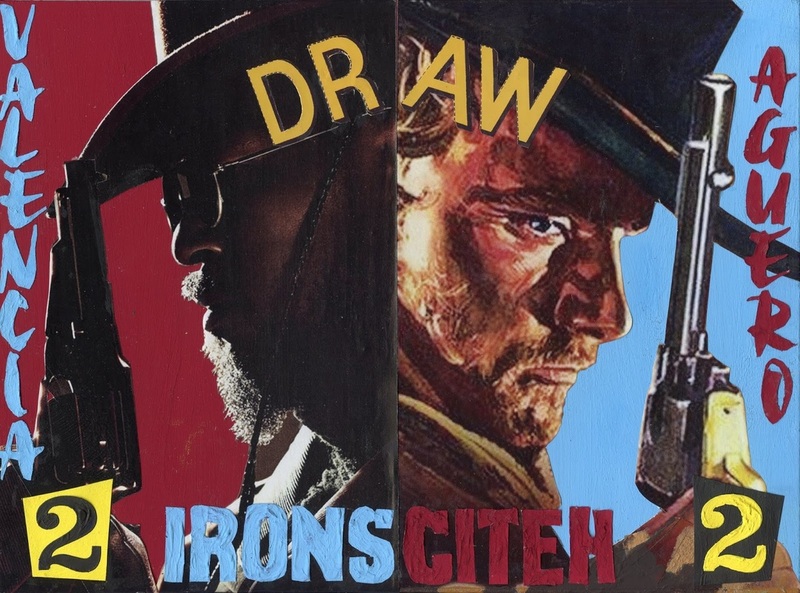 That work was exhibited in 2013 at his first exhibition at London's Eb & Flow Gallery, followed by a show in Somerset during the 2014 FIFA World Cup. His US debut included the England works, as well as four pieces dedicated to the US Men's National Team World Cup campaign. 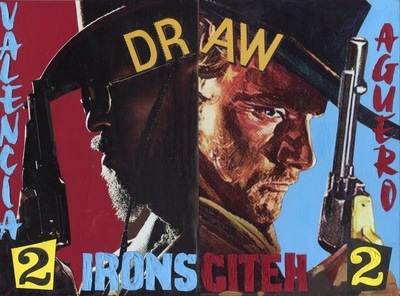 The show, presented by VINSONart and sponsored by Mailchimp & Heineken, took place in Atlanta at Lightroom Studio. 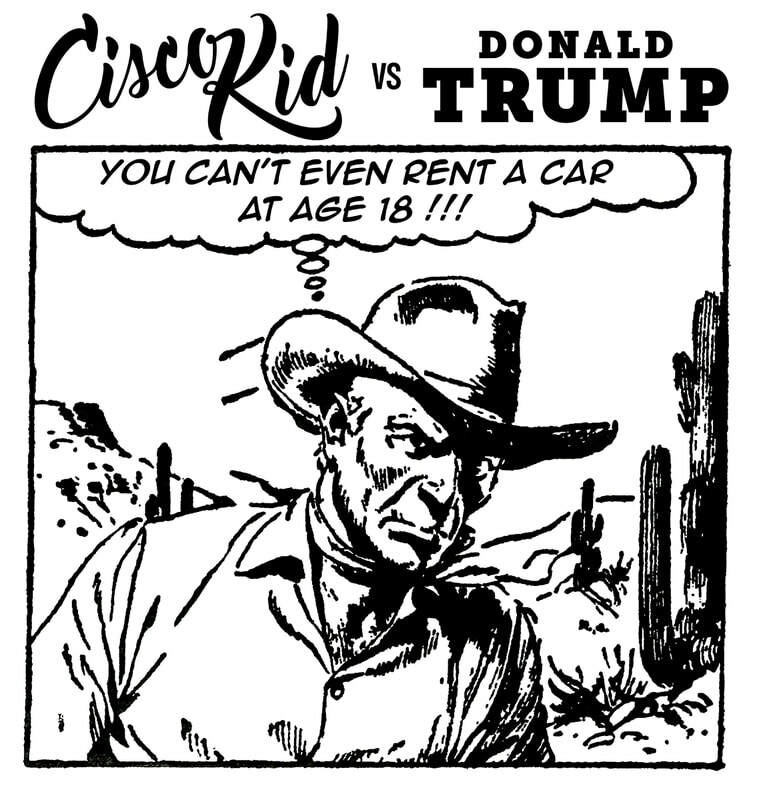 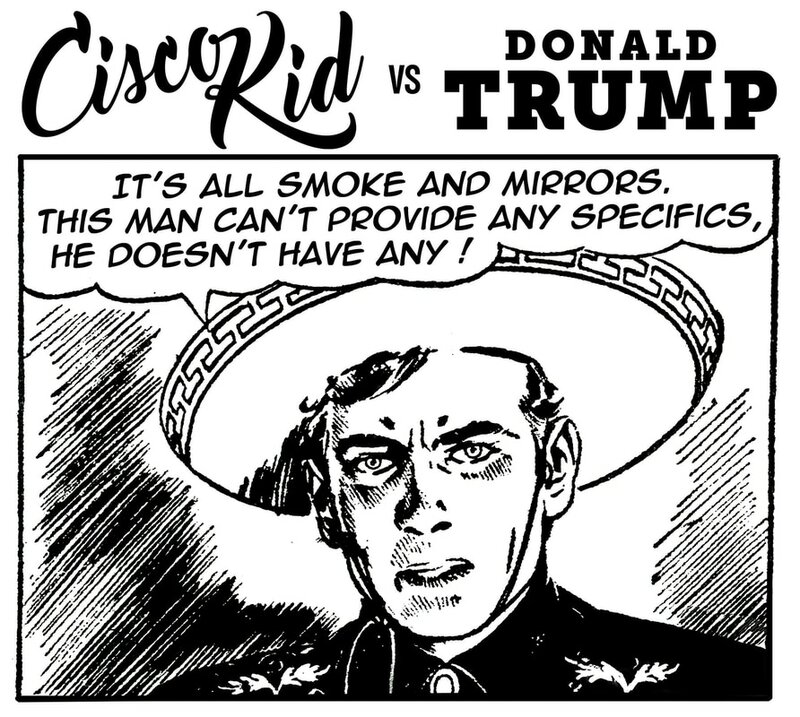 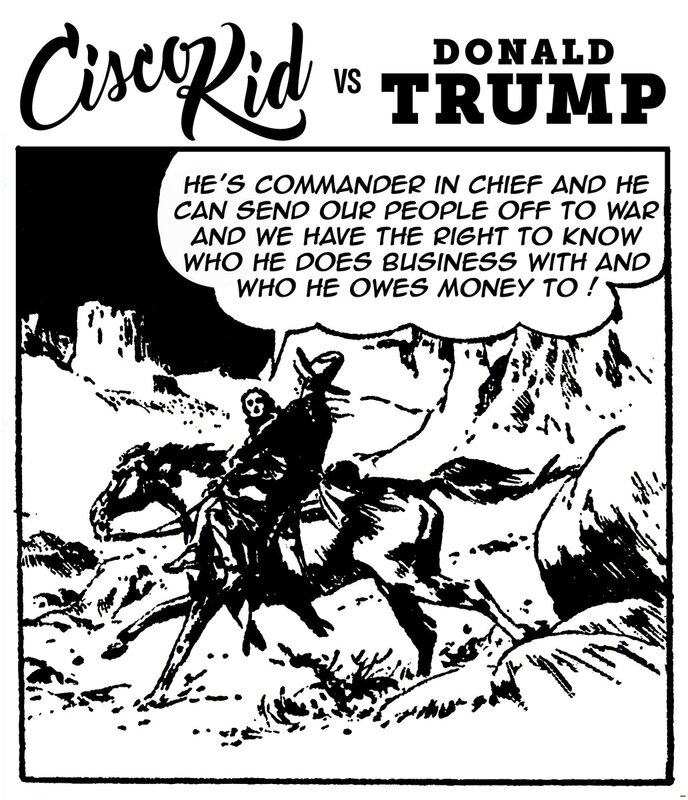 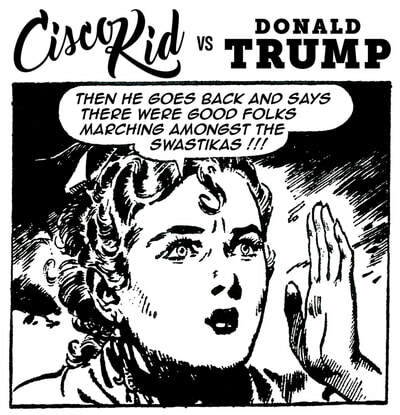 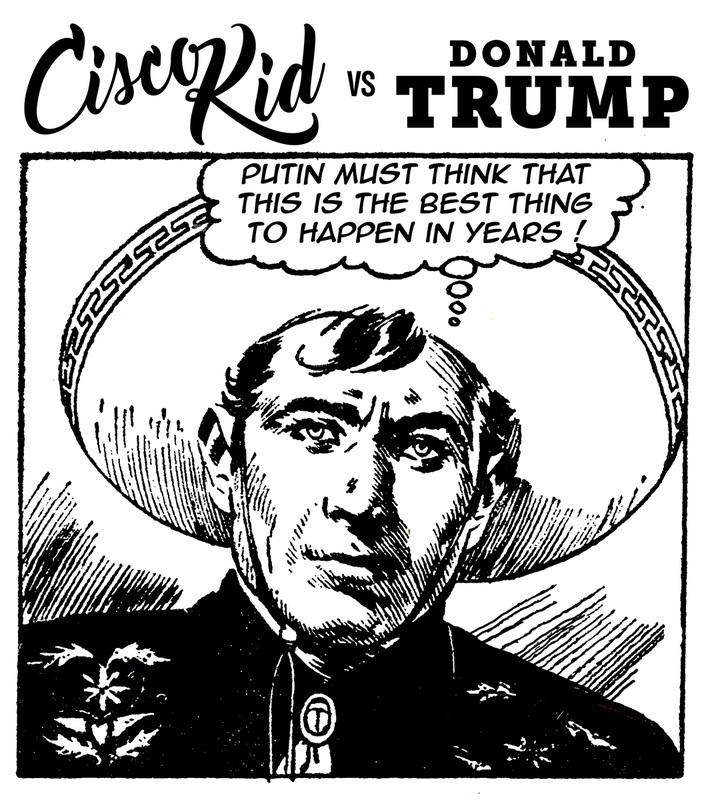 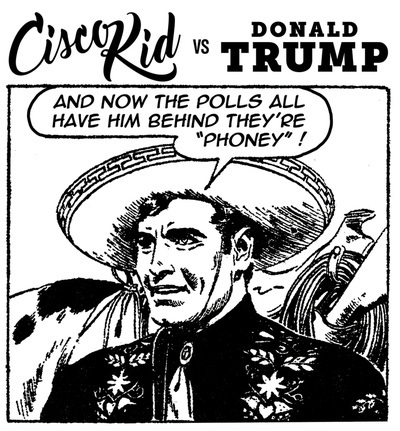 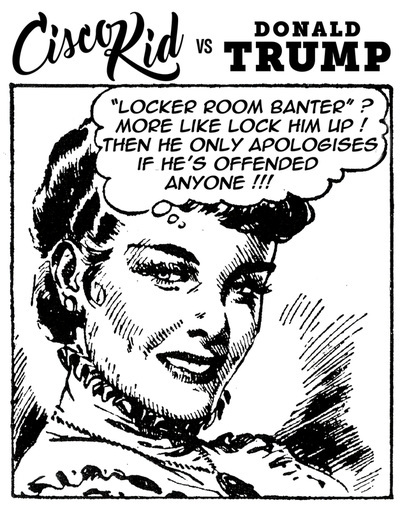 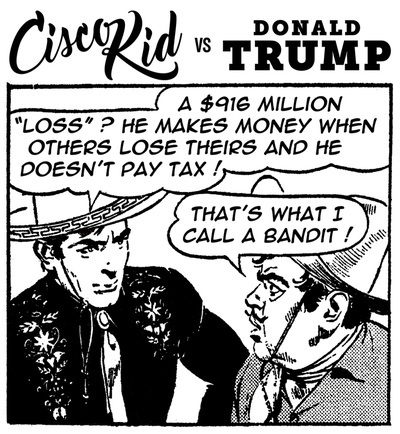 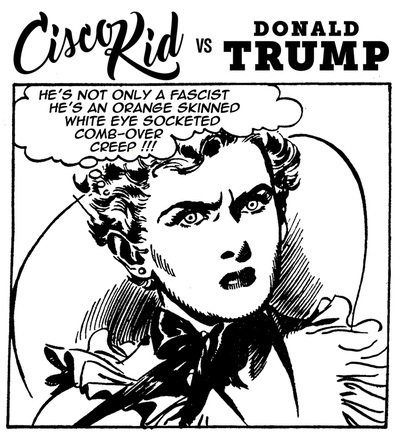 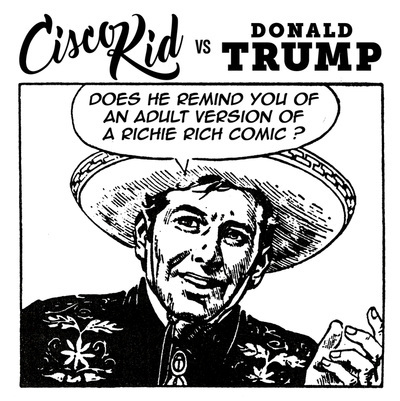 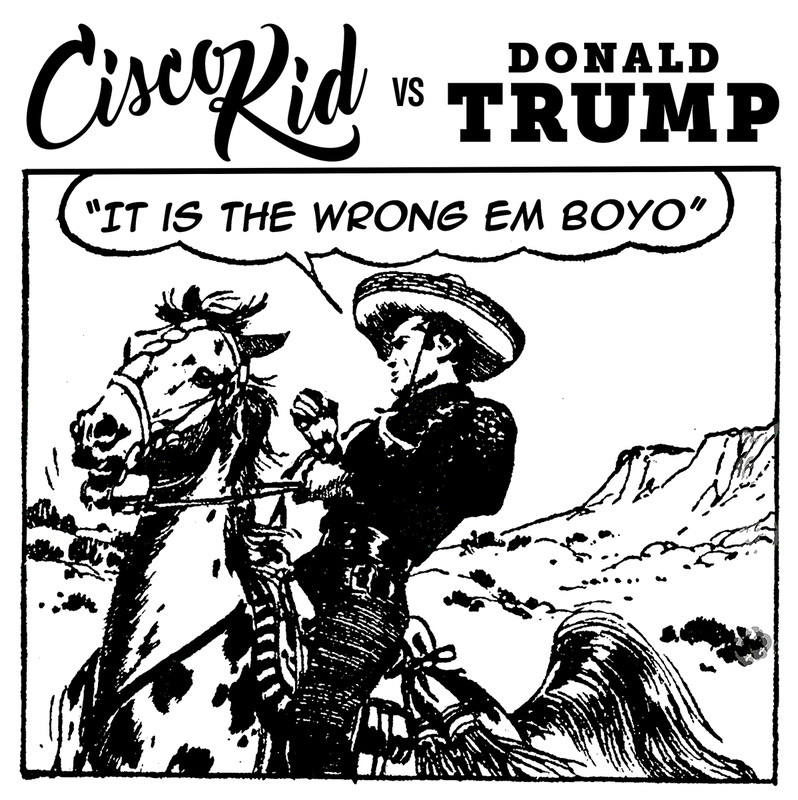 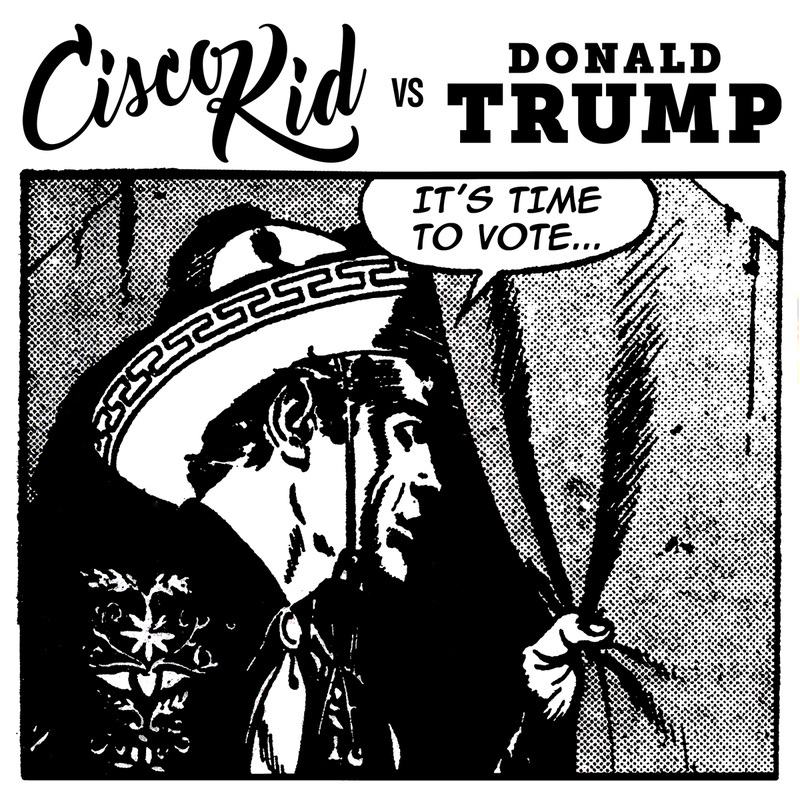 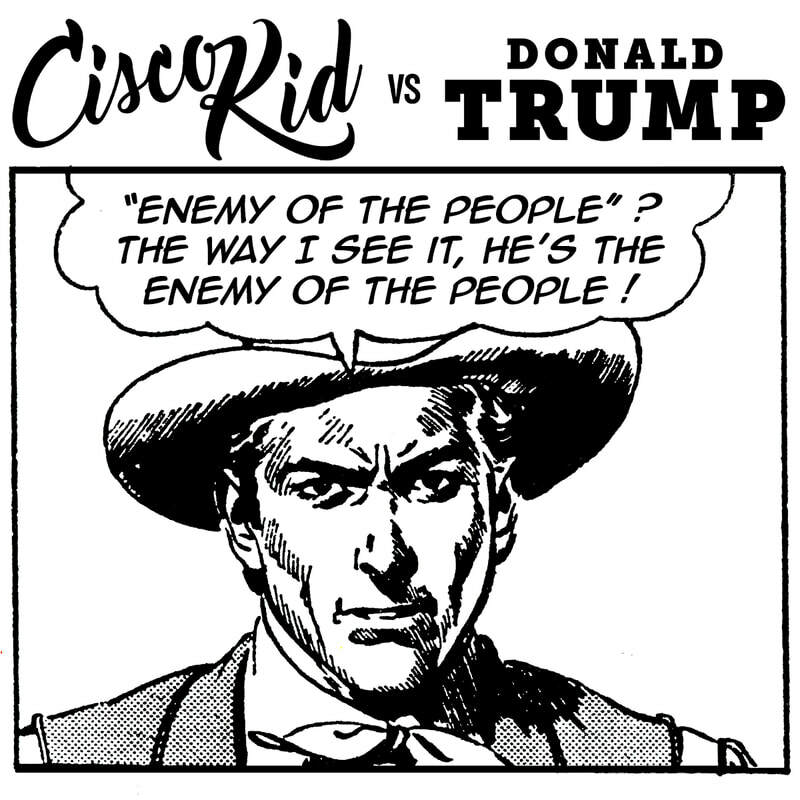 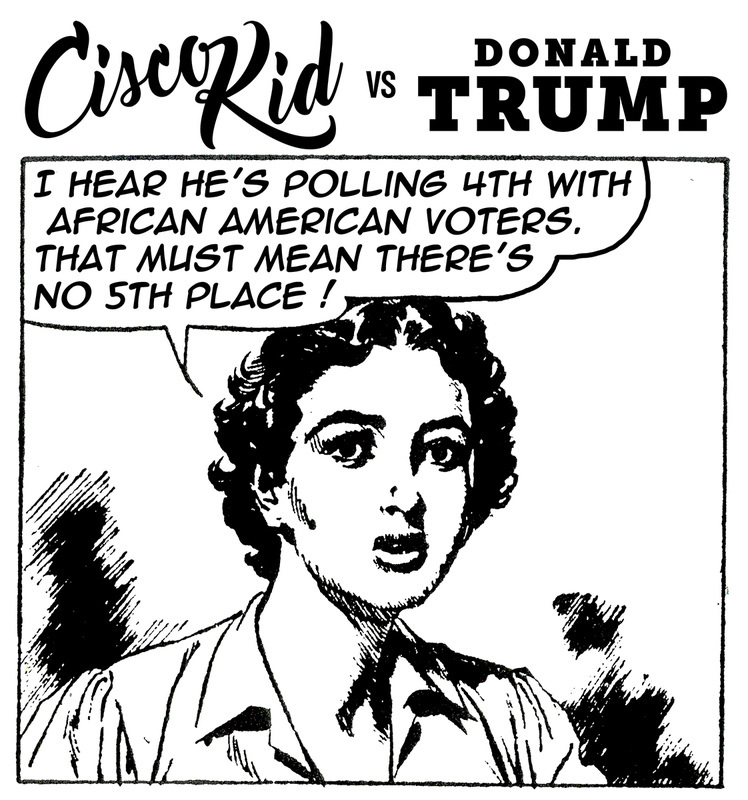 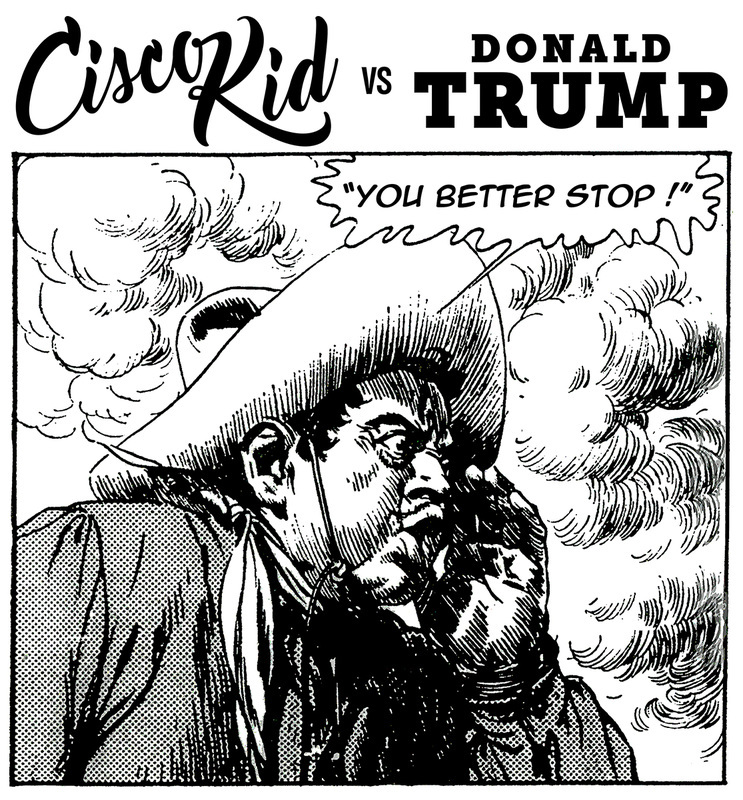 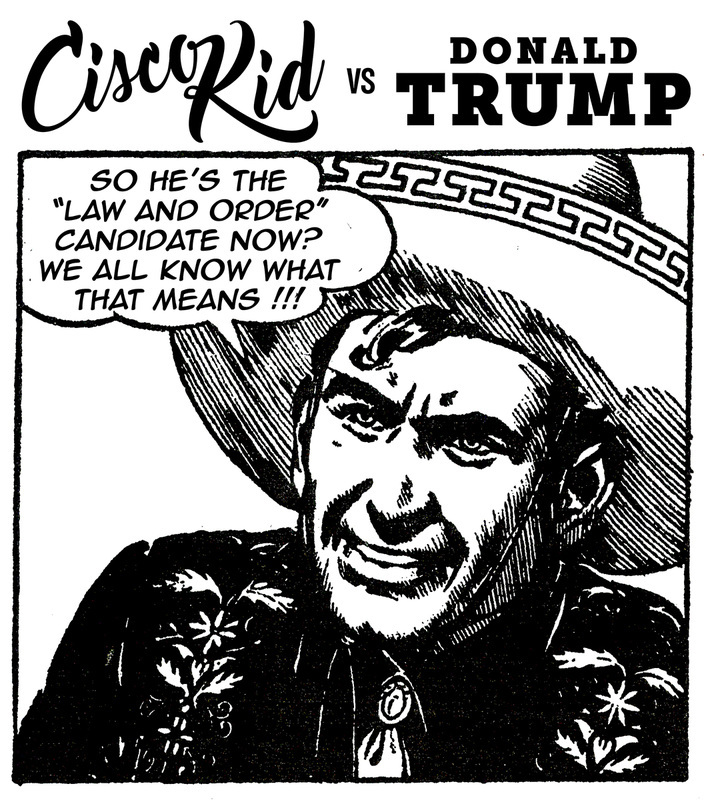 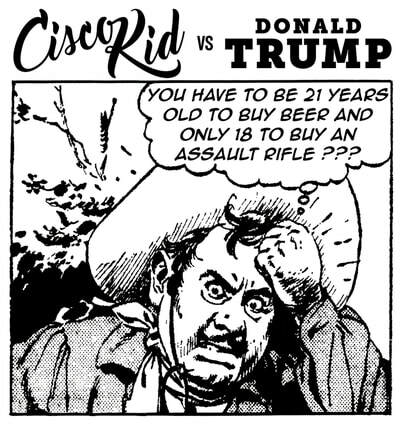 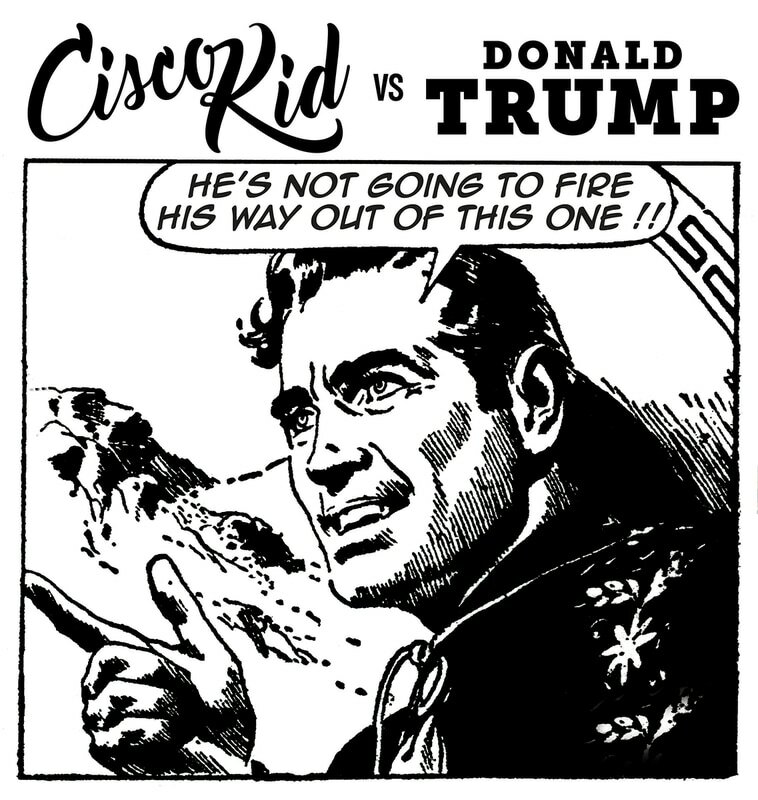 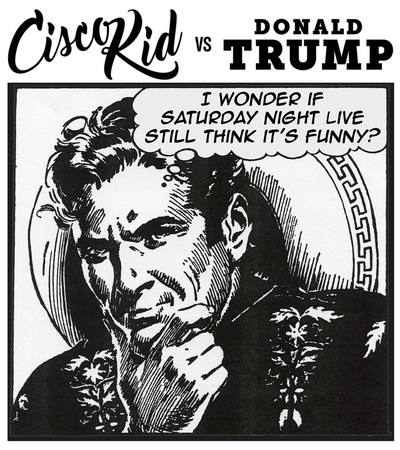 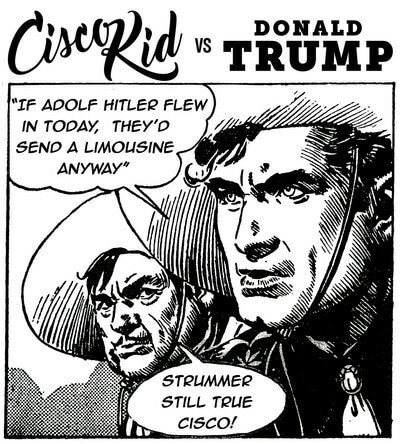 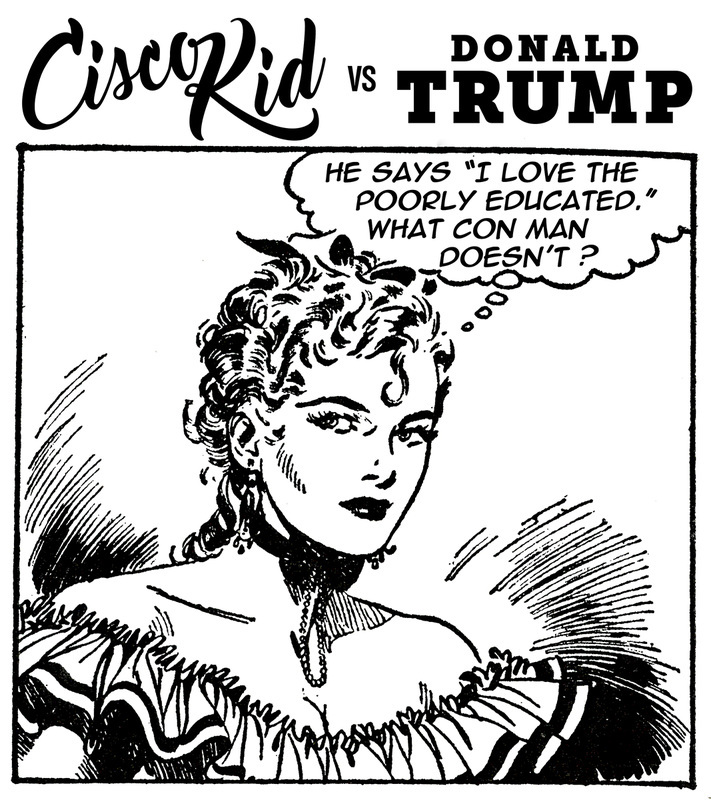 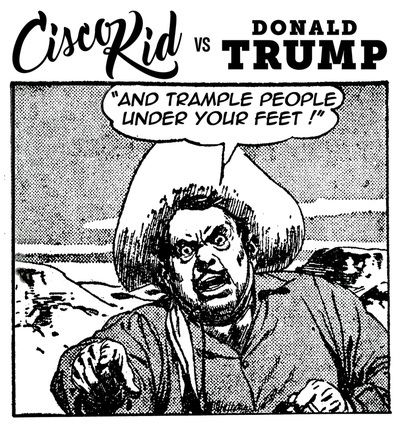 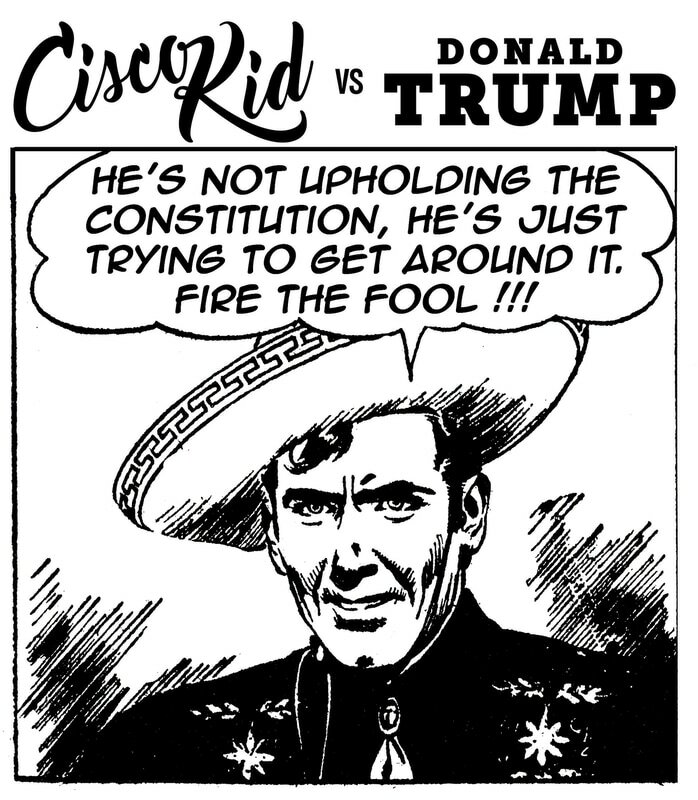 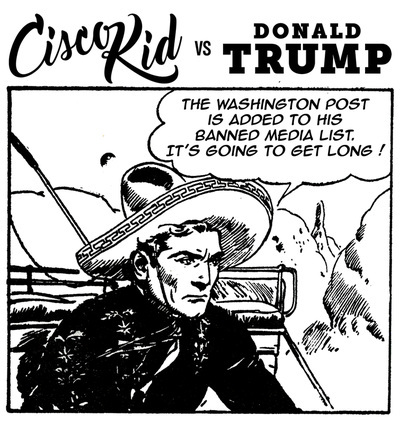 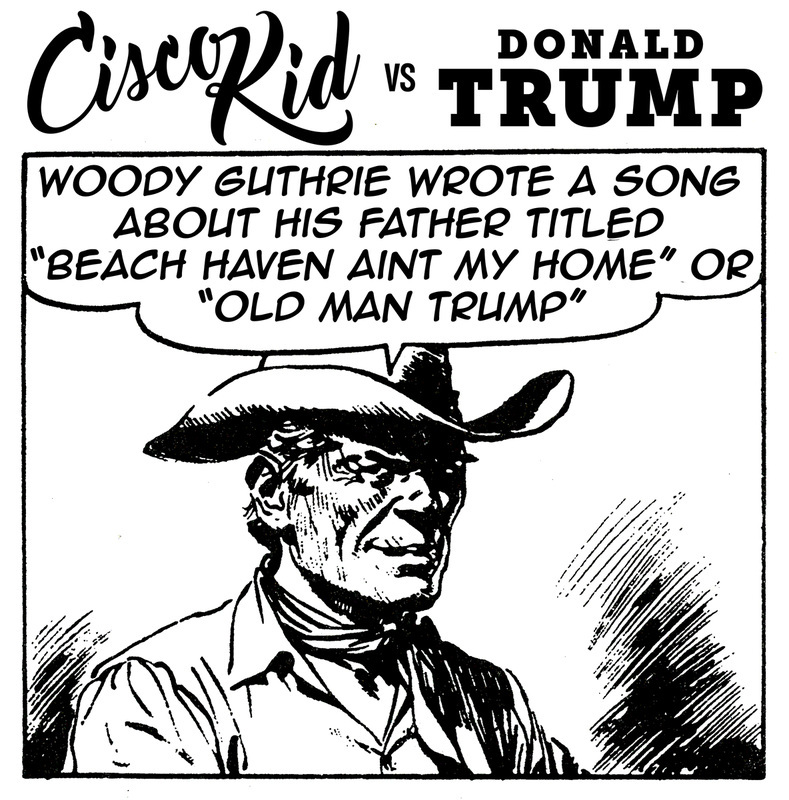 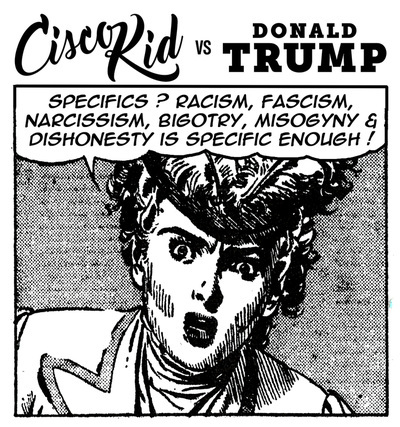 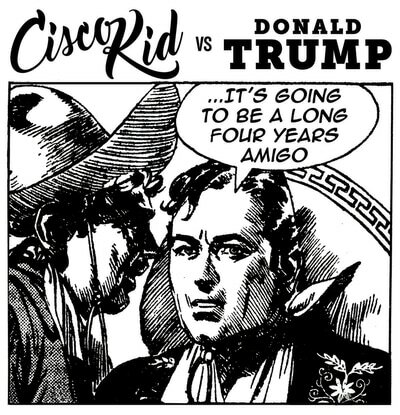 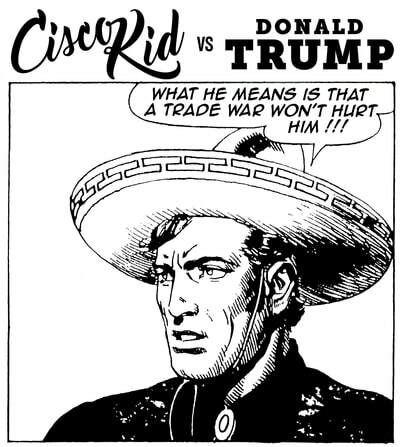 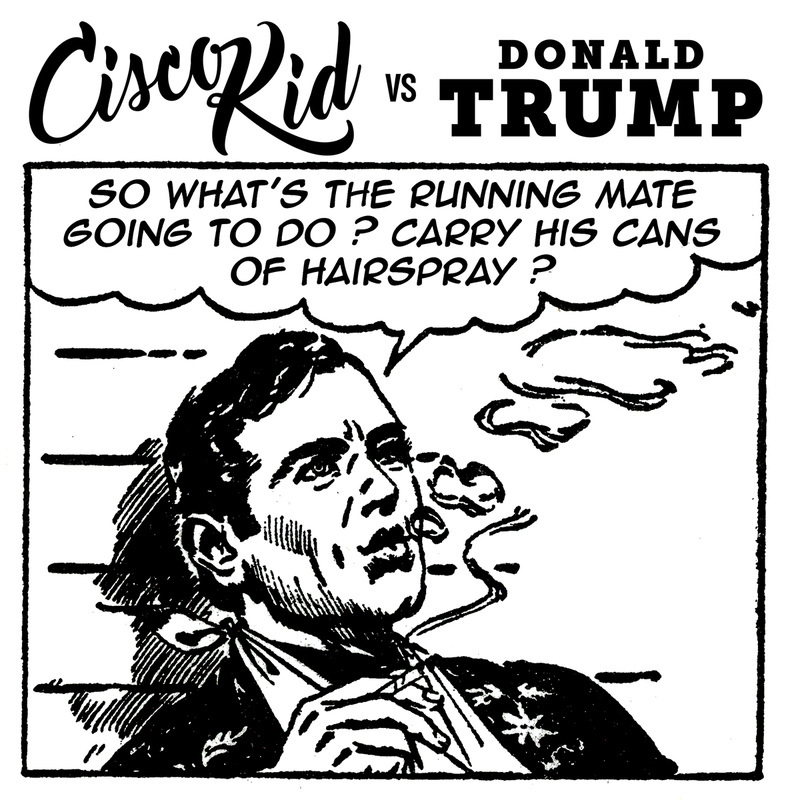 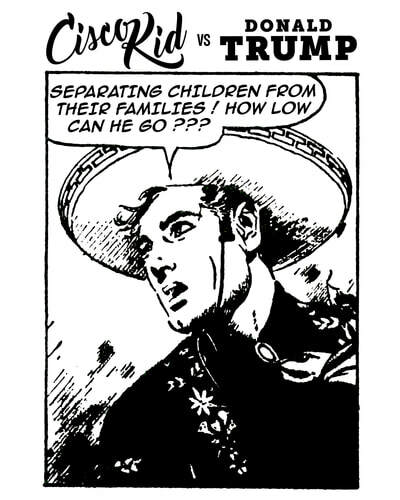 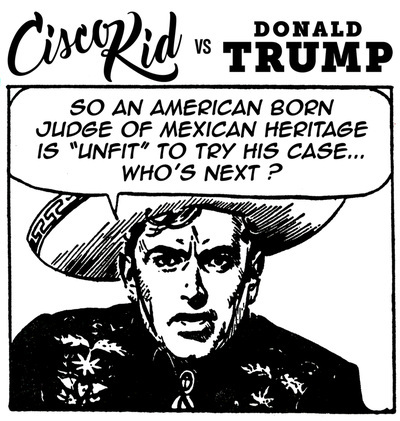 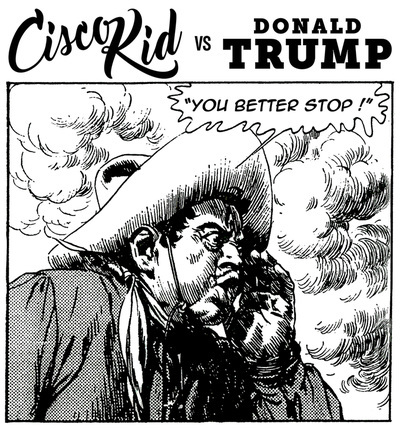 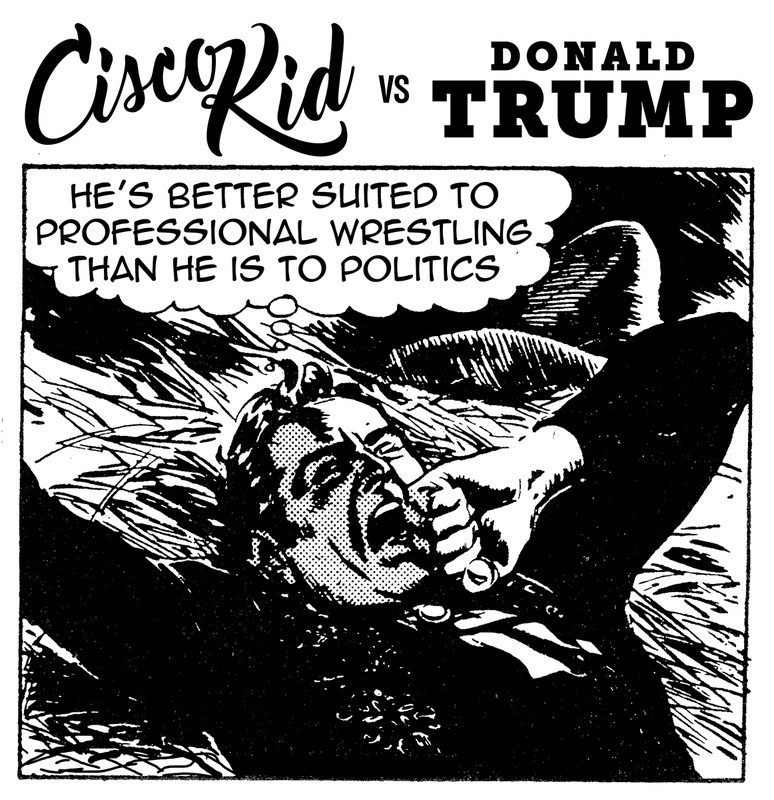 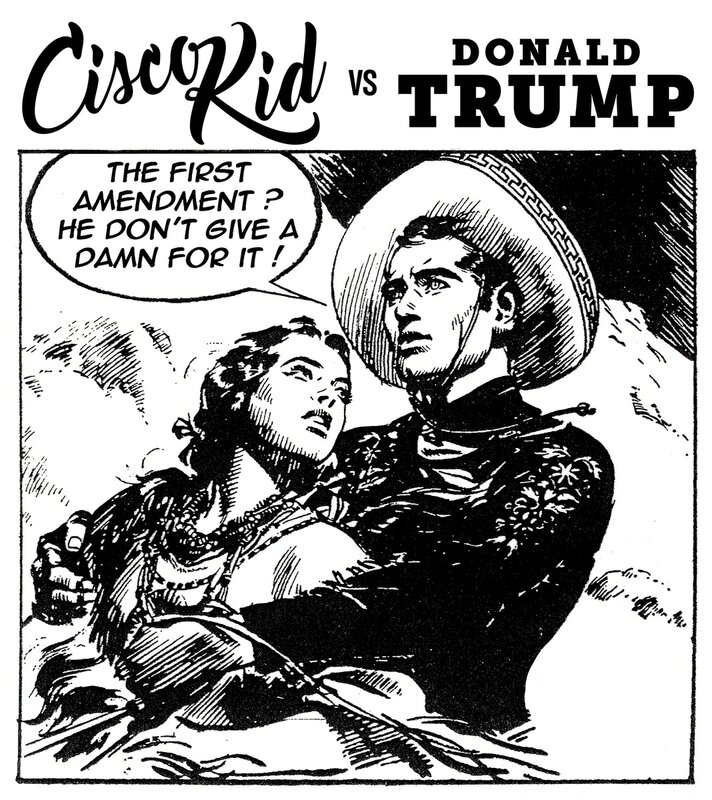 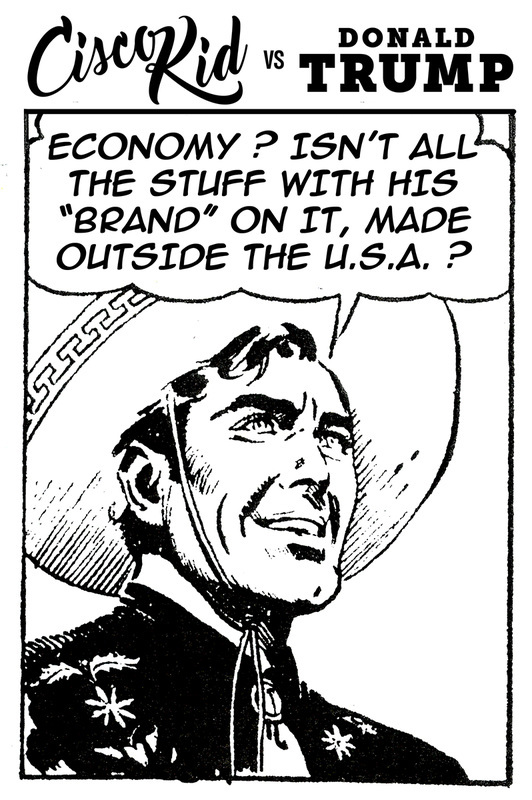 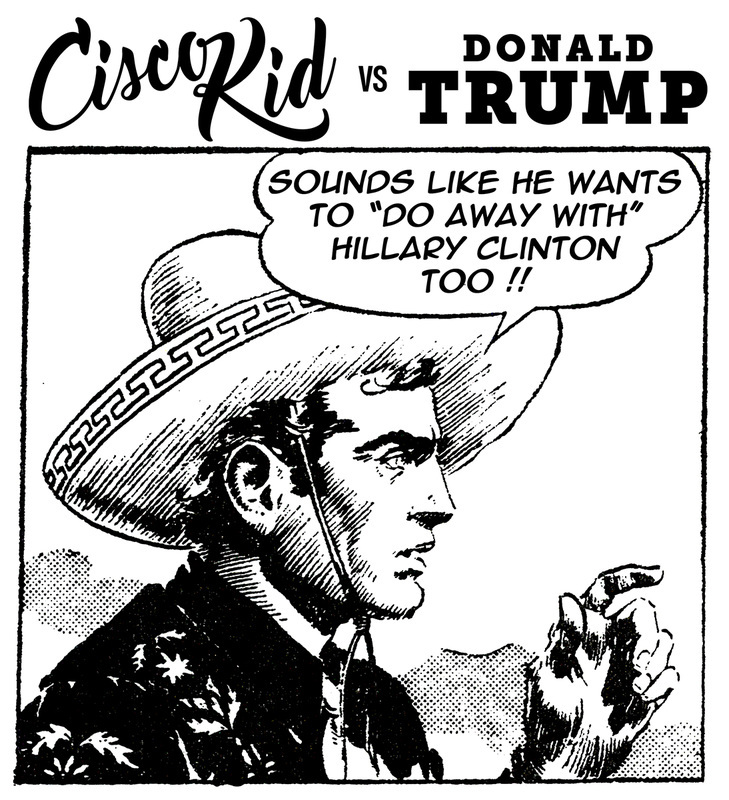 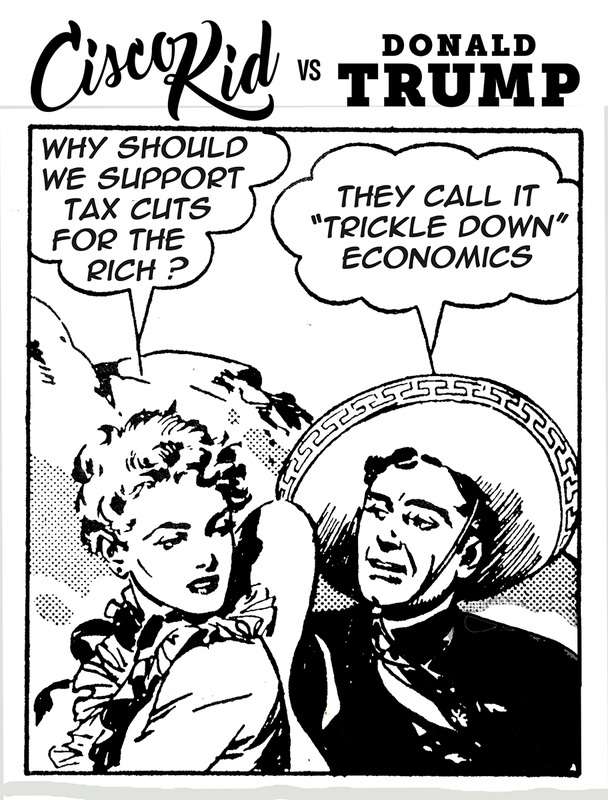 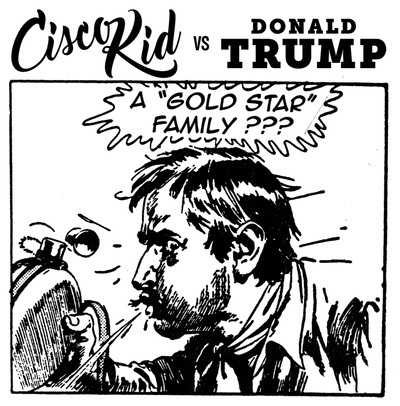 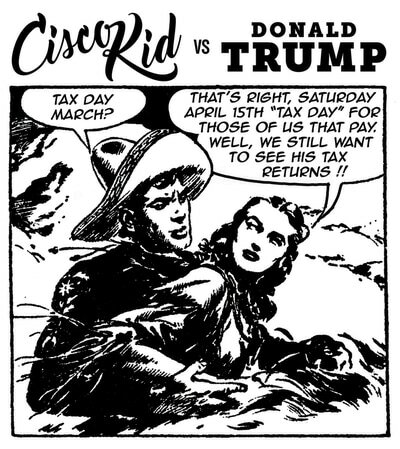 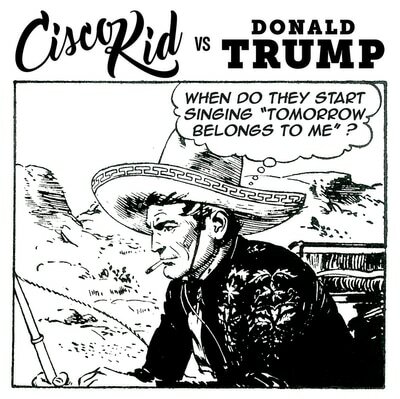 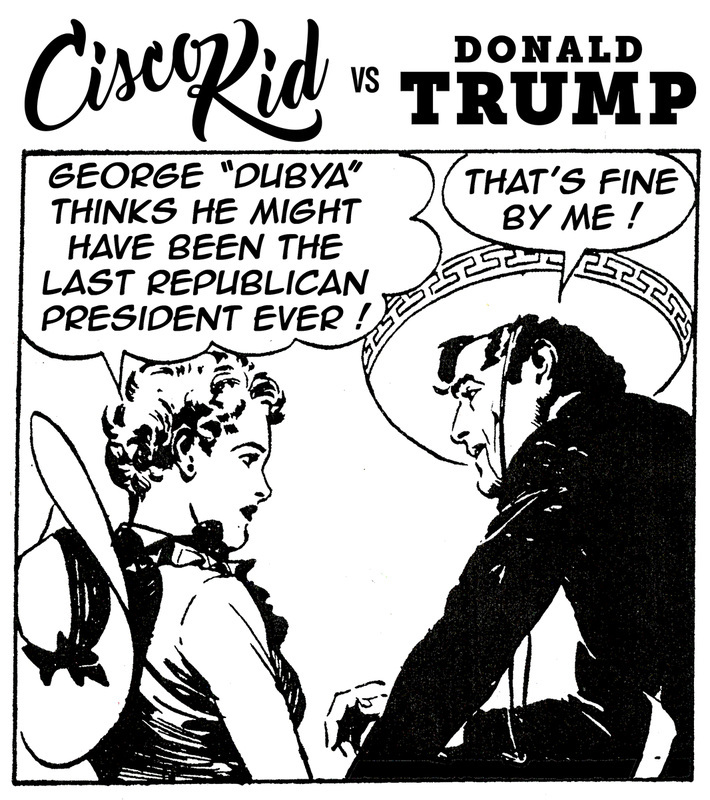 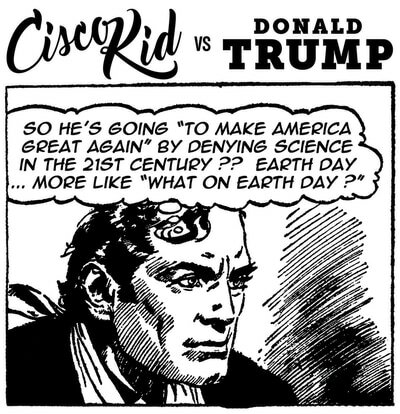 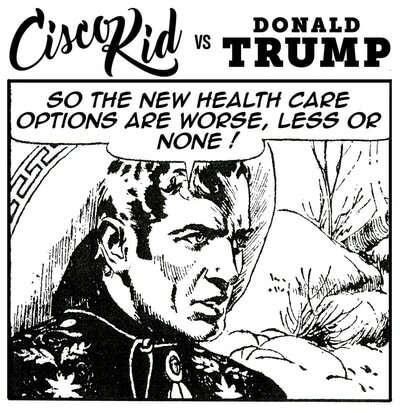 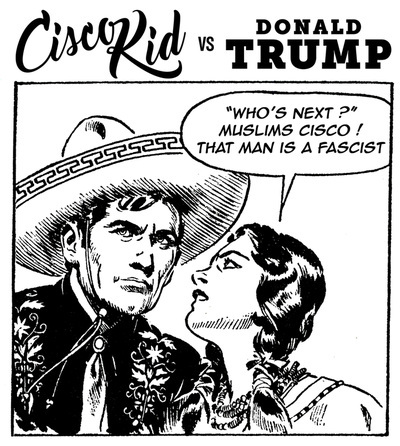 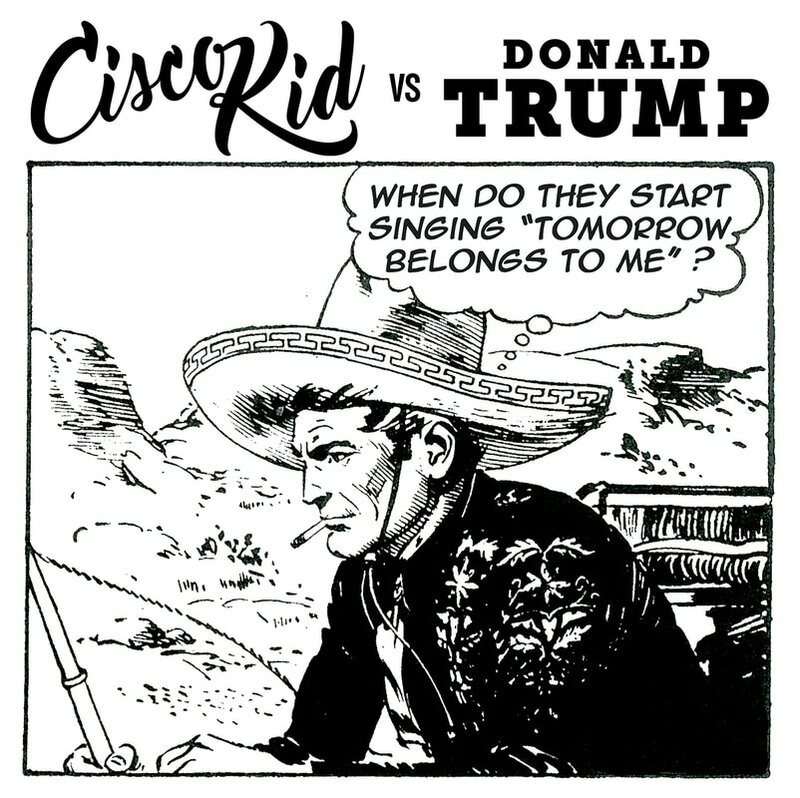 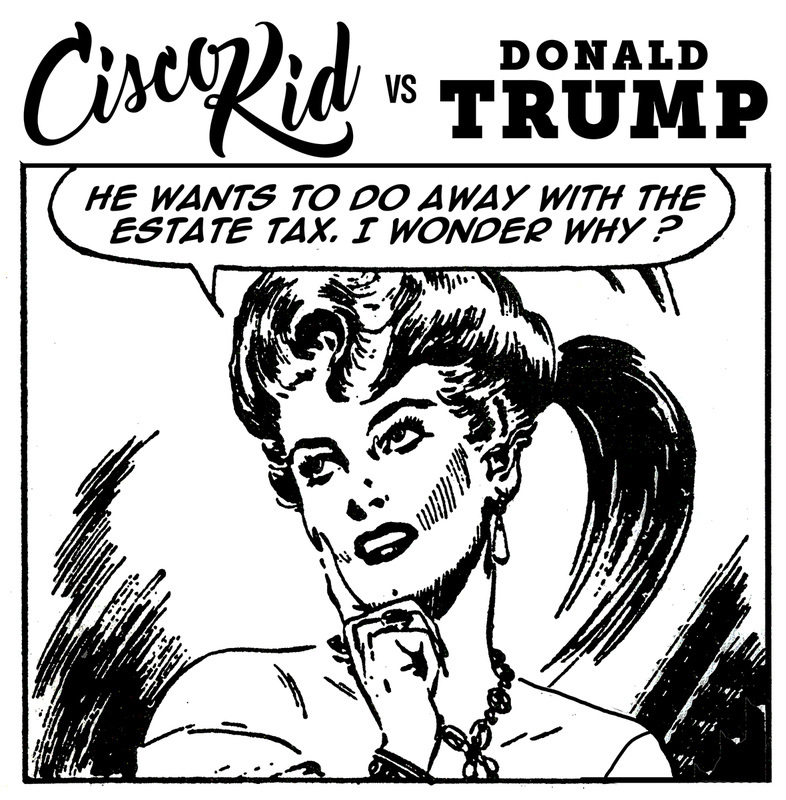 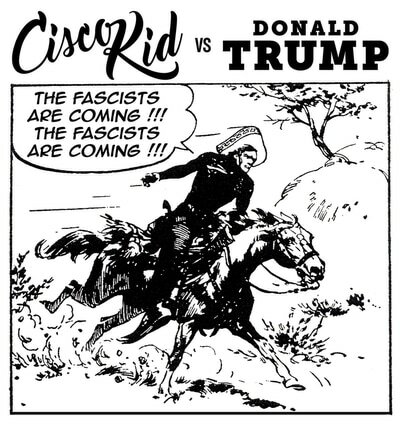 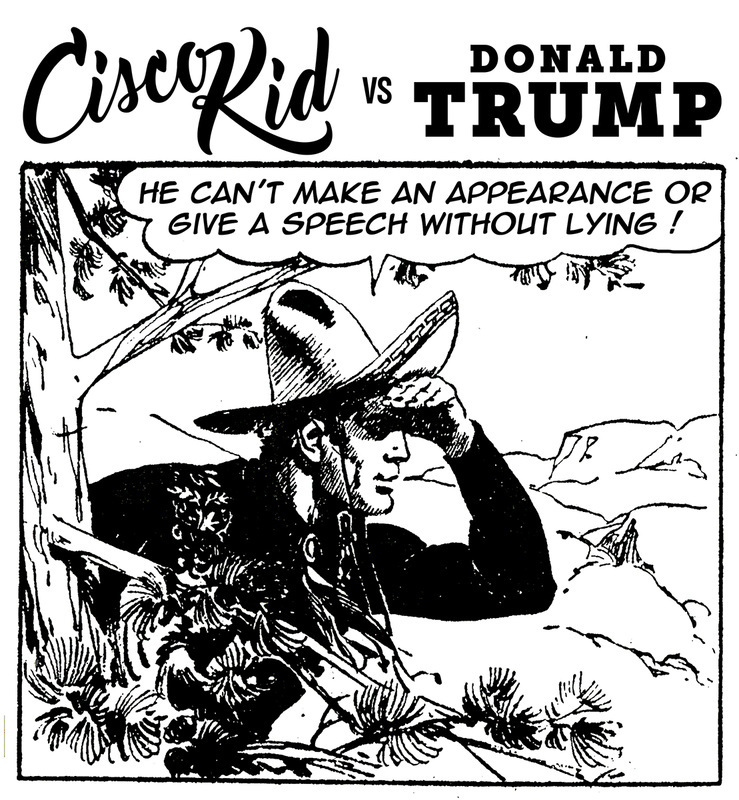 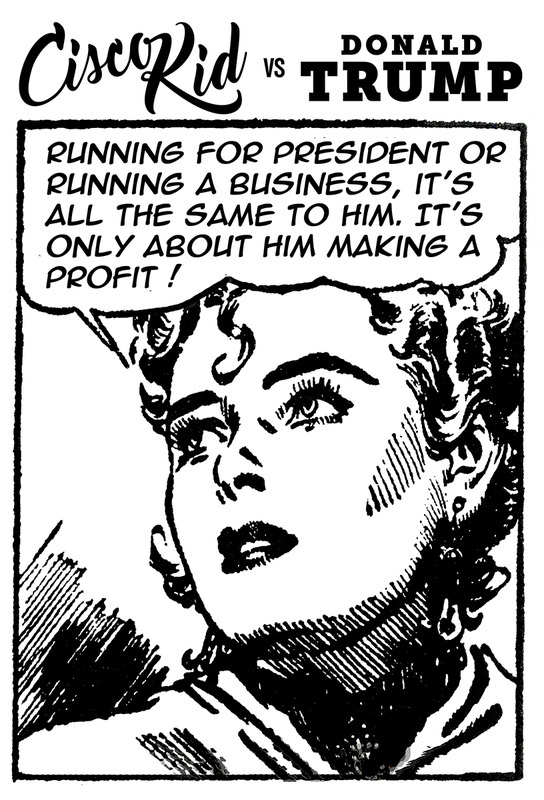 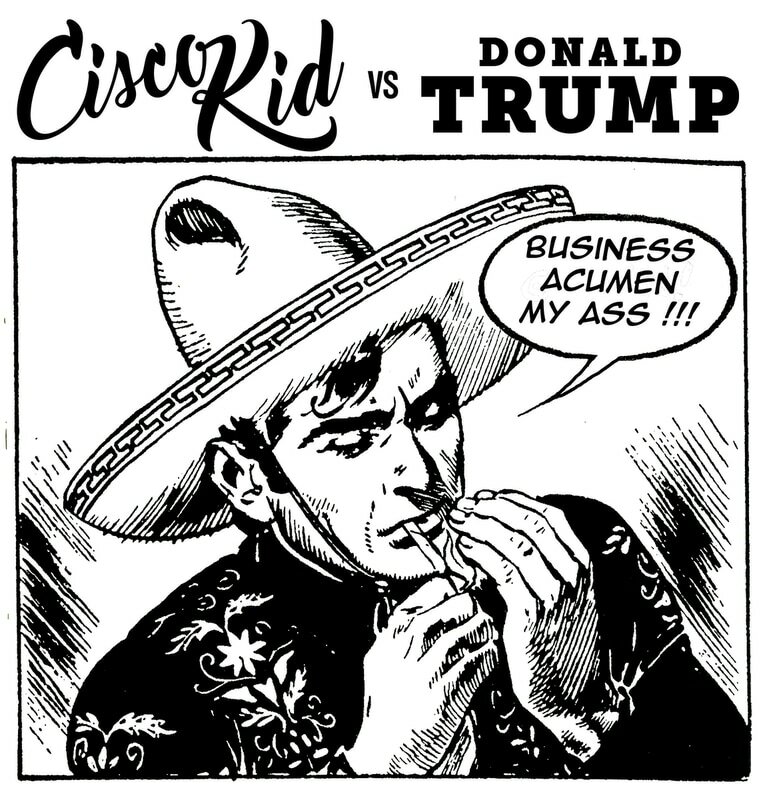 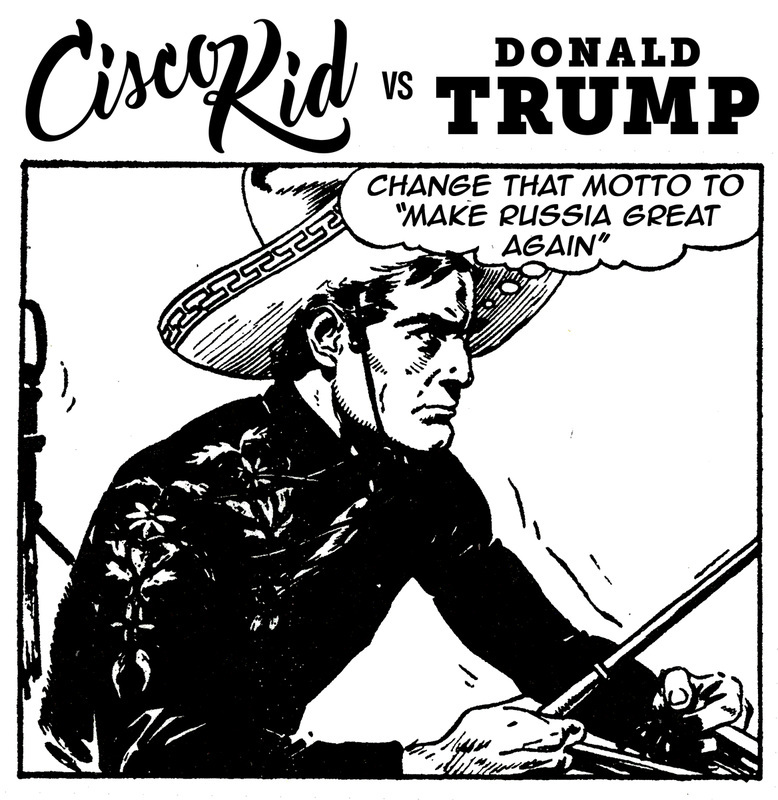 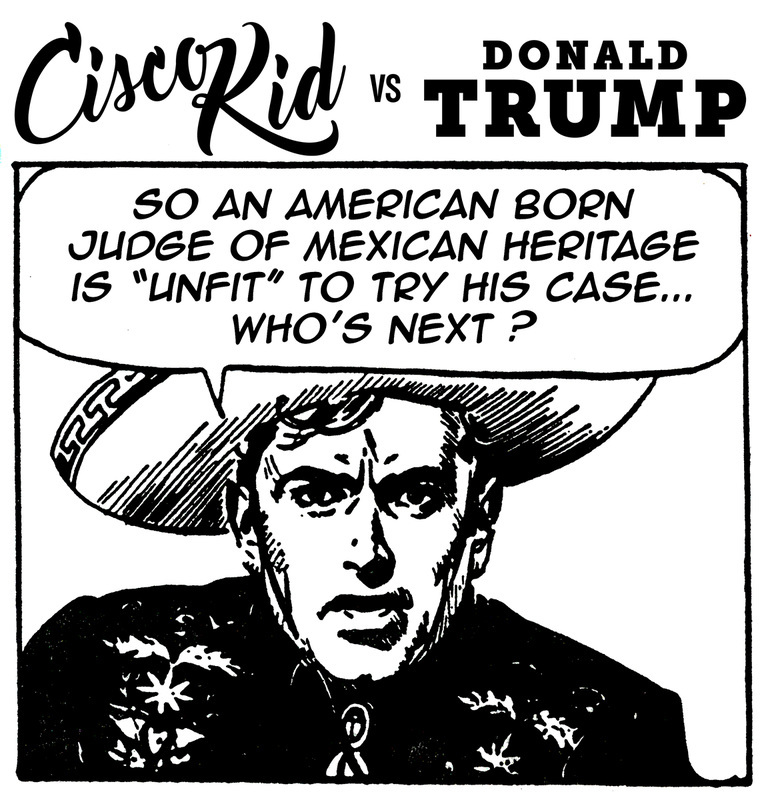 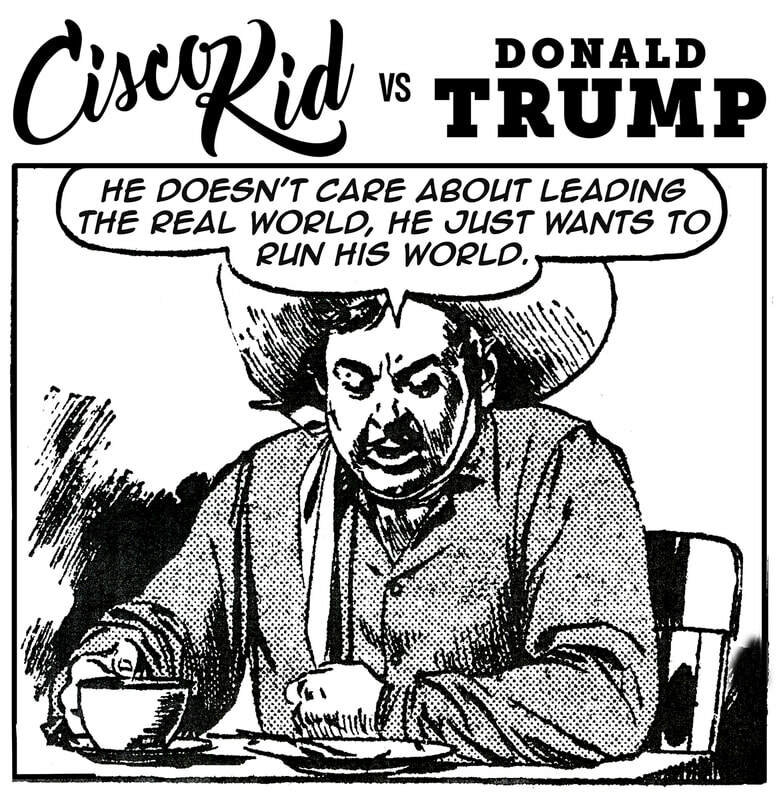 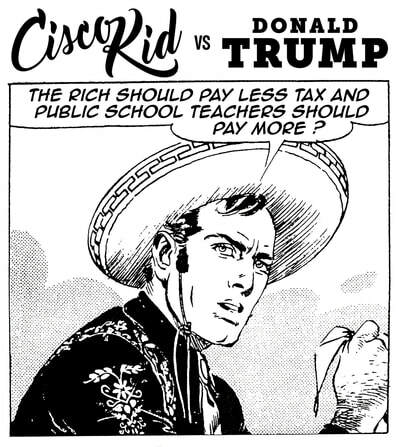 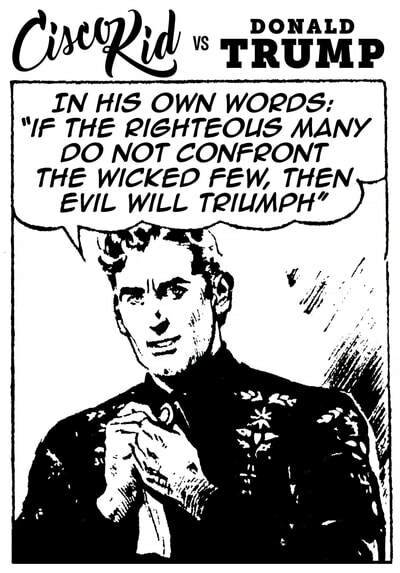 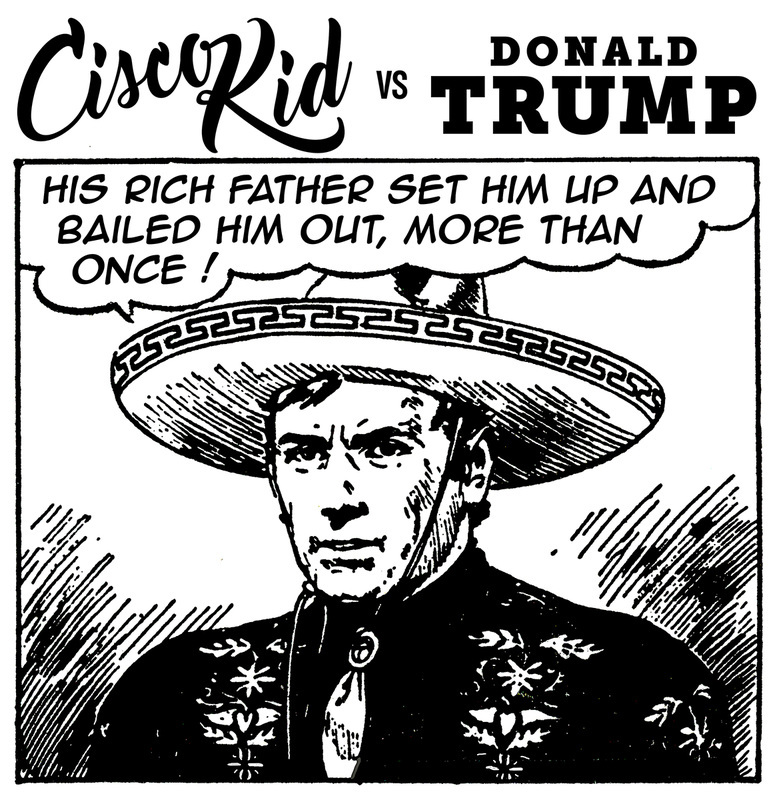 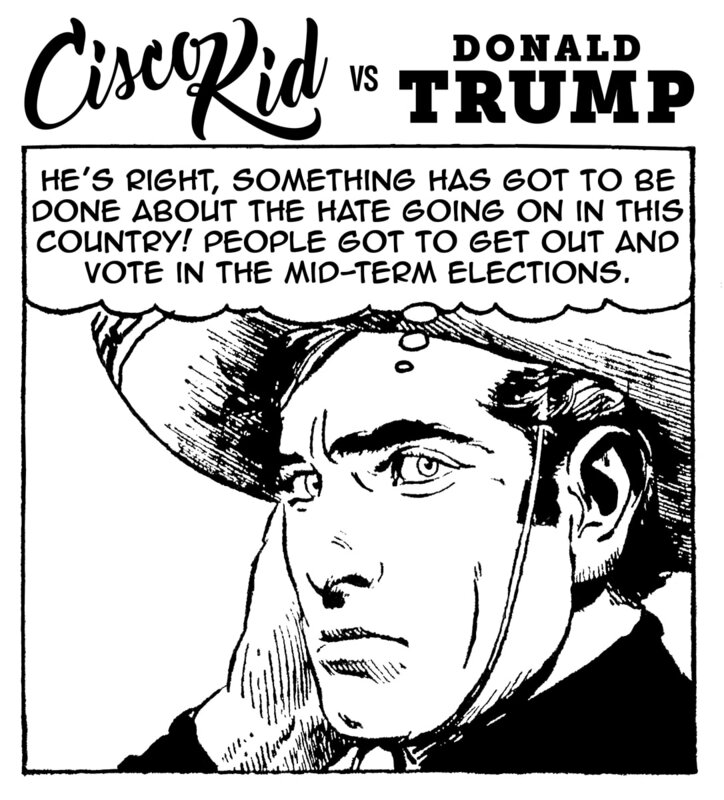 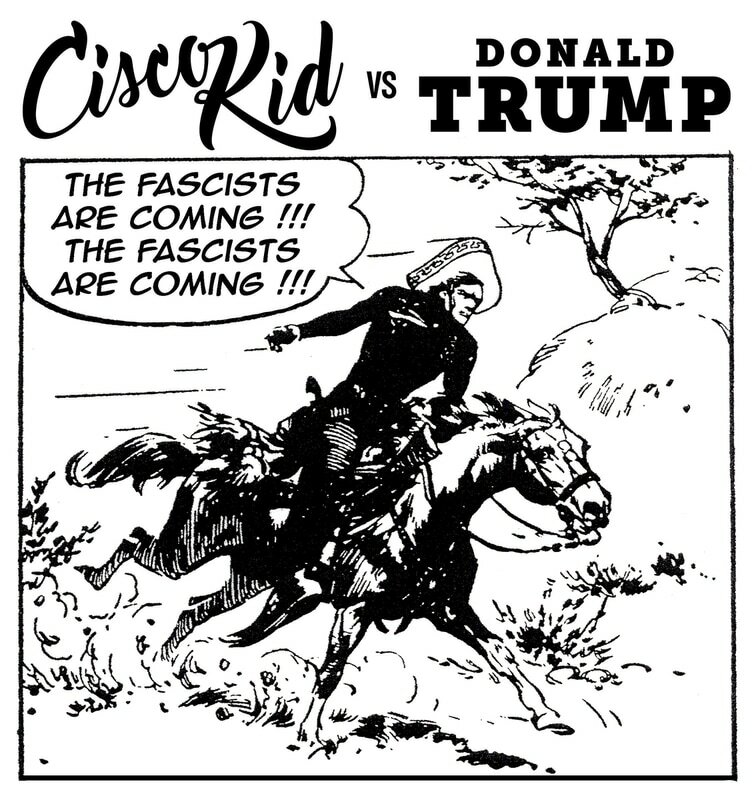 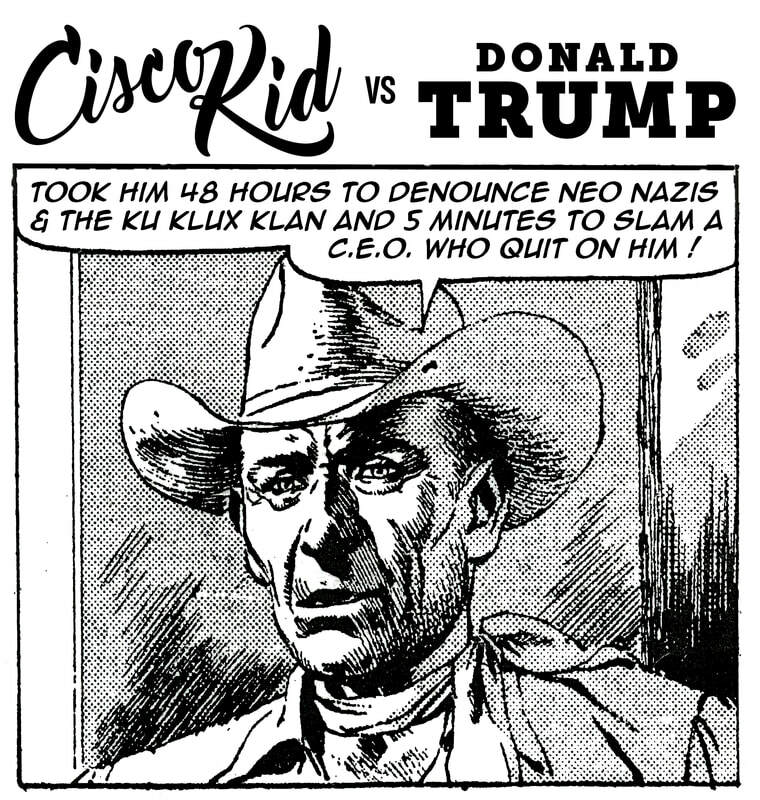 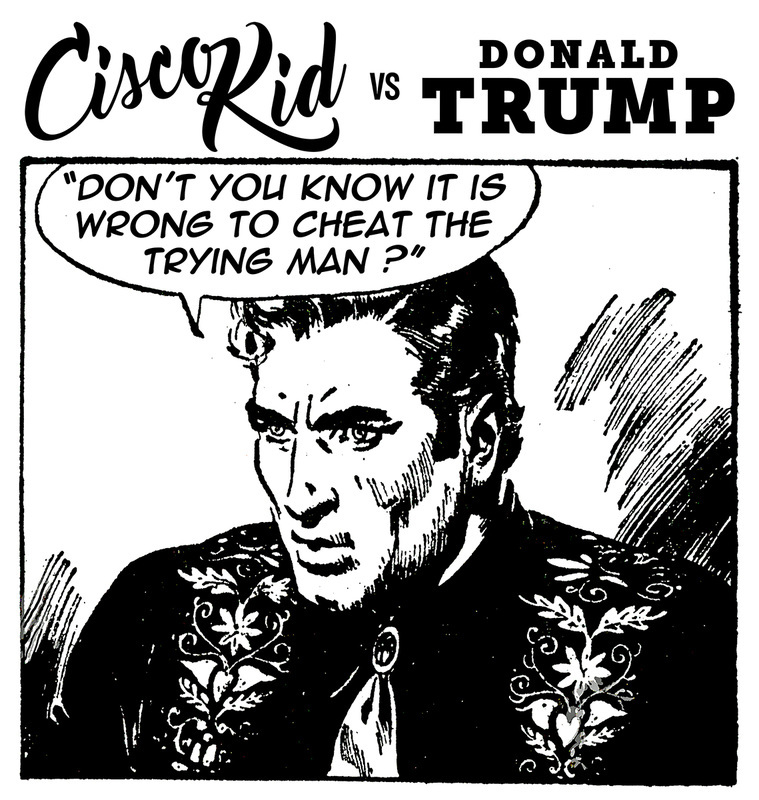 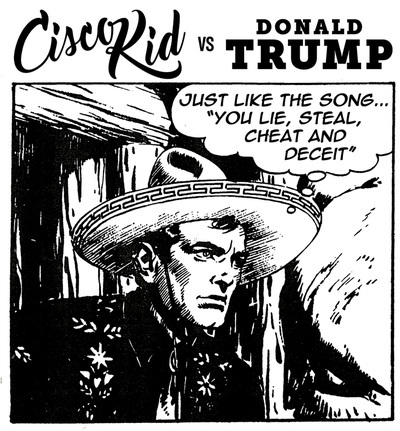 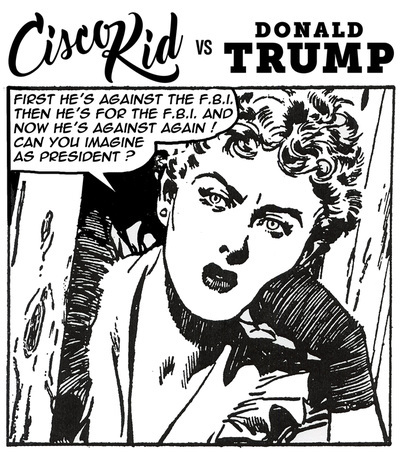 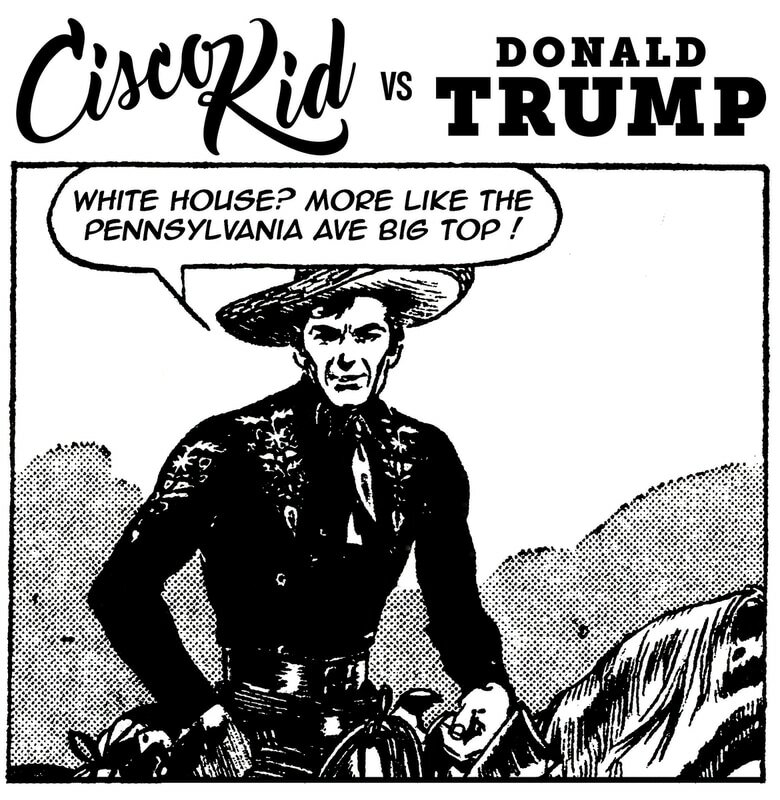 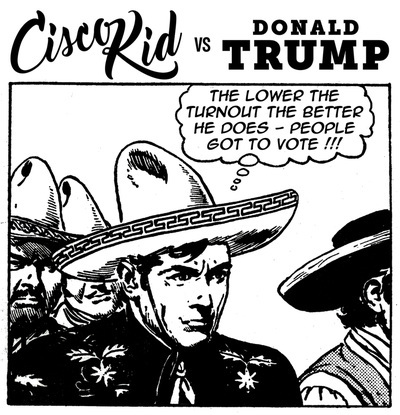 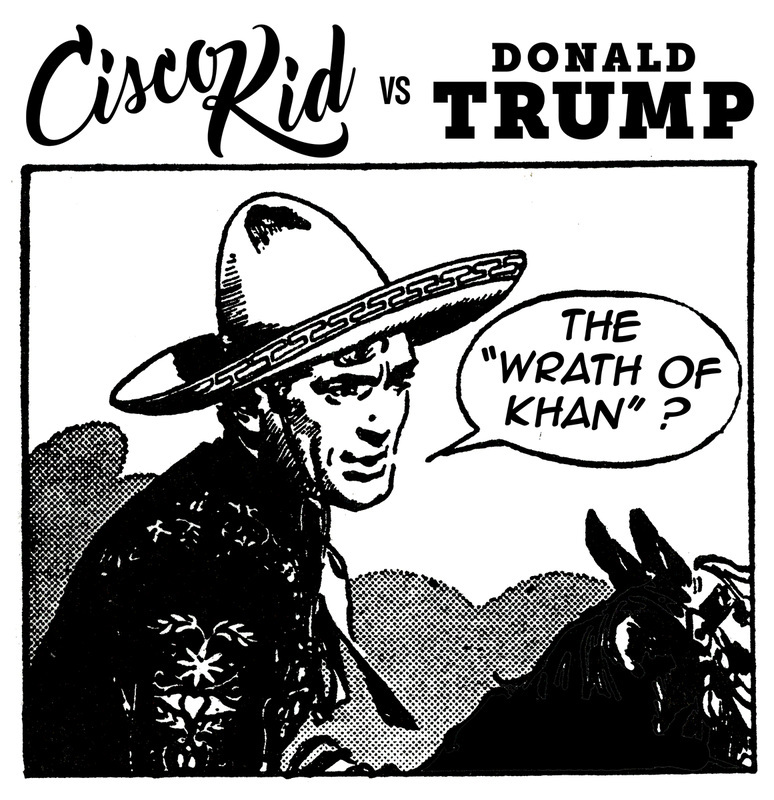 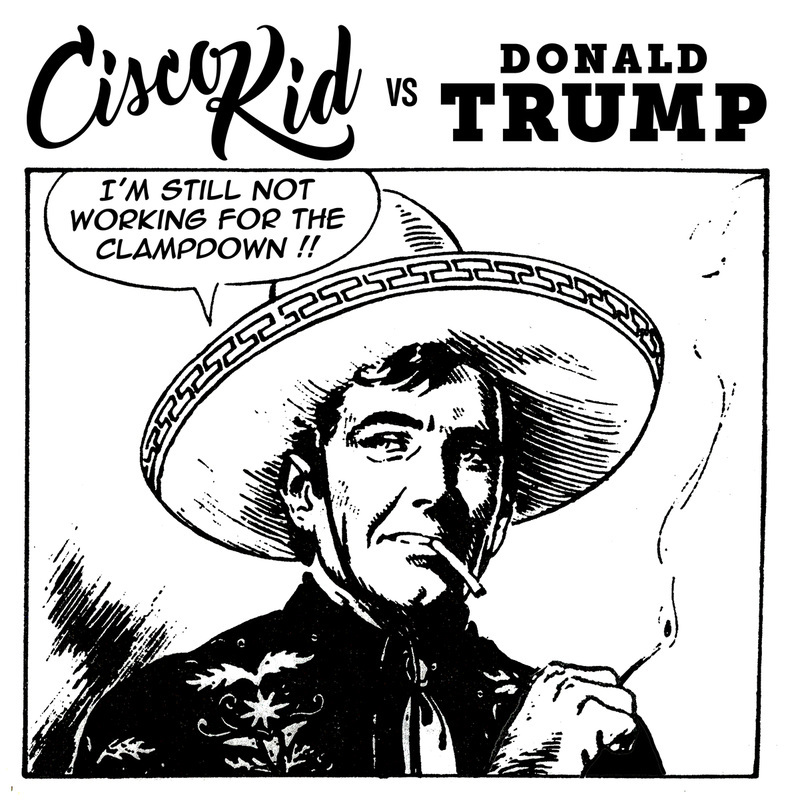 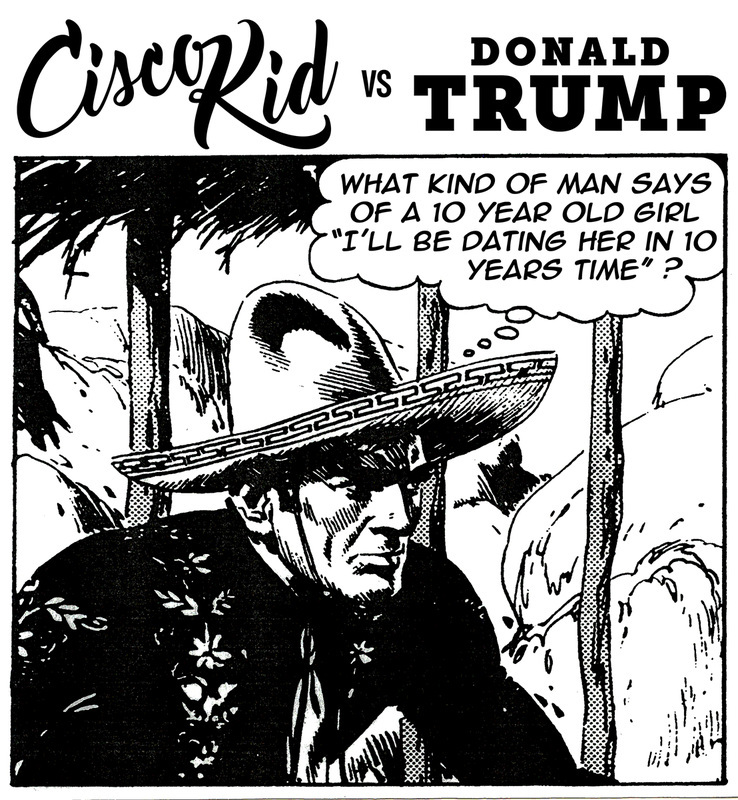 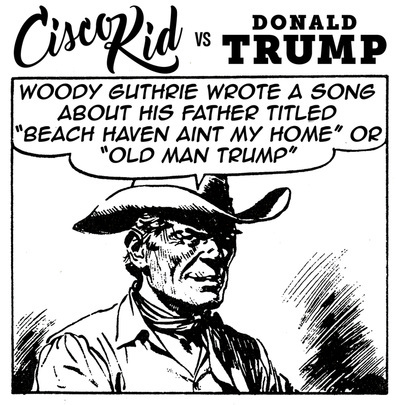 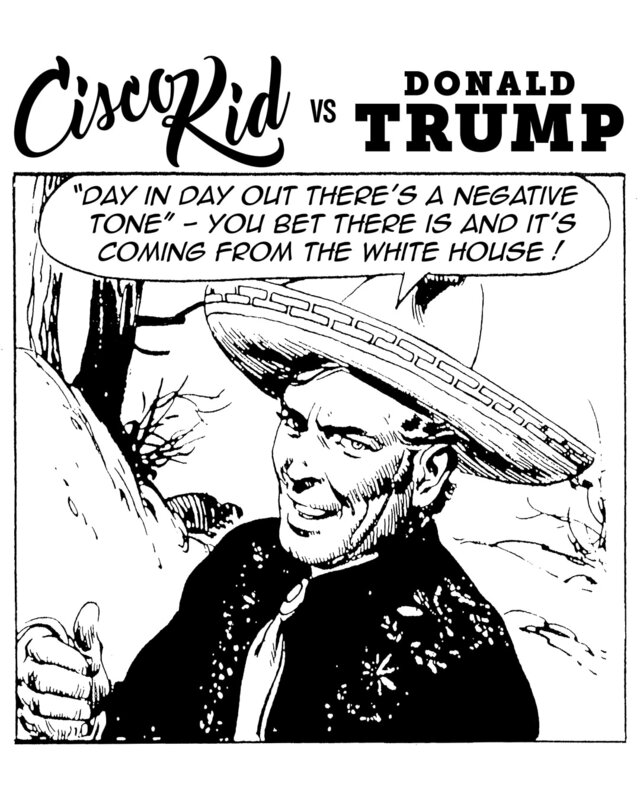 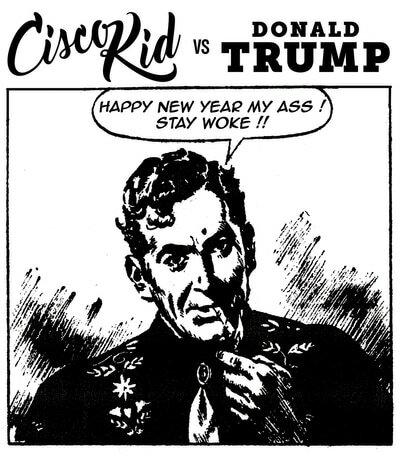 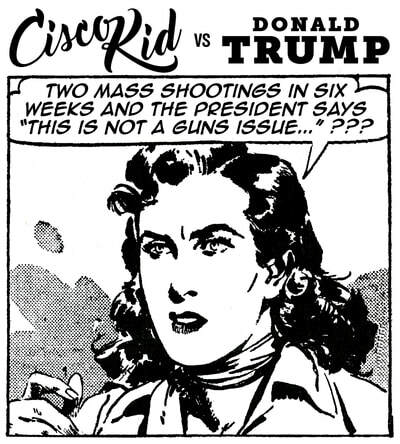 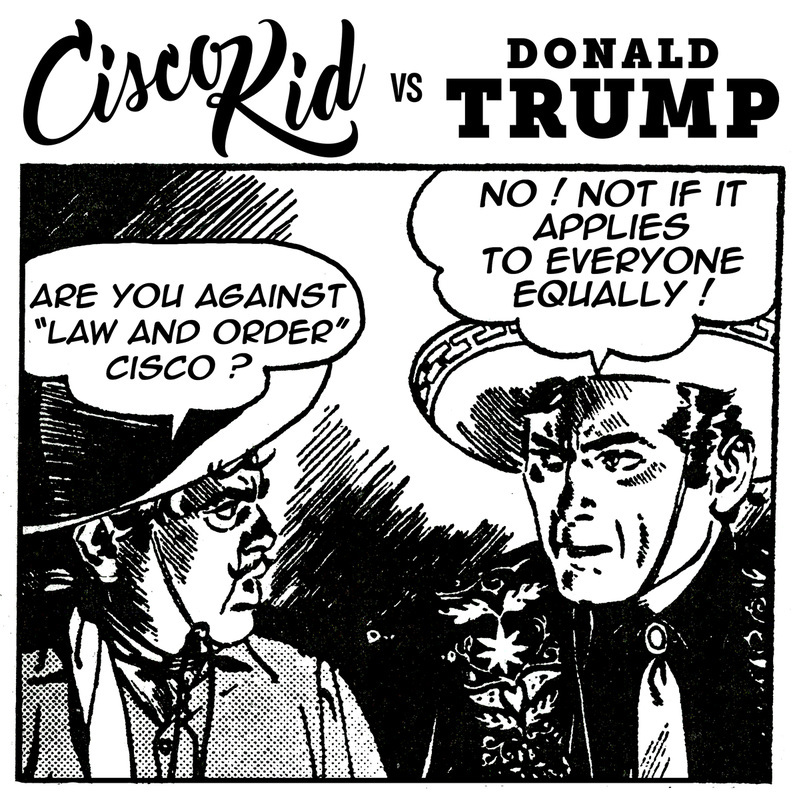 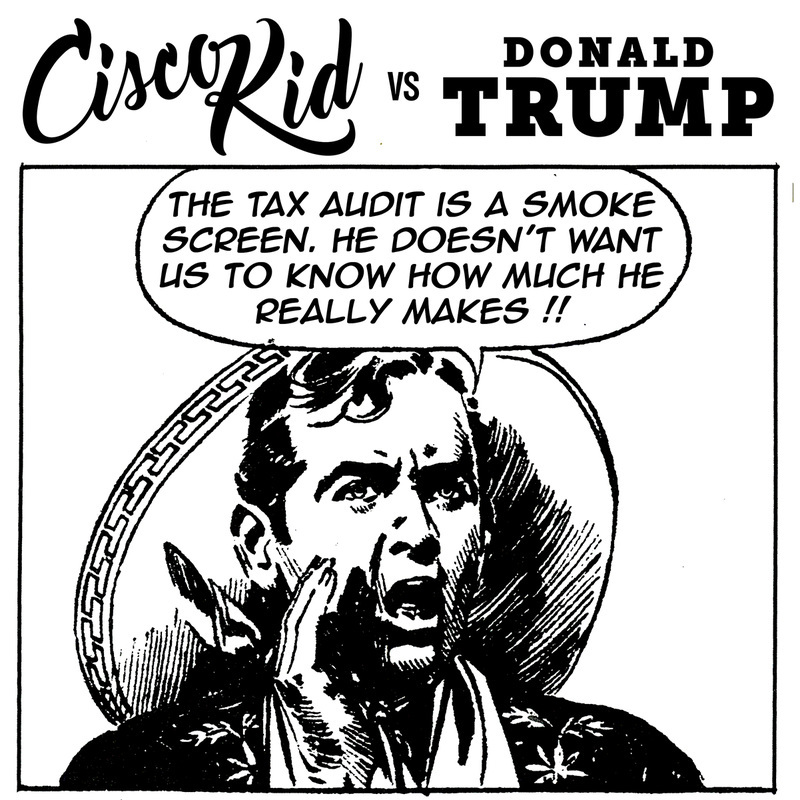 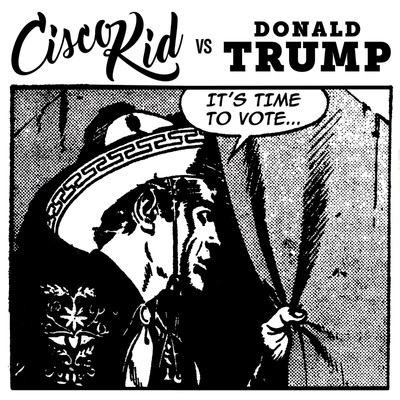 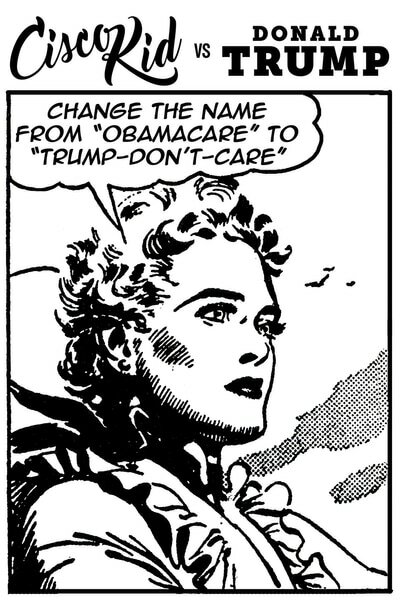 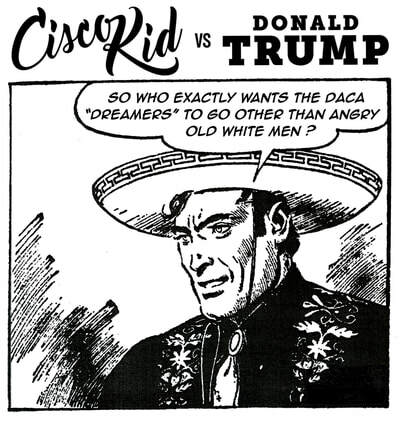 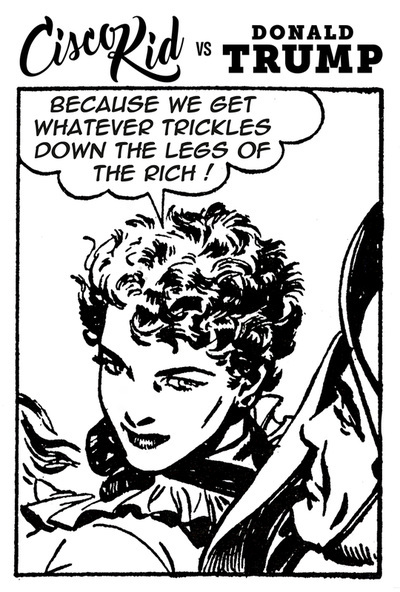 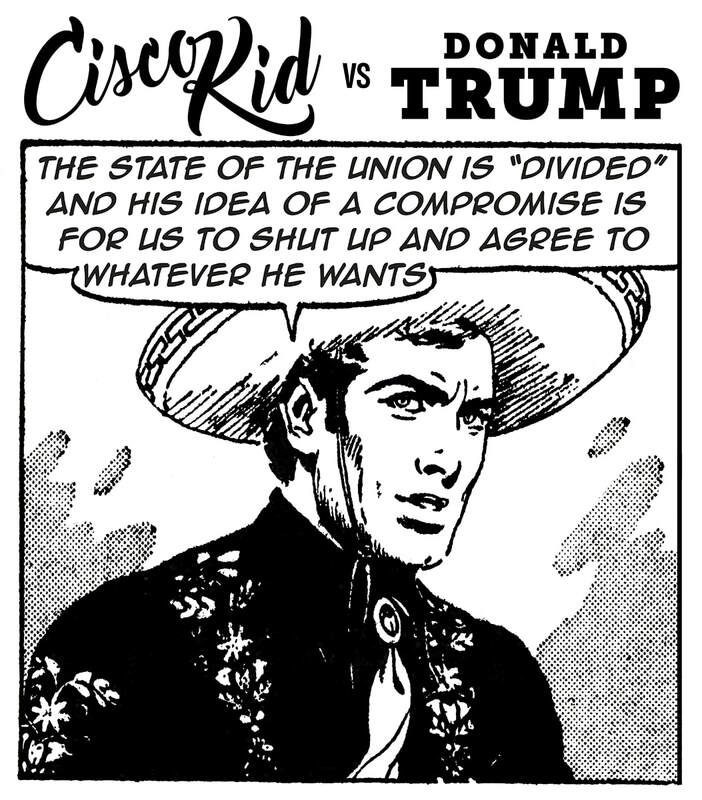 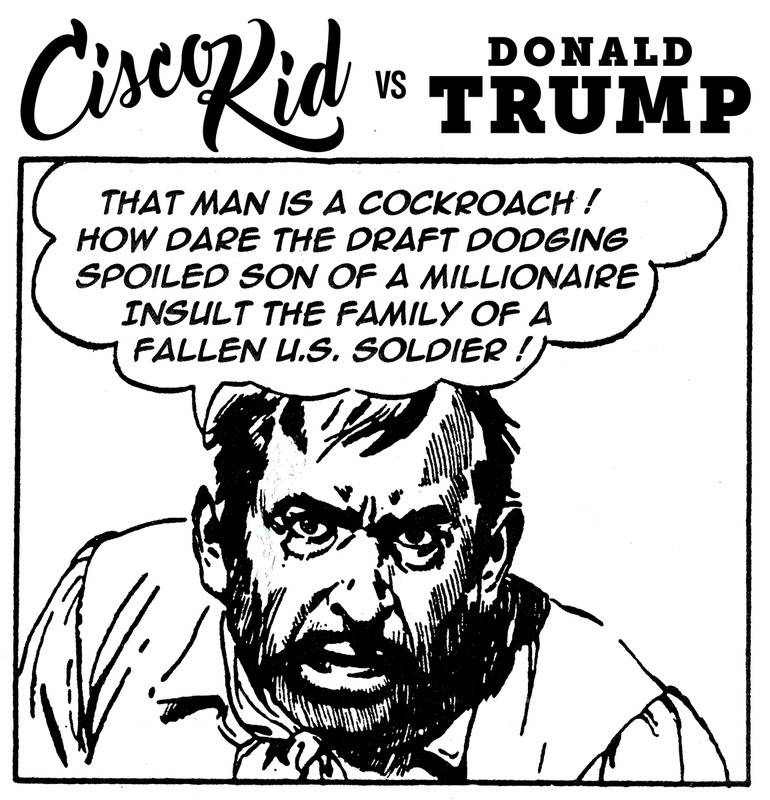 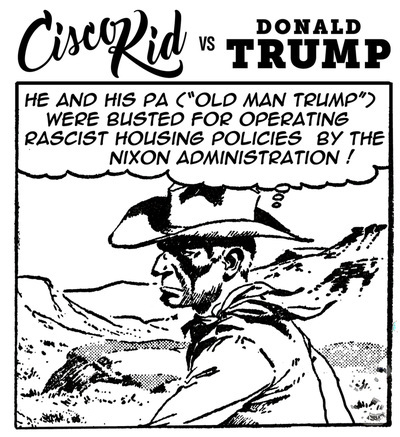 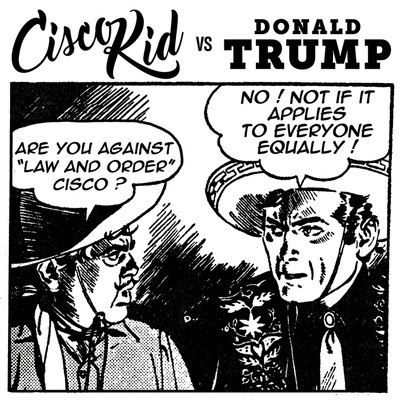 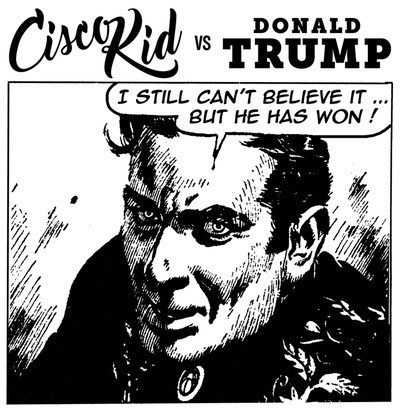 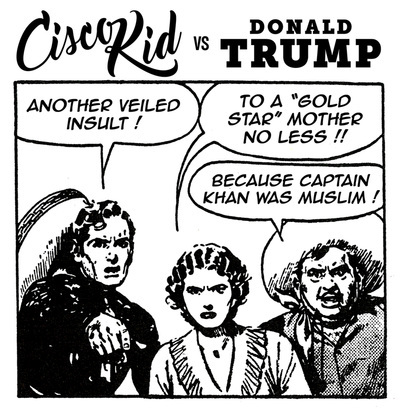 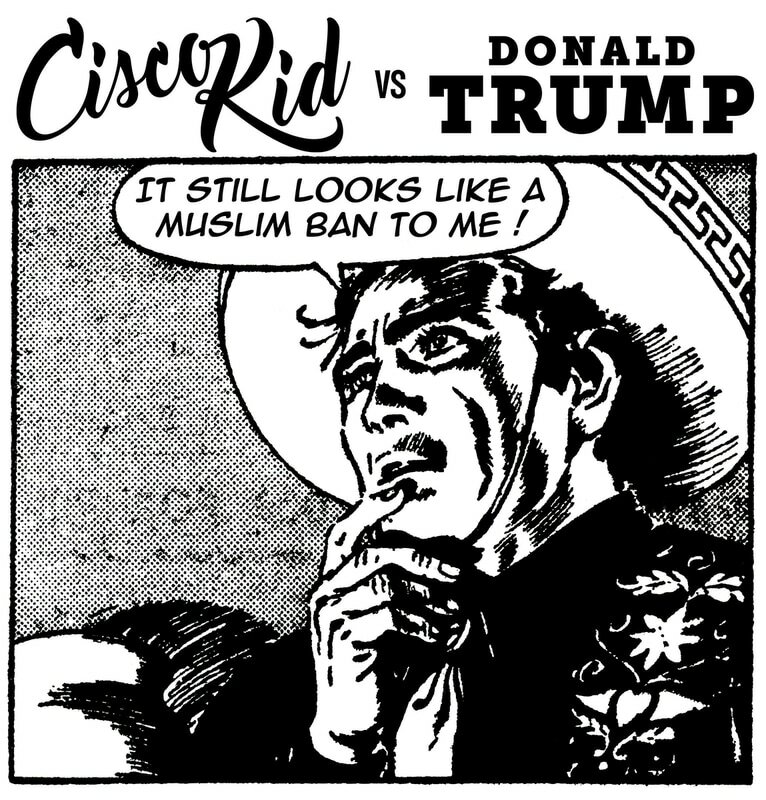 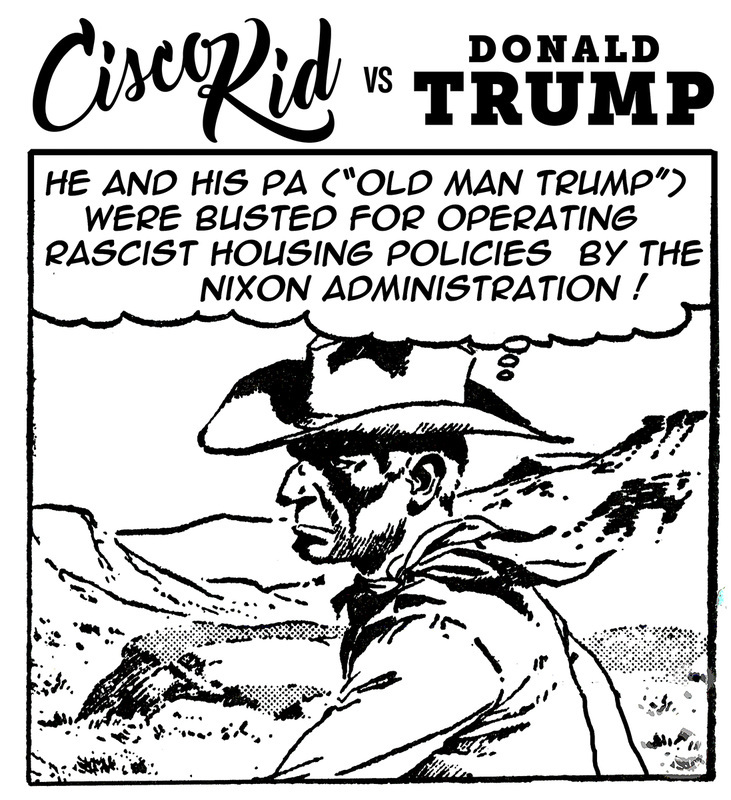 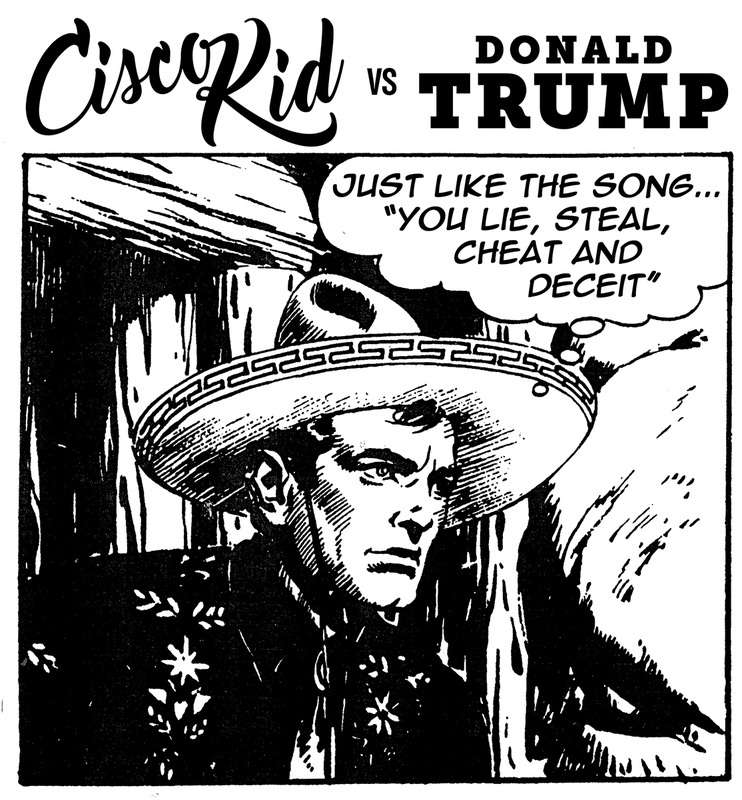 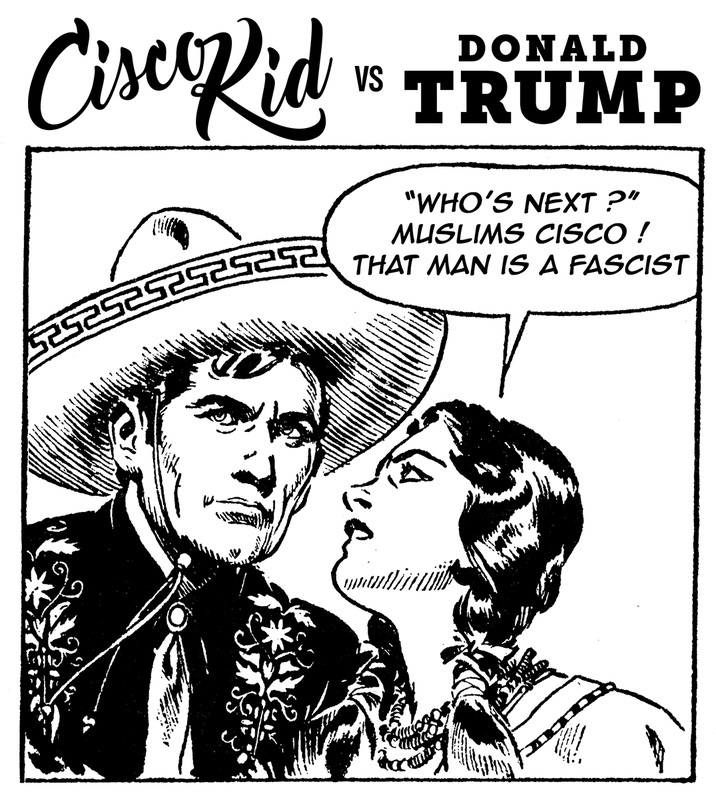 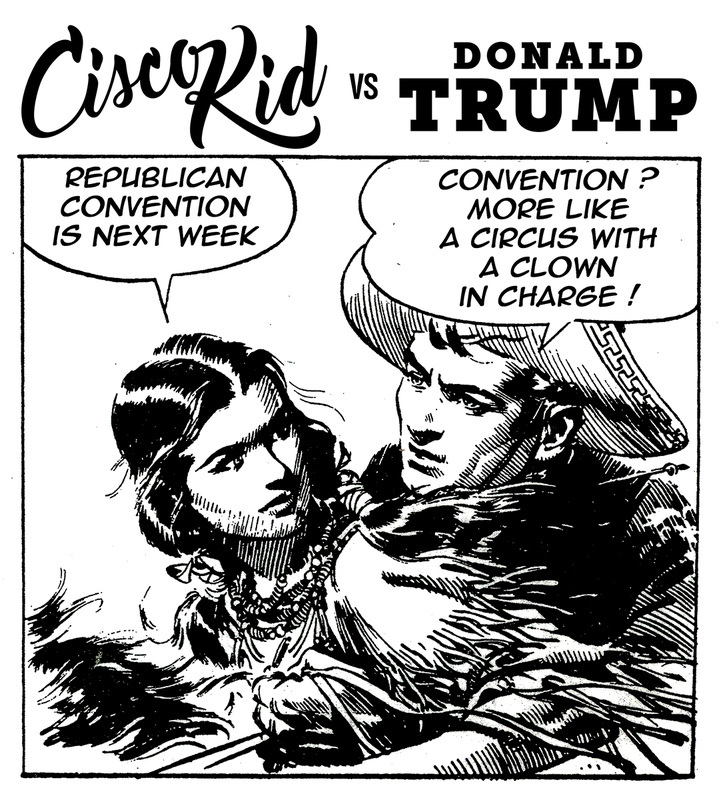 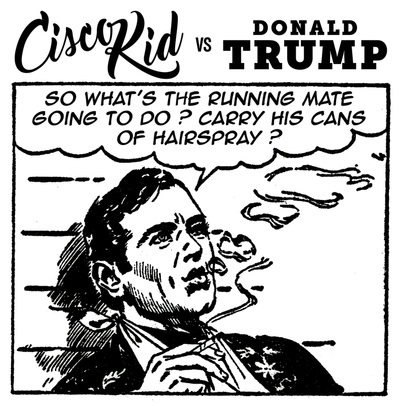 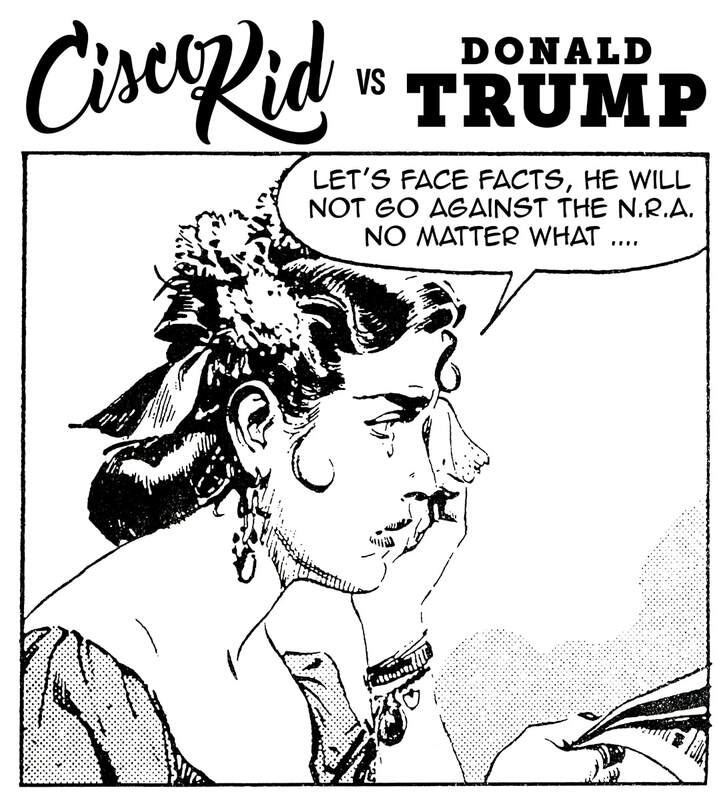 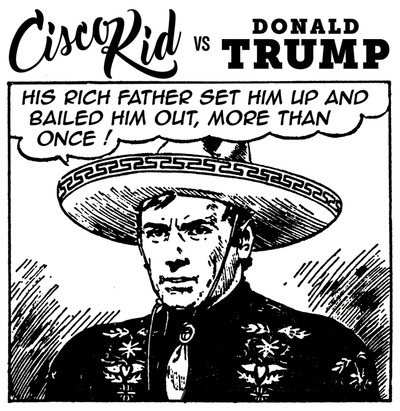 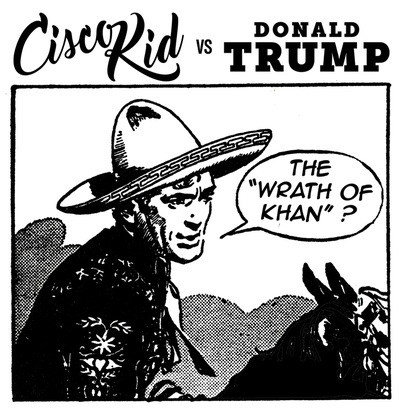 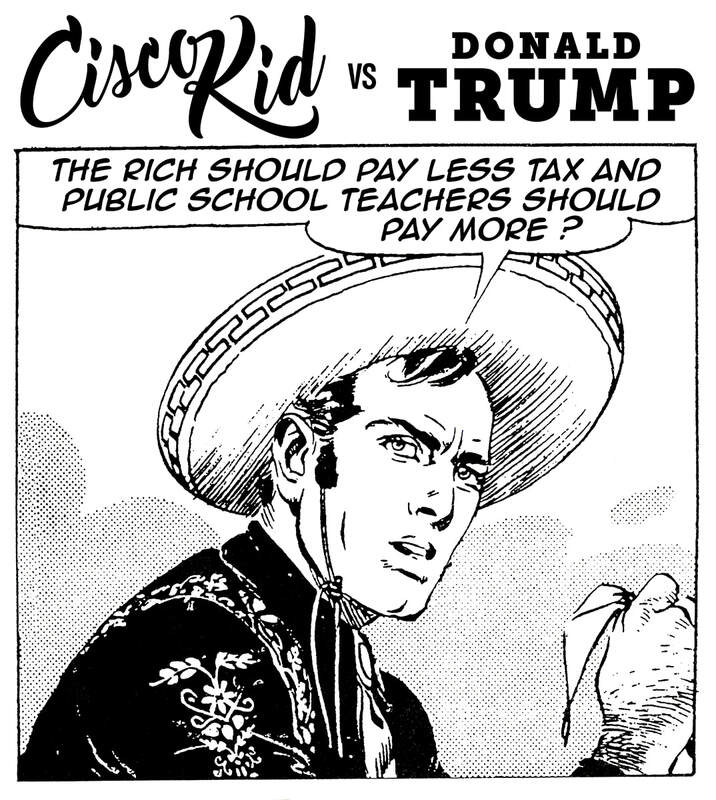 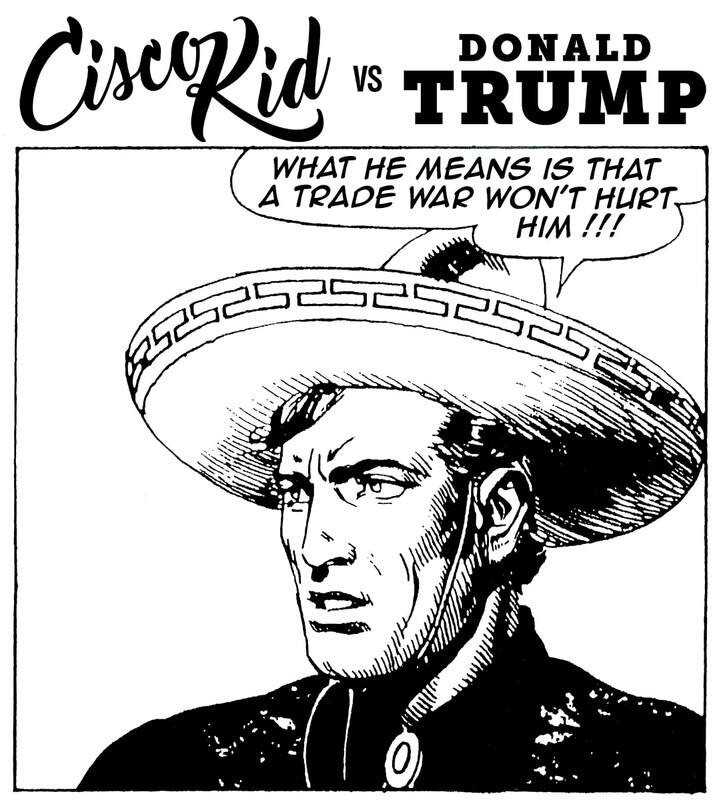 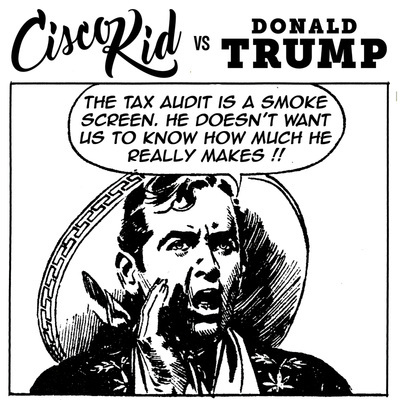 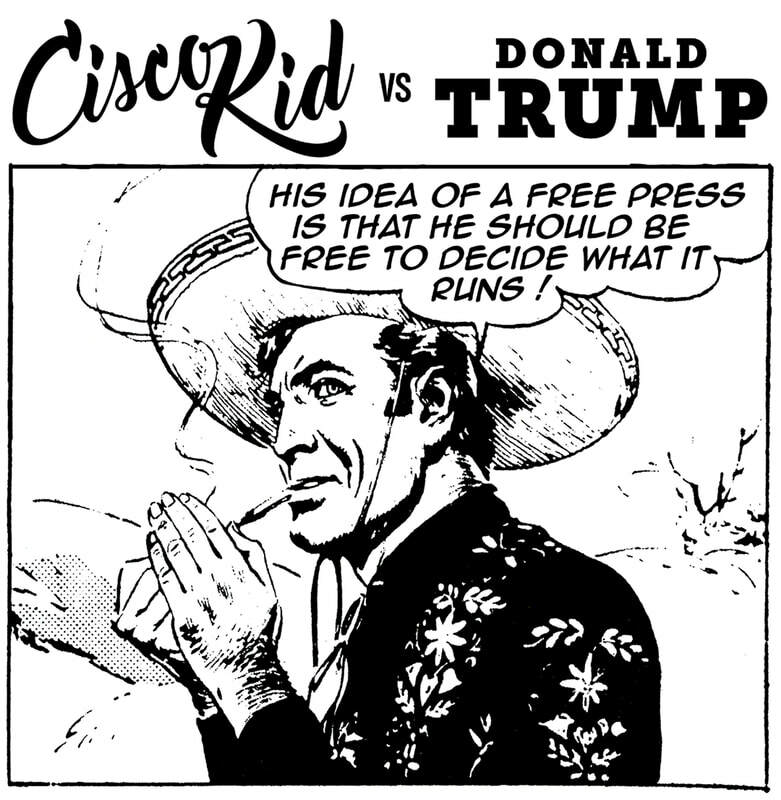 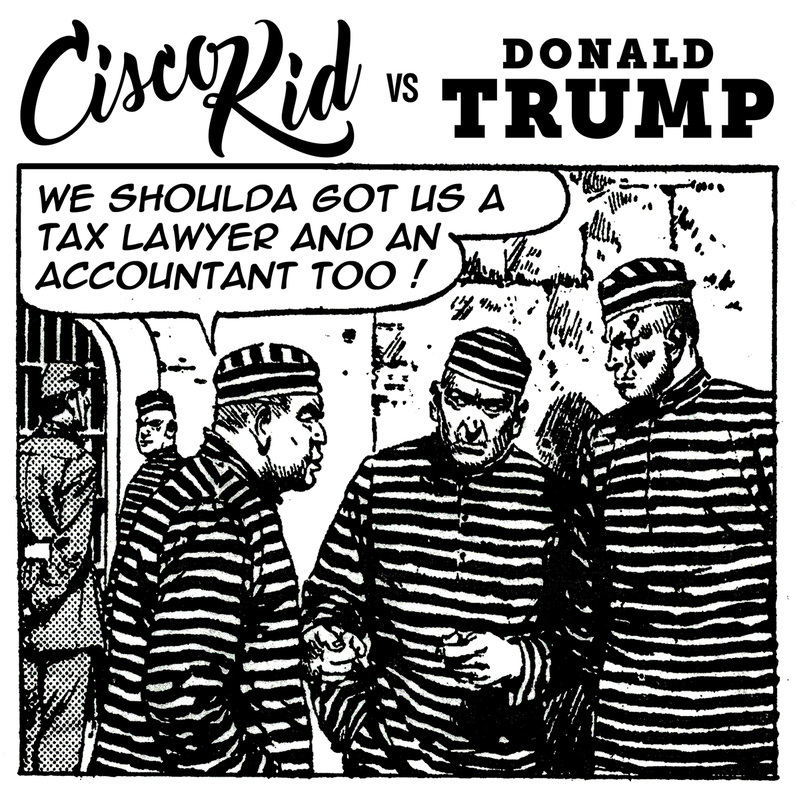 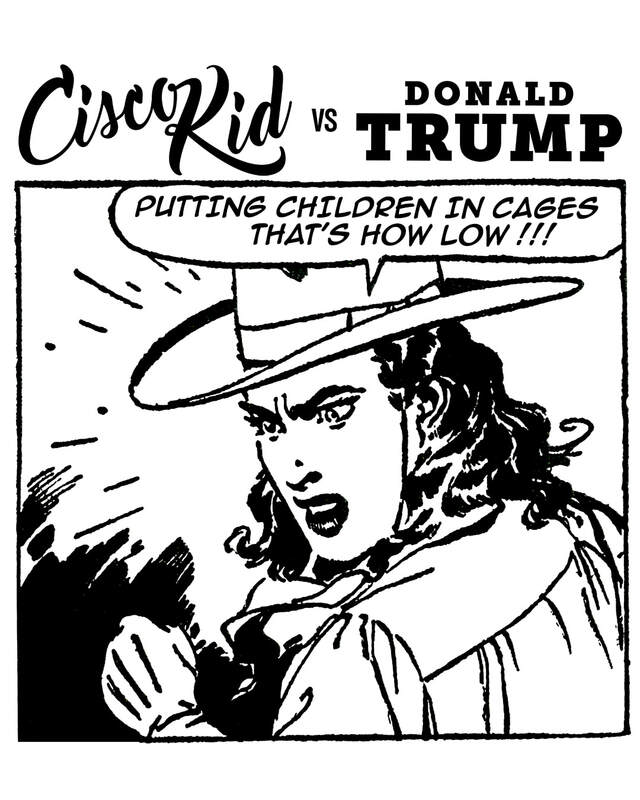 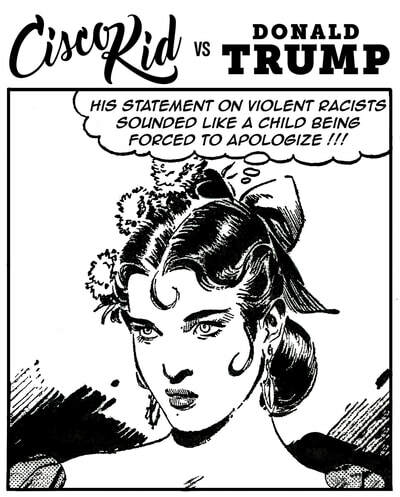 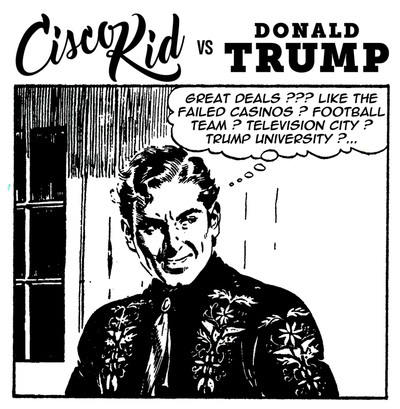 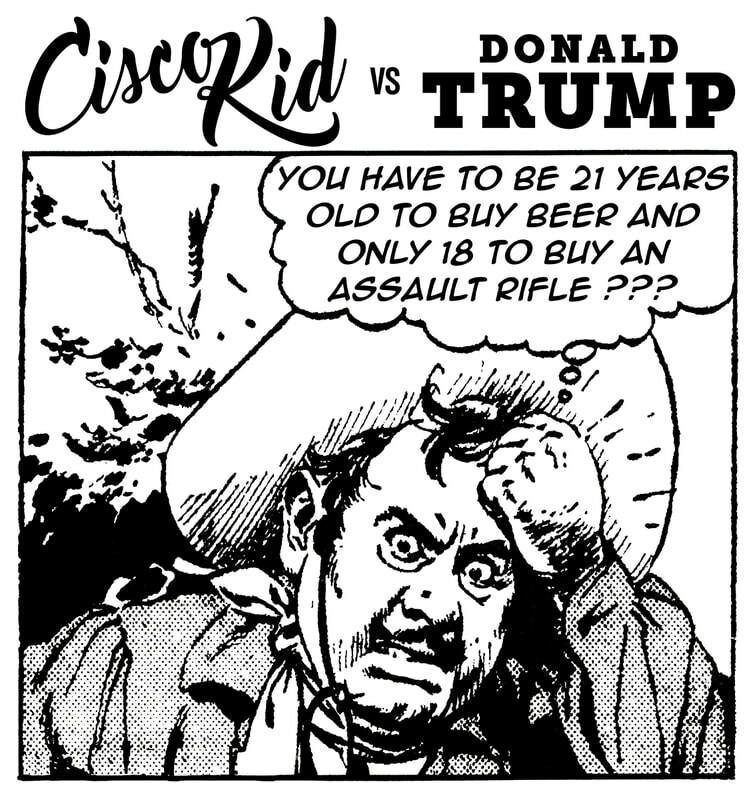 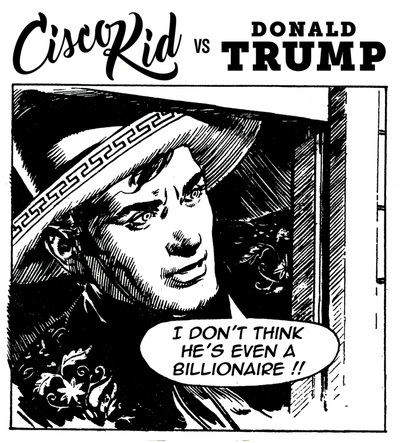 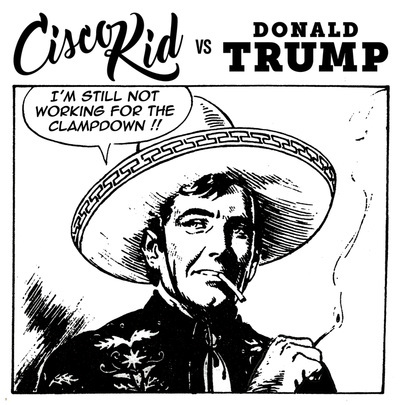 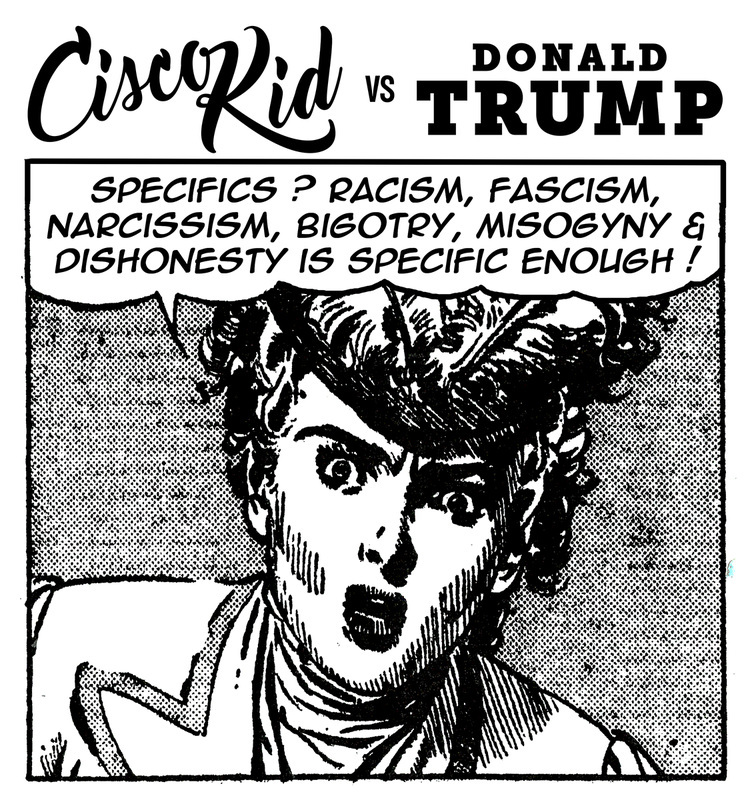 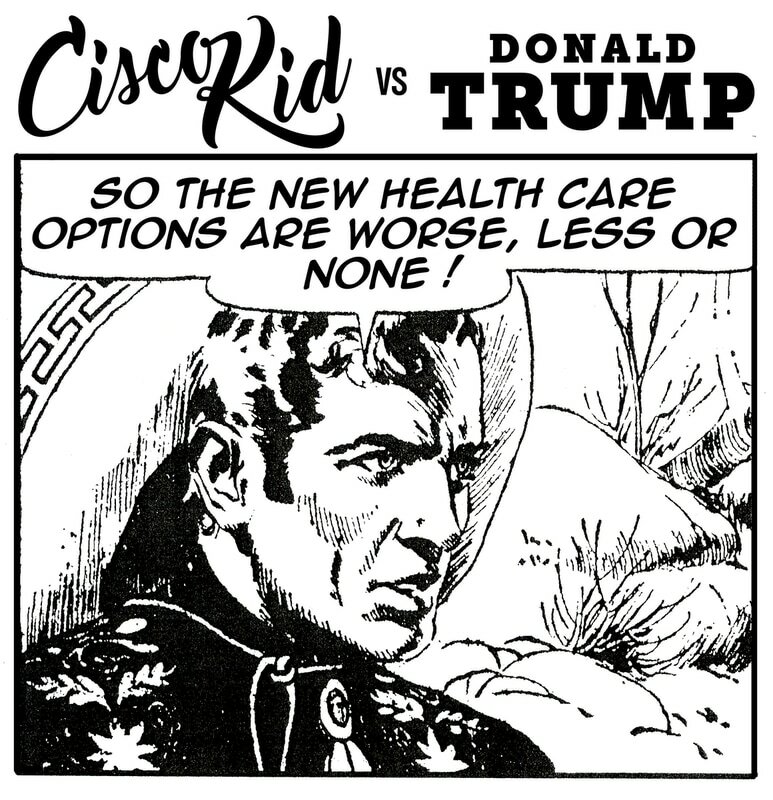 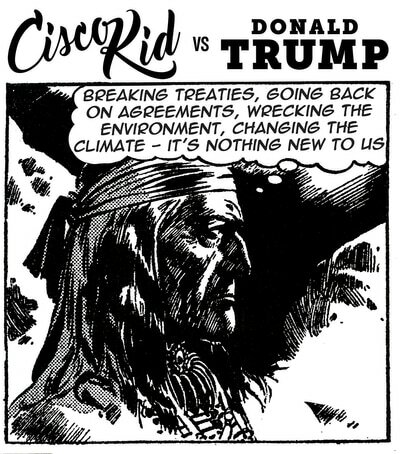 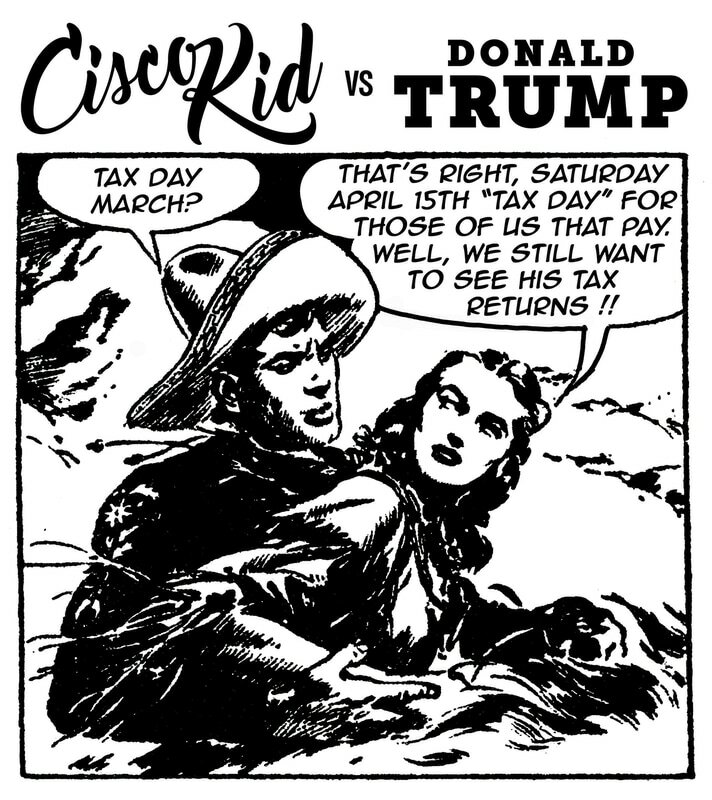 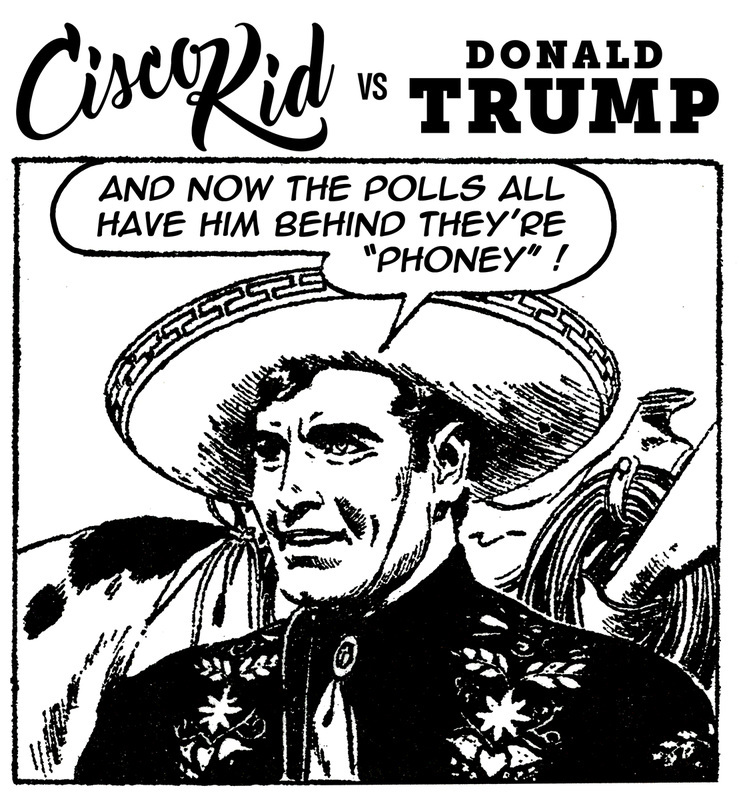 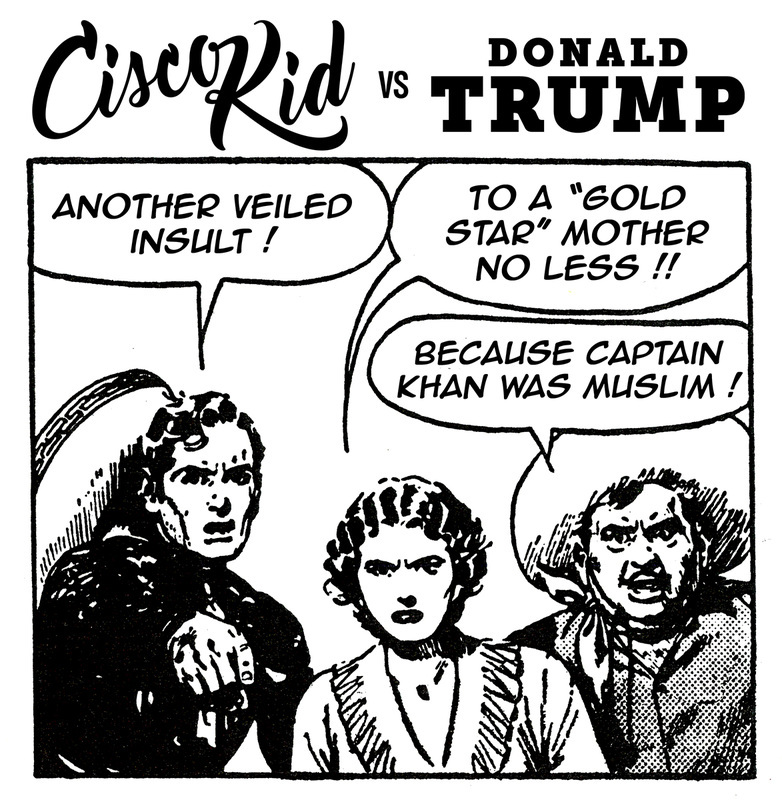 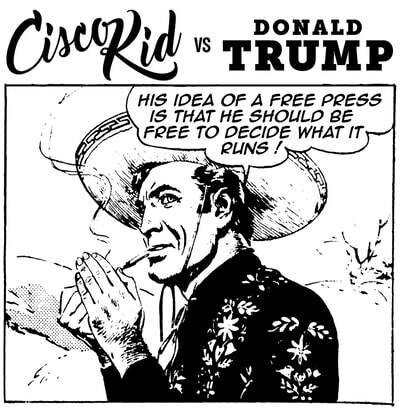 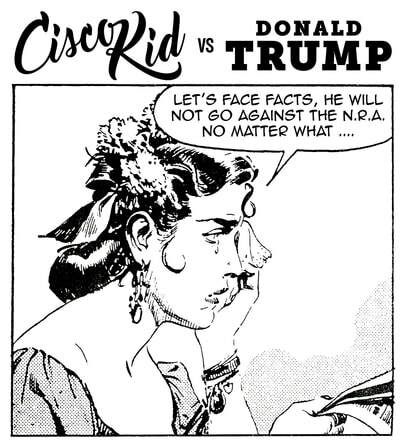 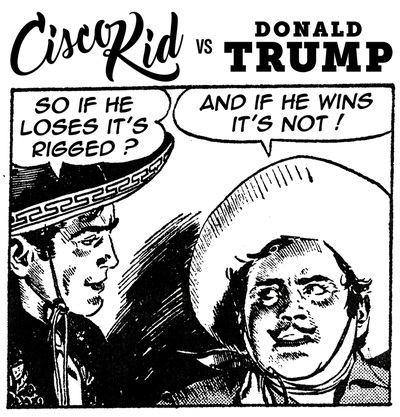 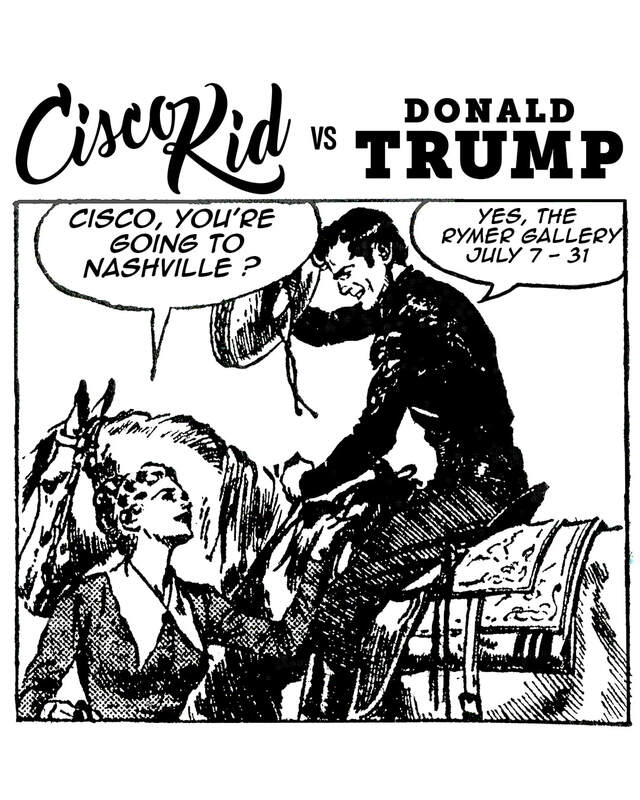 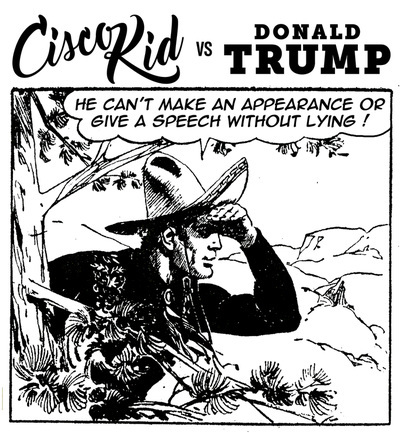 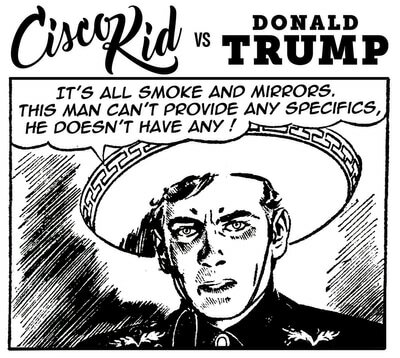 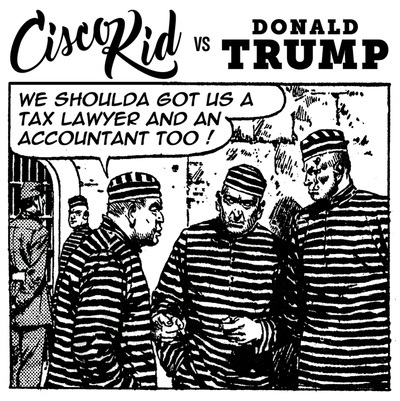 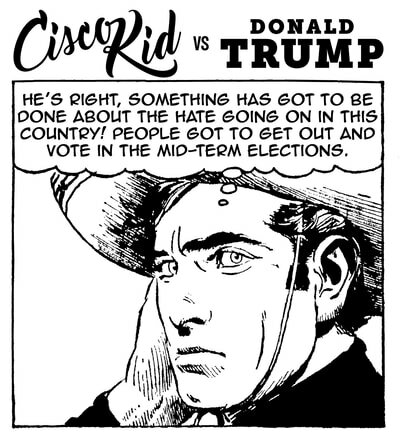 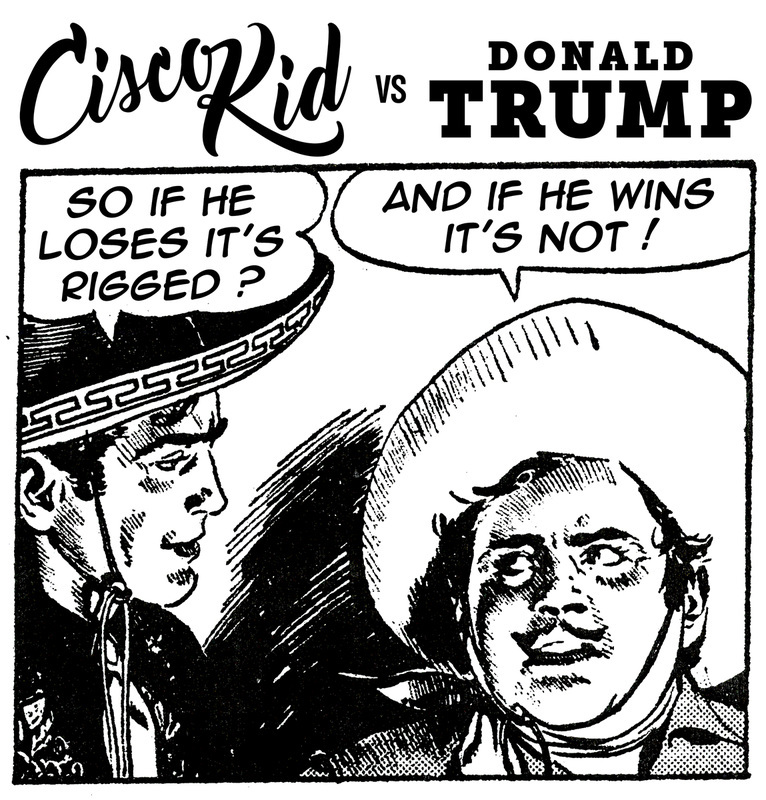 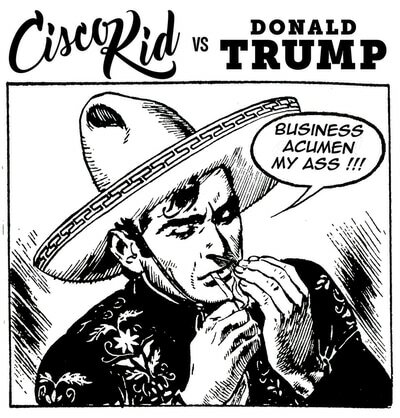 ​In 2016, Kosmo took aim at the "un-presidential" campaign of Donald Trump with an Instagram-based art series, Cisco Kid vs. Donald Trump. 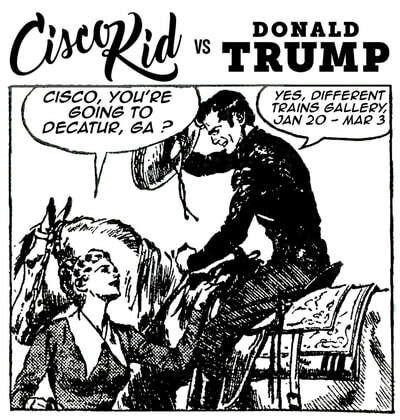 He collaborated with The Atlanta Printmakers Studio to create the first edition of handmade Cisco screenprints at the Decatur Book Festival in Georgia. 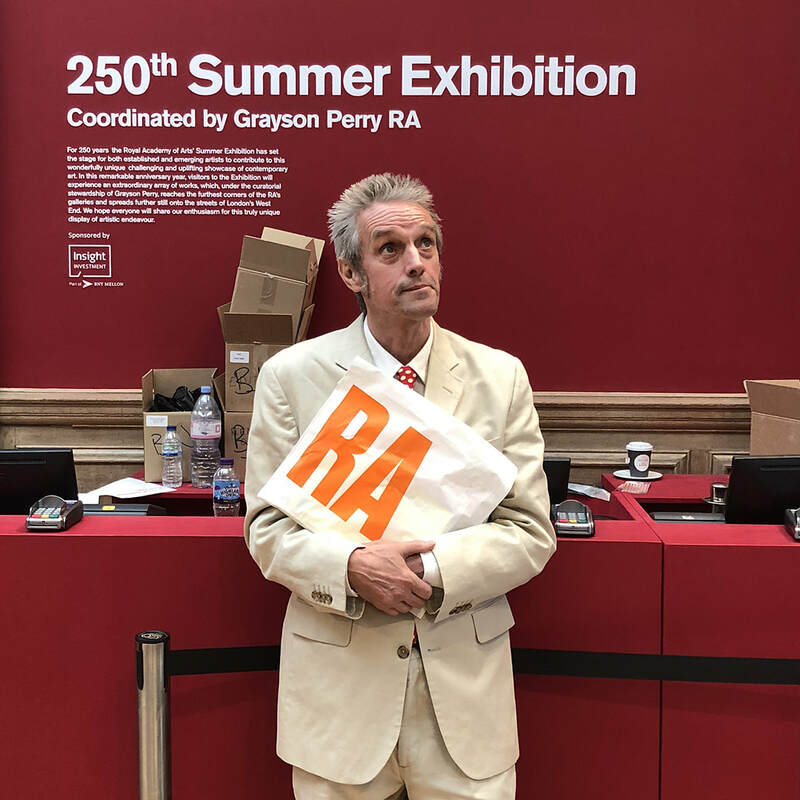 In 2017, he made archival pigment prints and exhibited them in New York City during Armory Week at the SPRING/BREAK Art Show. 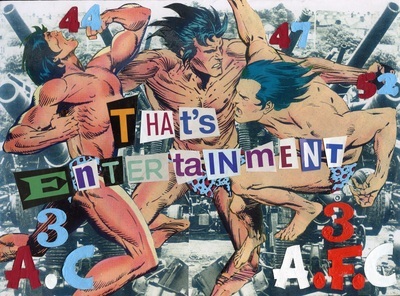 The show travelled to the belly of the beast, debuting at The Gallery at Lost Origins Productions in Washington D.C. in October. 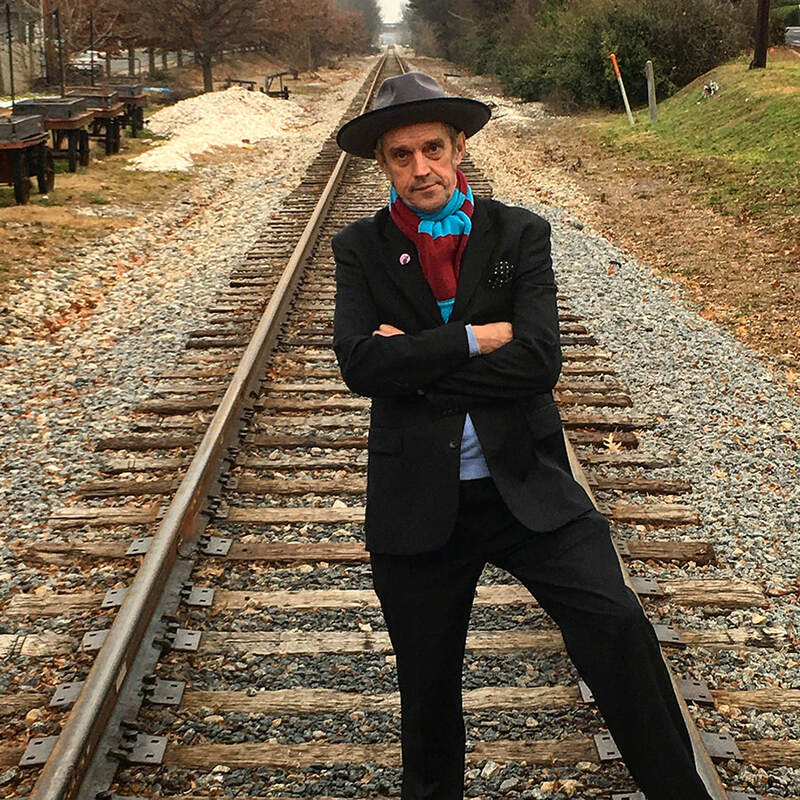 Different Trains Gallery presented the exhibition on the one year anniversary of the inauguration in January 2018. 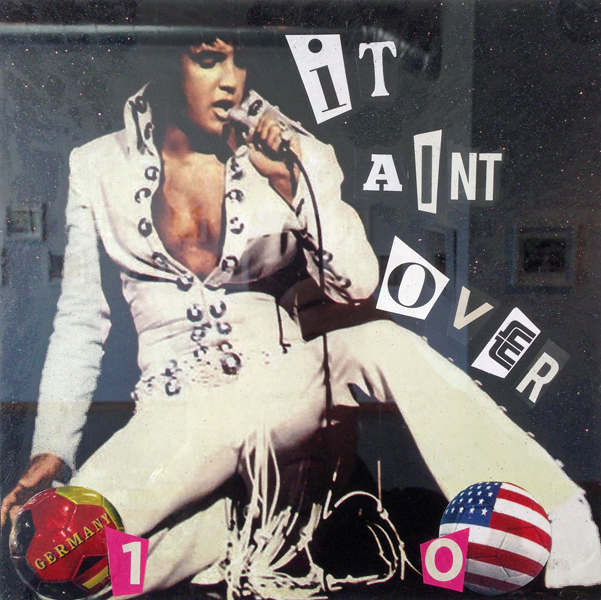 The show traveled to The Rymer Gallery in Nashville in July. 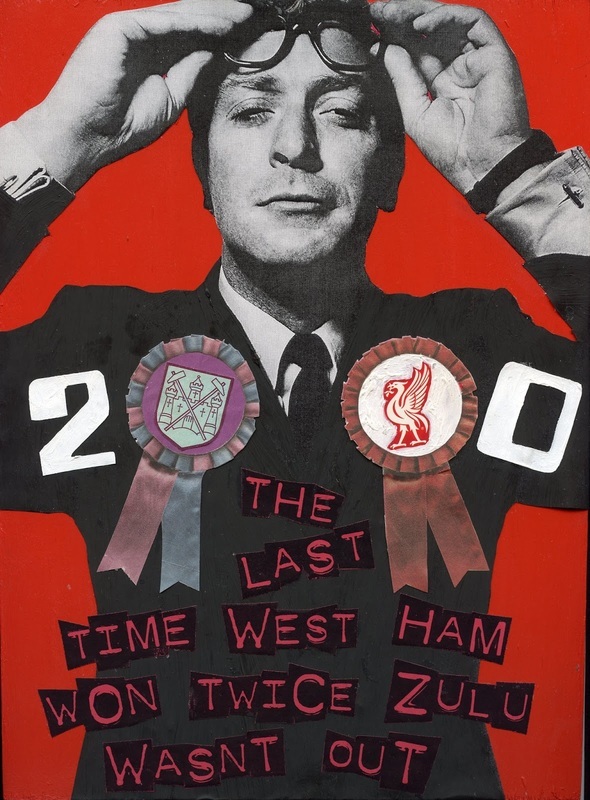 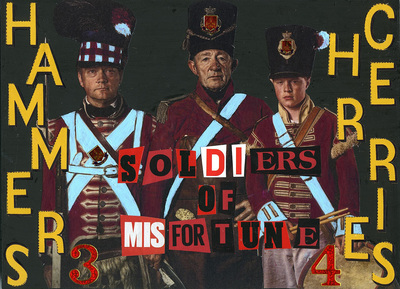 Kosmo's painting "For Jock Scot" is currently on view at the 250th Royal Academy of Arts Summer Exhibition in London.